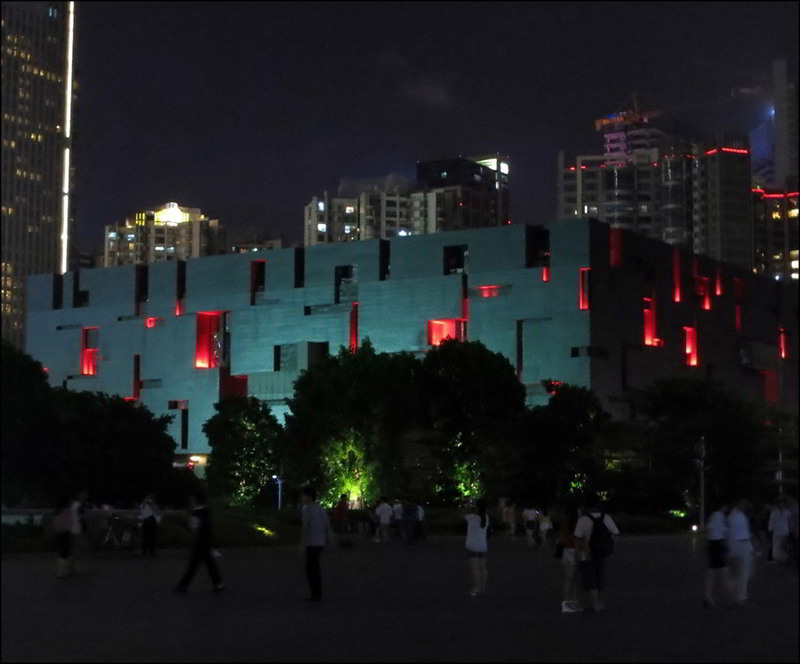 Modem warning: Here's 197 photos, taken in a single day that started in Guangzhou, June 24th...two days before the Shenzen Watch and Clock Fair...that took us to tropical ZhuHai, on the coast, the home of the Rossini, and then back to Guangzhou for dinner and an evening...lighting show (you'll see) before the day ended. 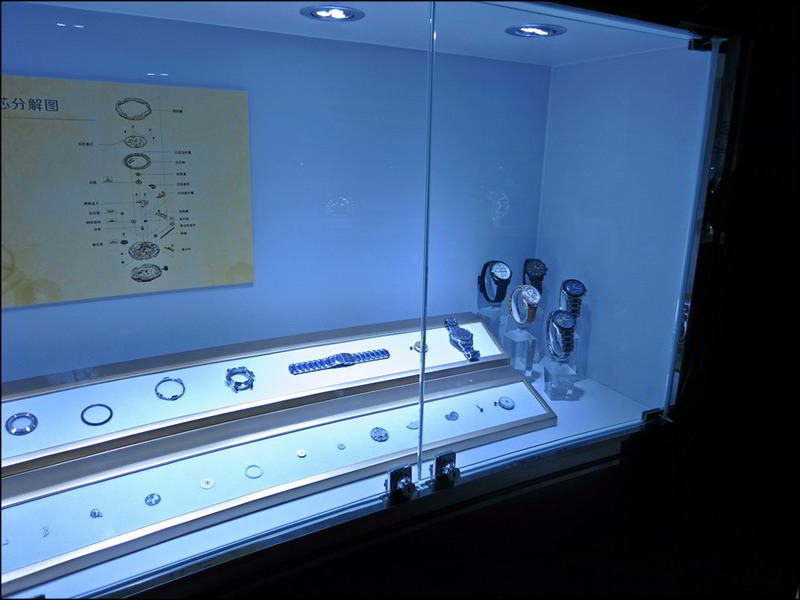 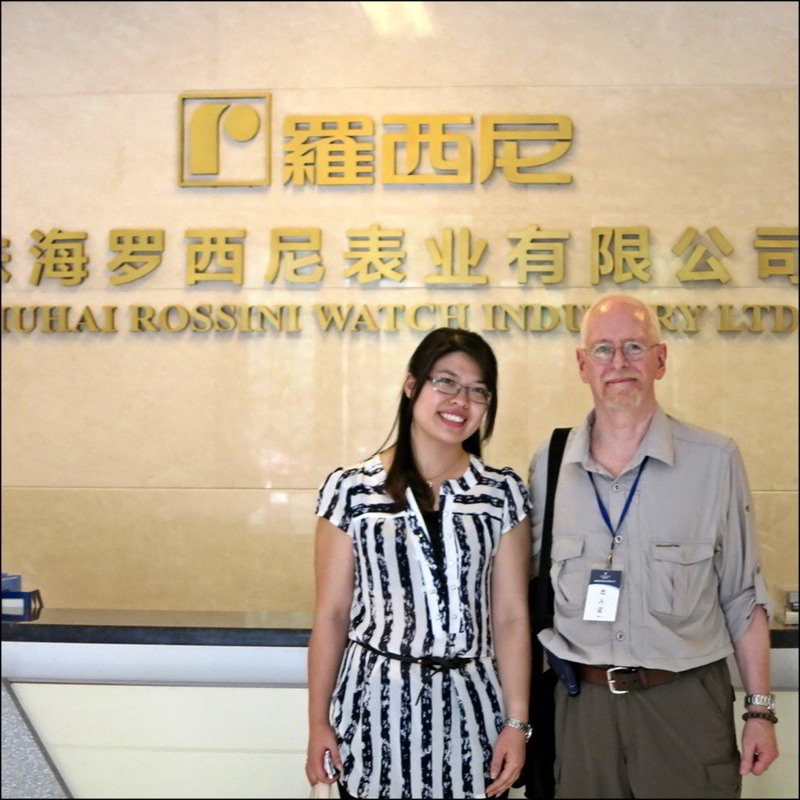 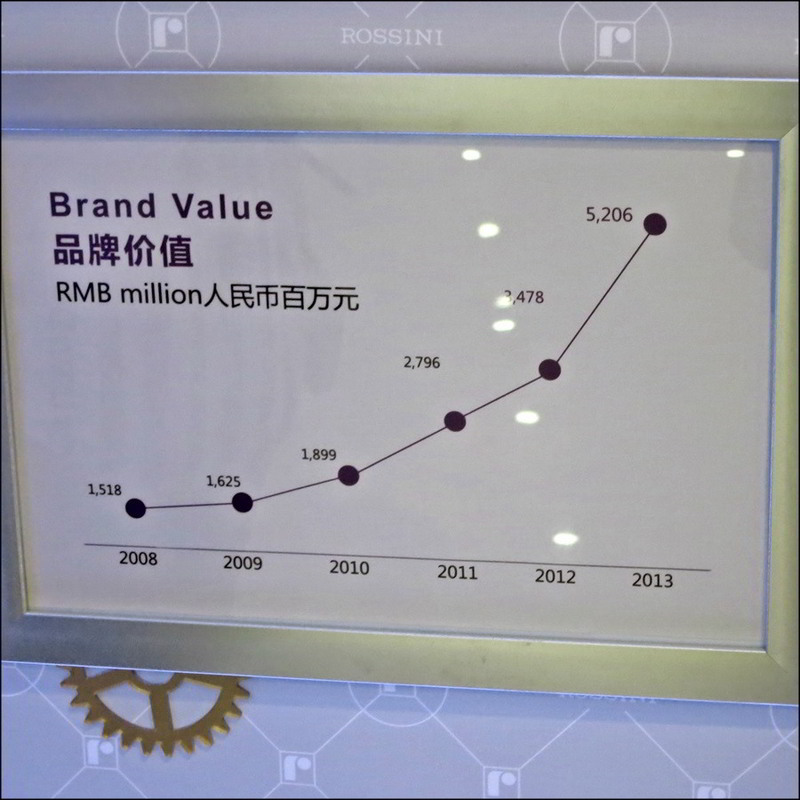 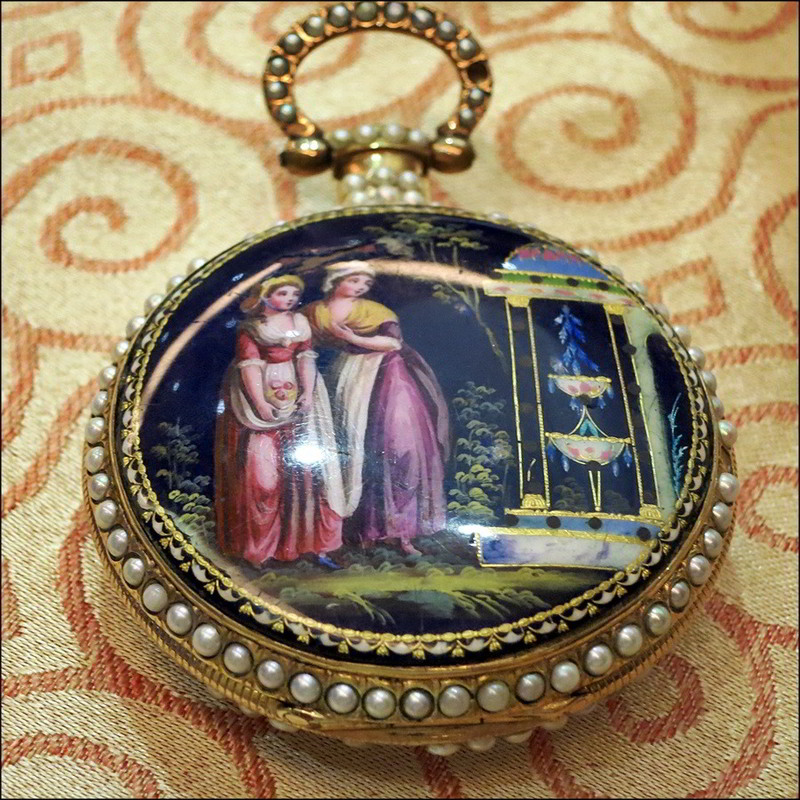 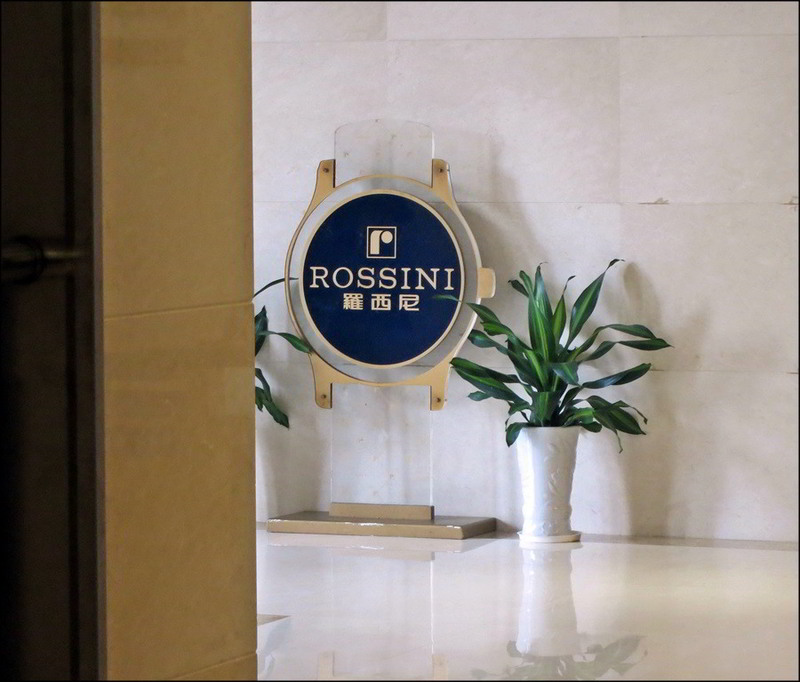 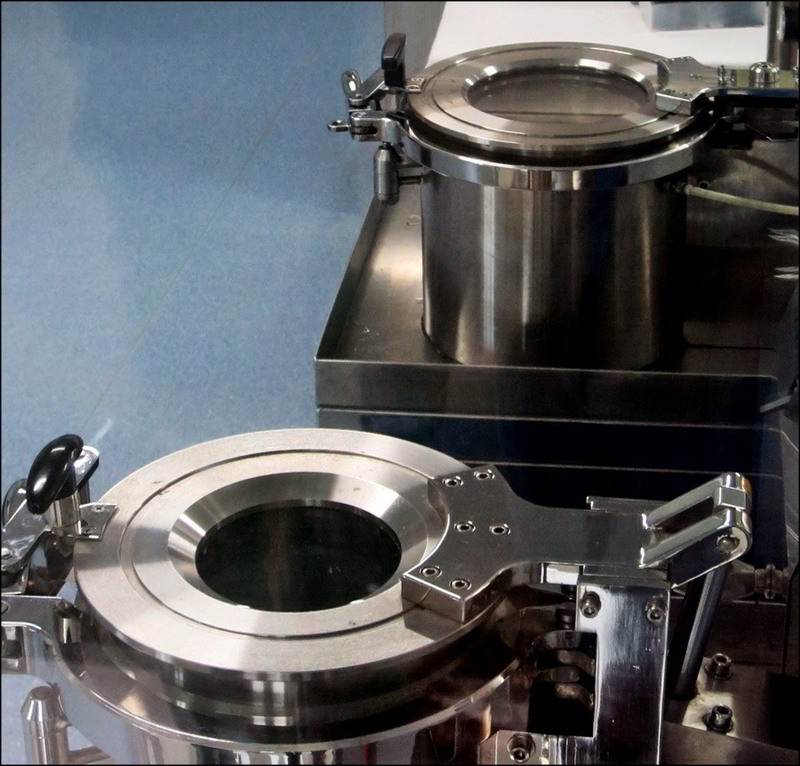 Rossini, owned by Hong-Kong listed China Haidian Holdings (now Citychamp Watch & Jewelery Group as of May 2014), got its start when a Swiss company opened a manufacturing facility in Singapore to build watch cases. 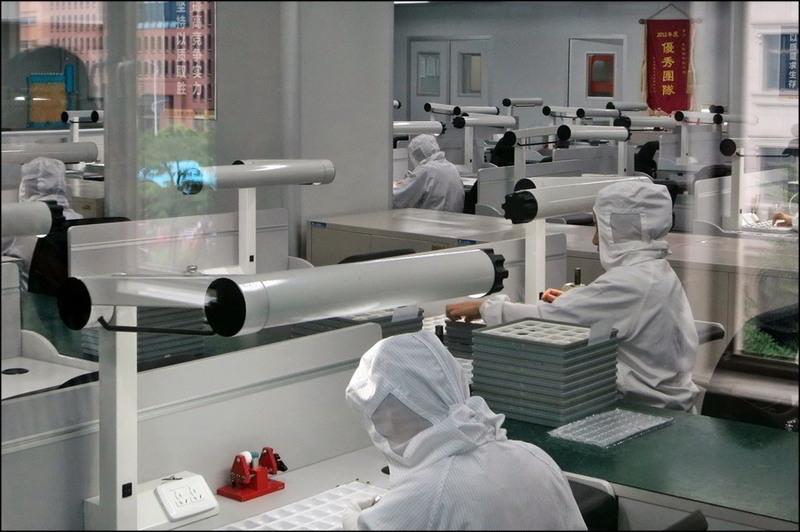 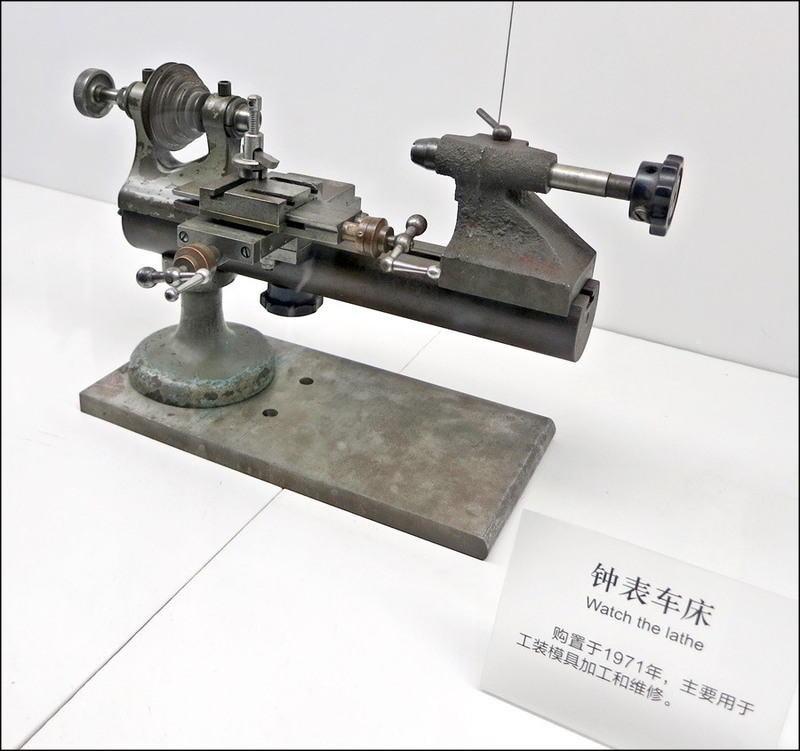 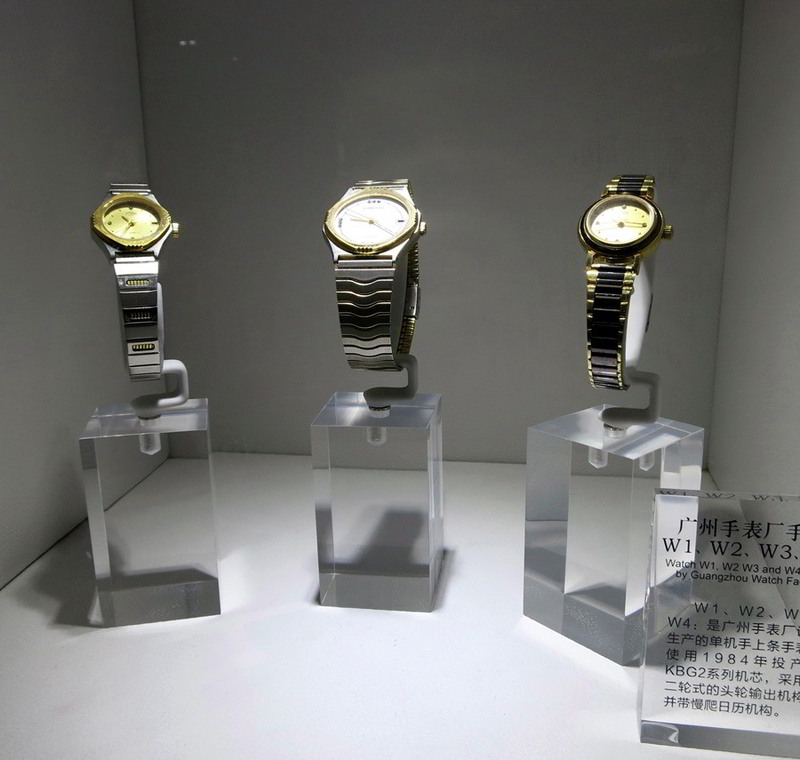 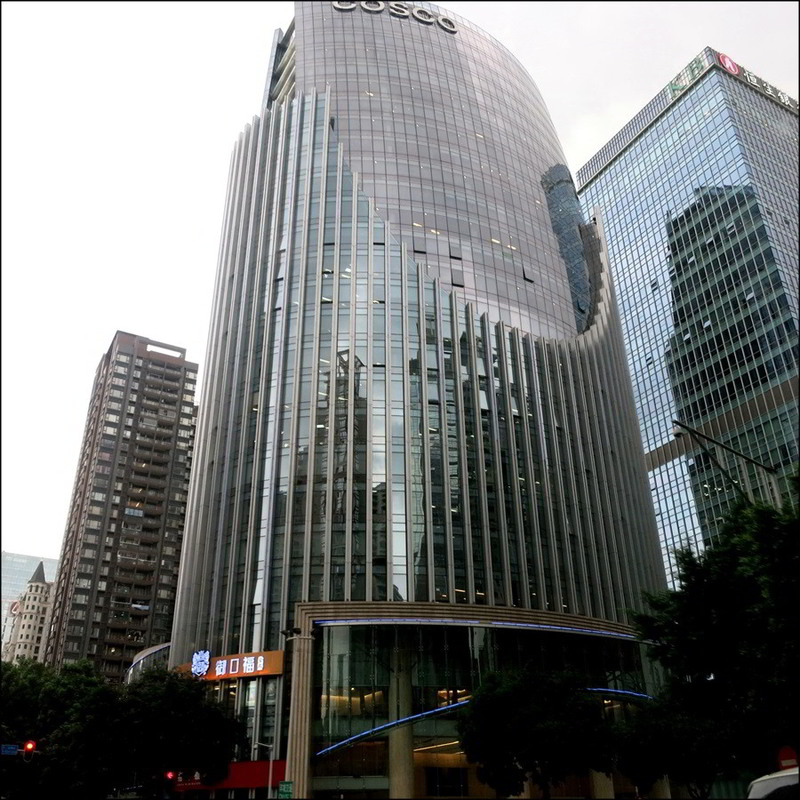 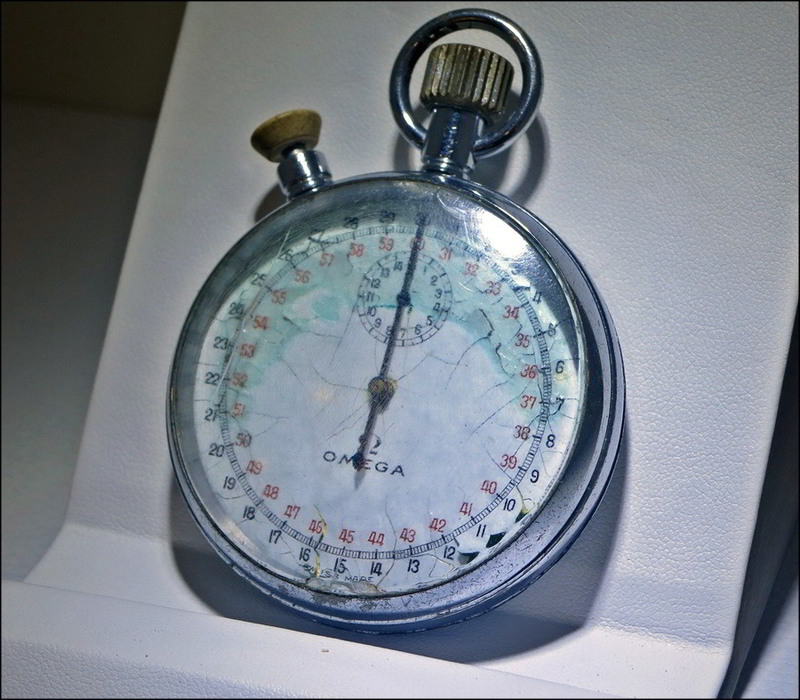 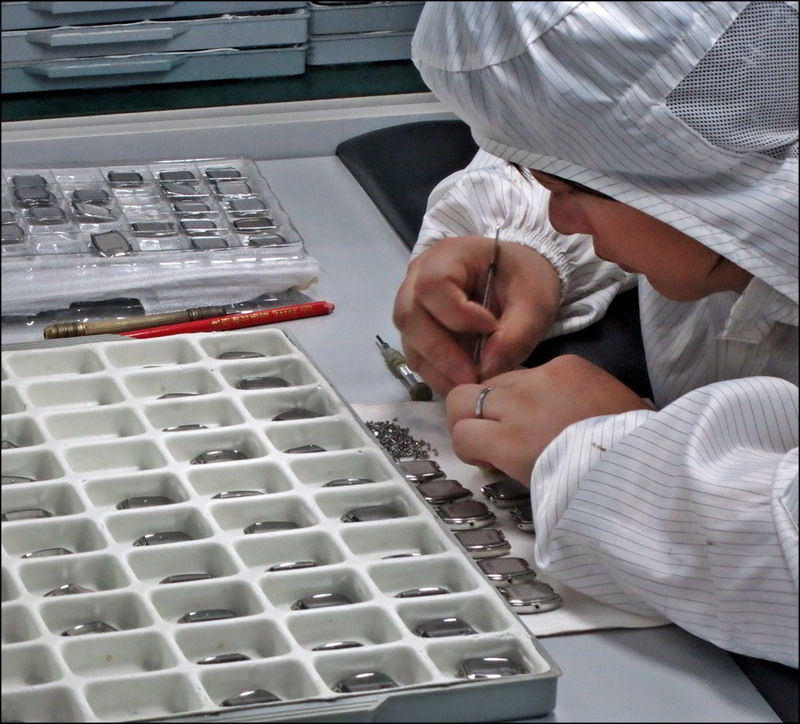 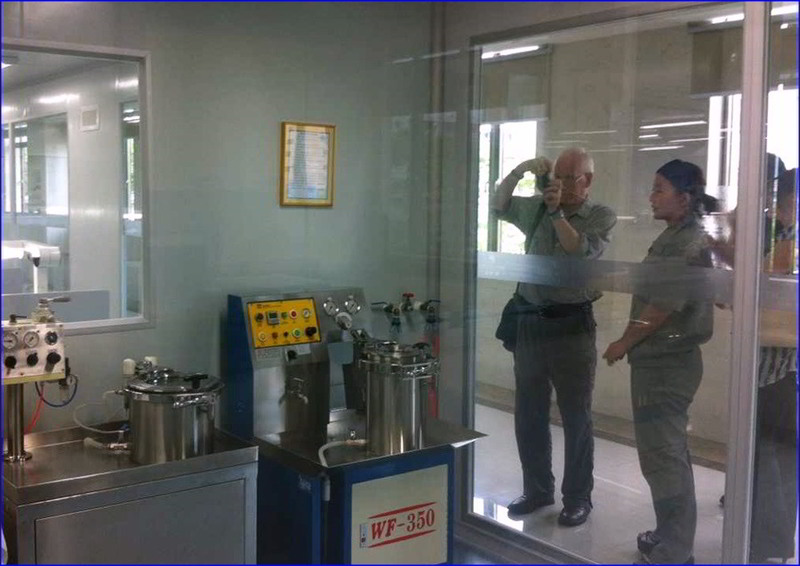 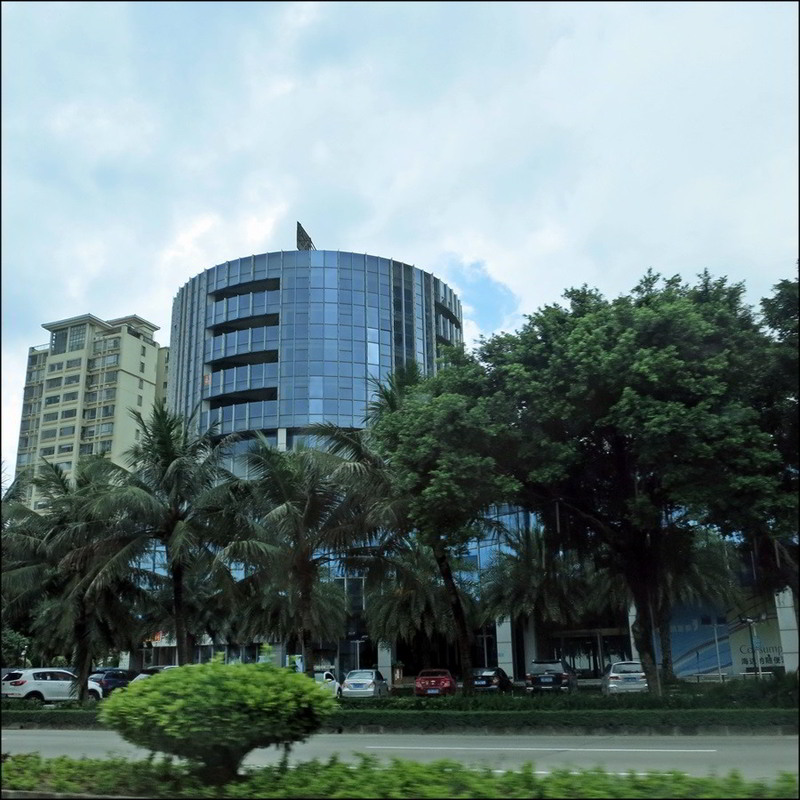 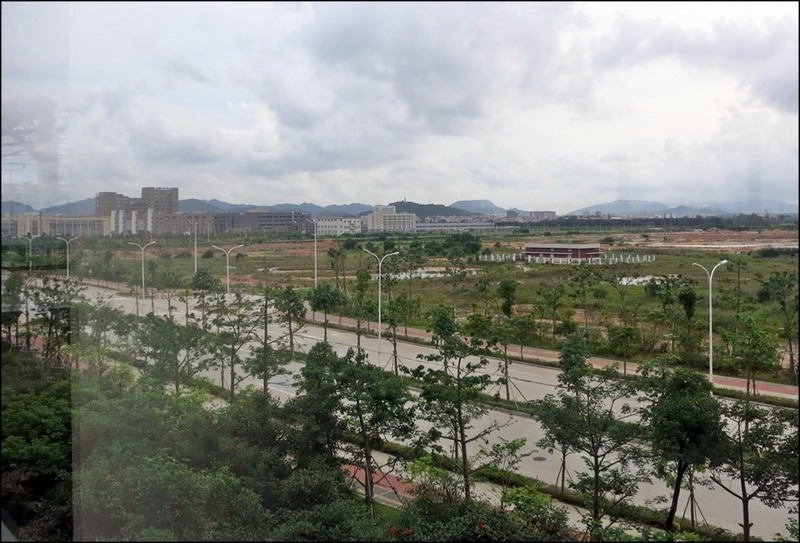 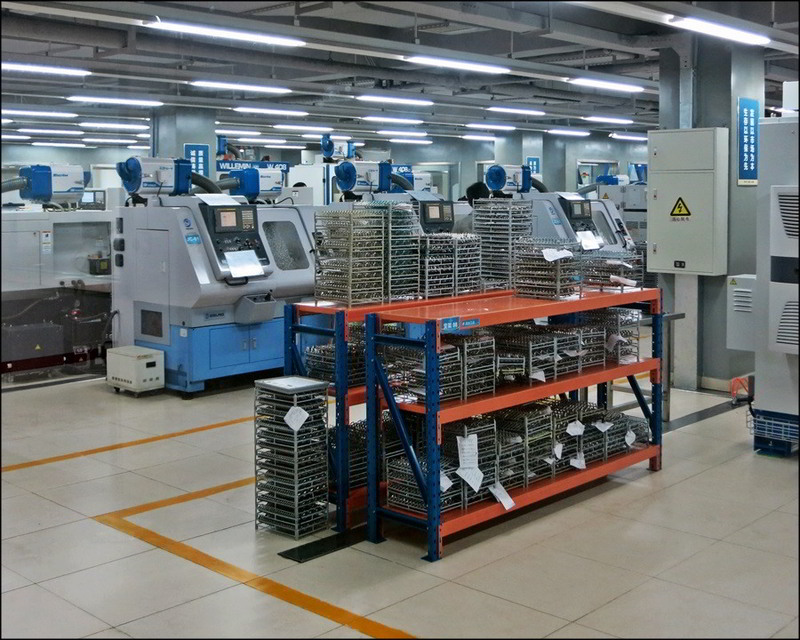 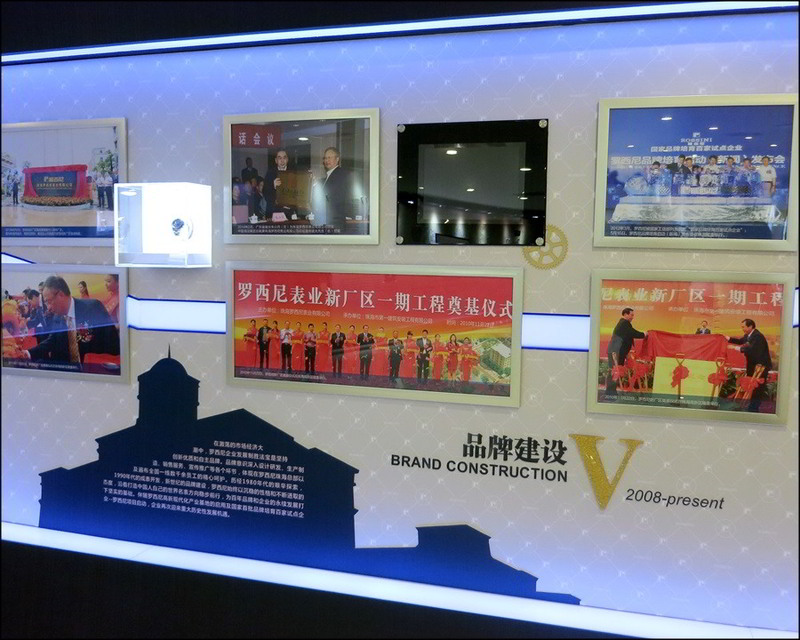 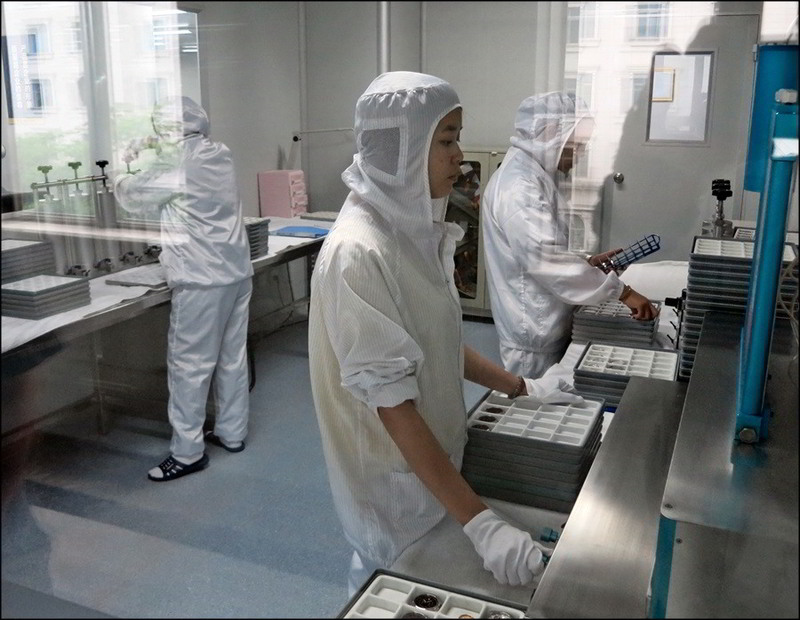 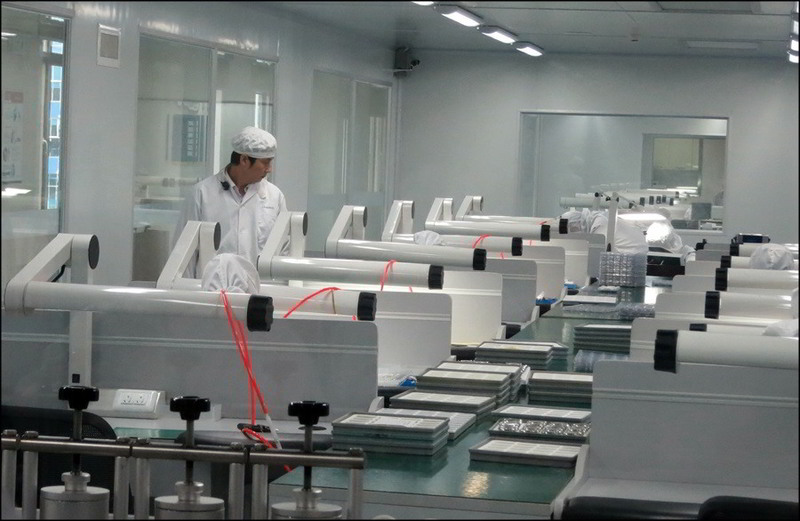 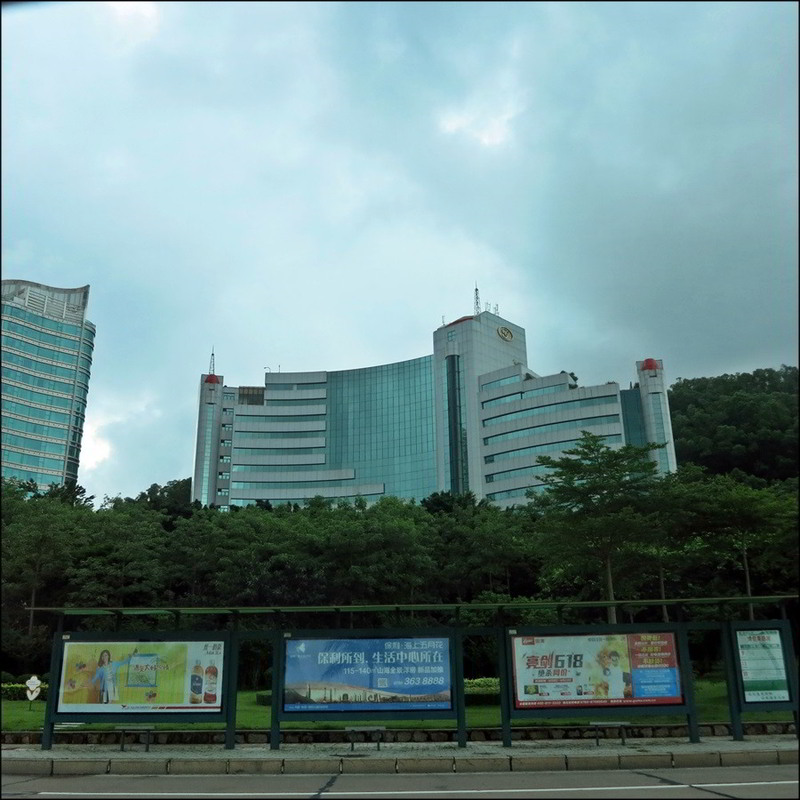 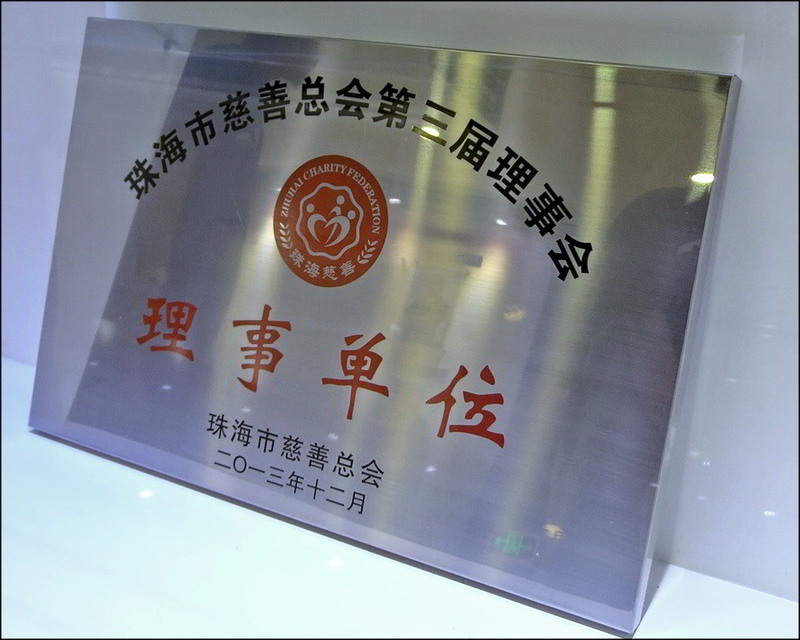 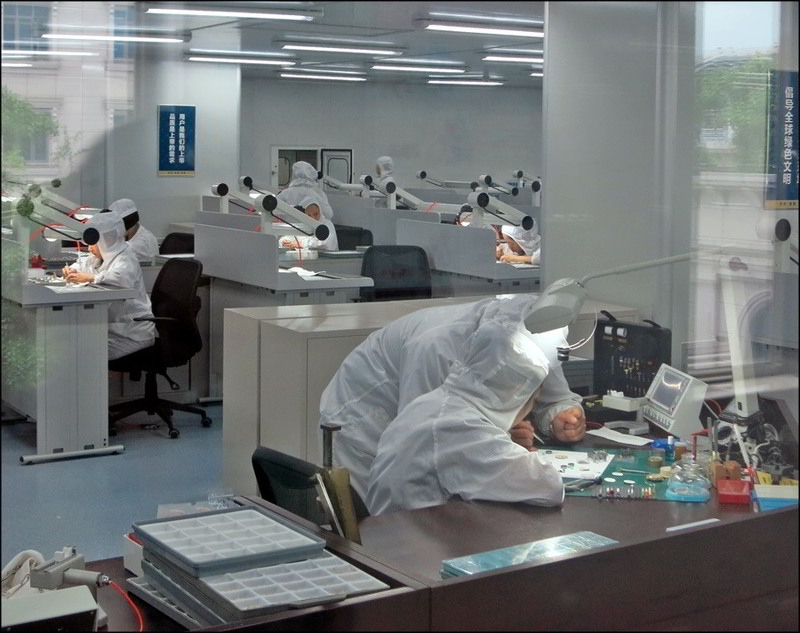 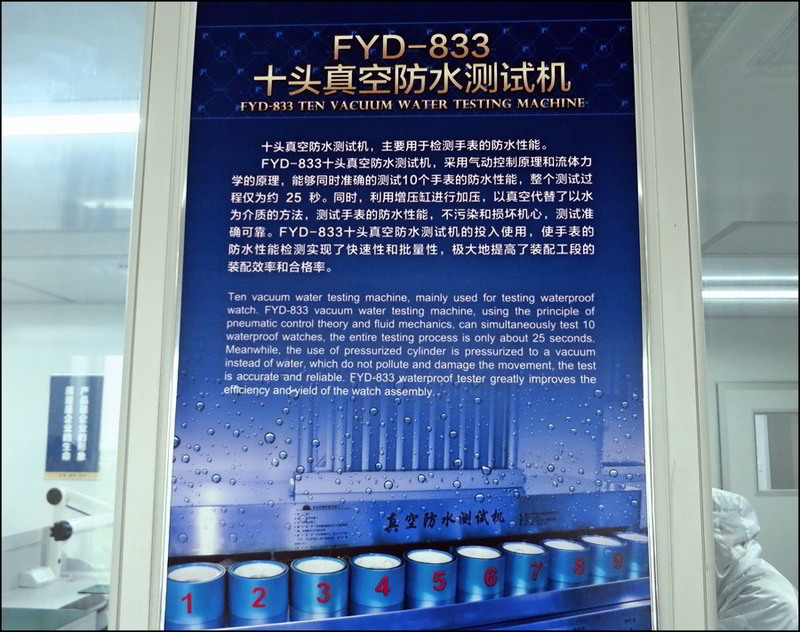 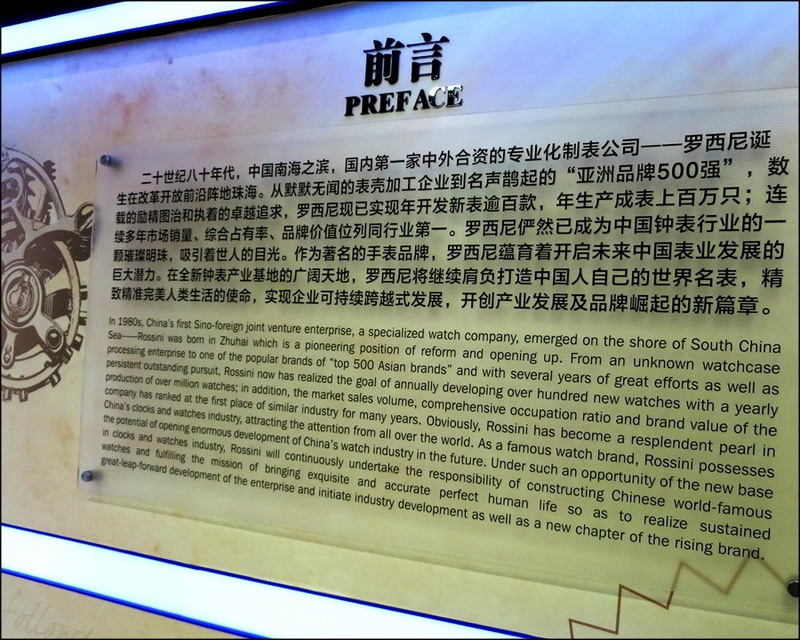 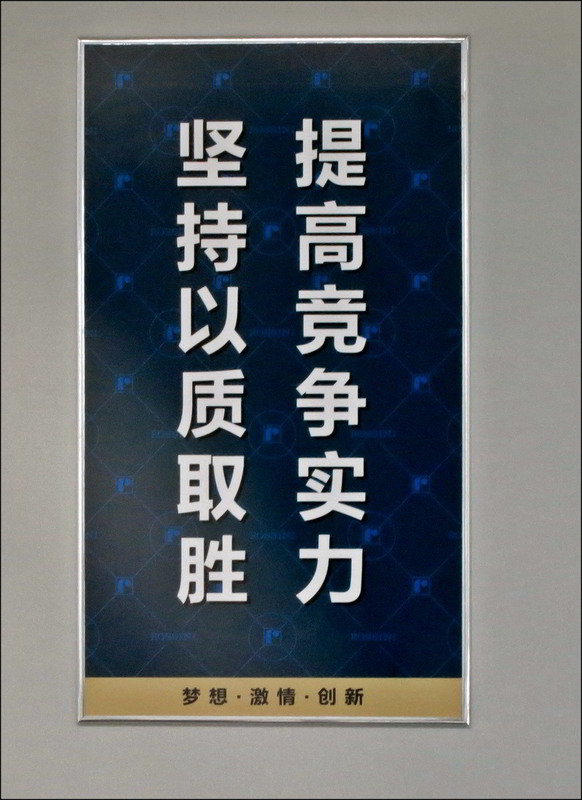 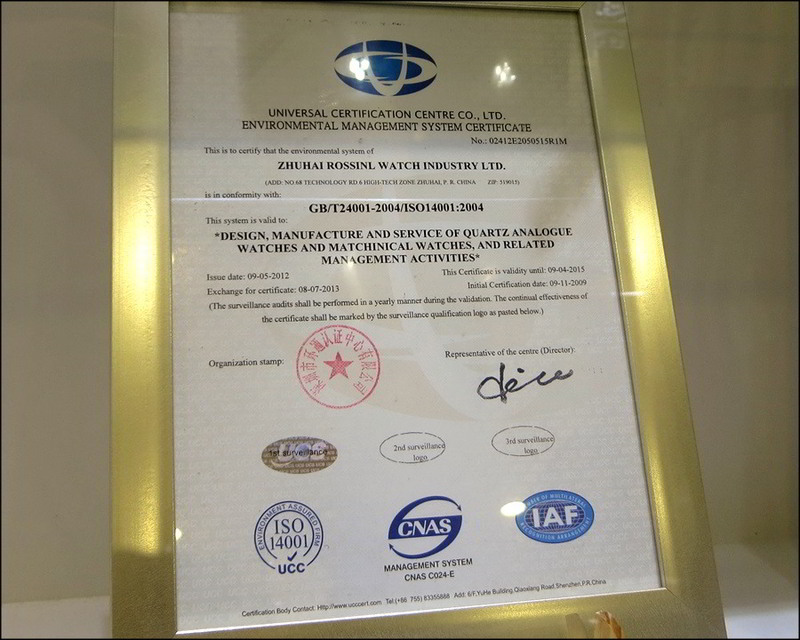 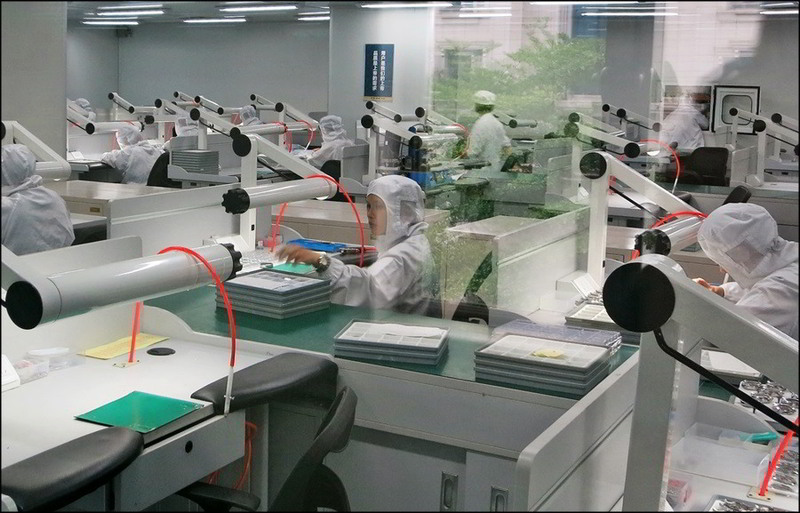 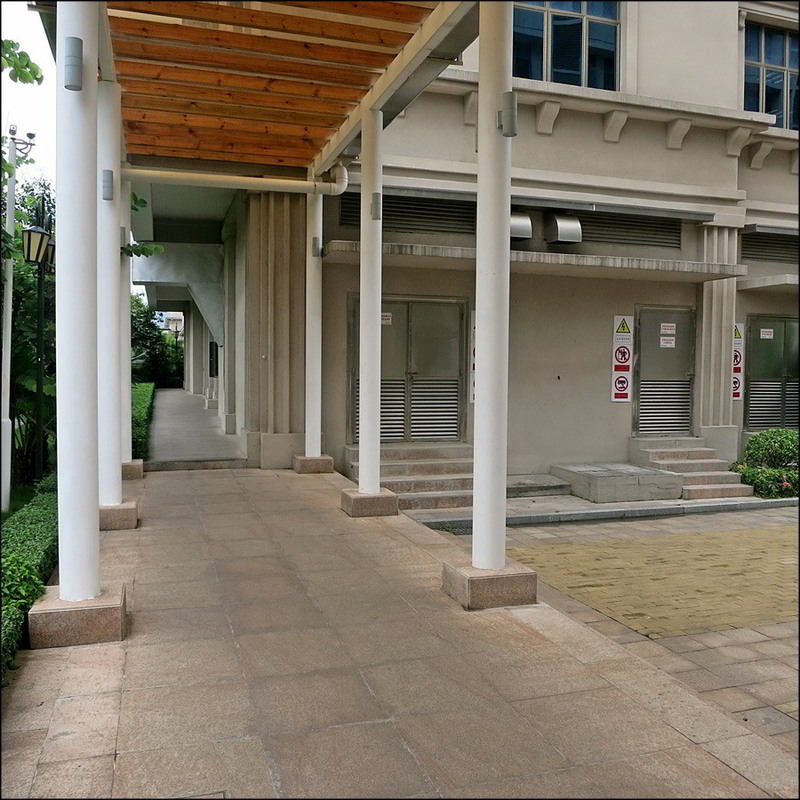 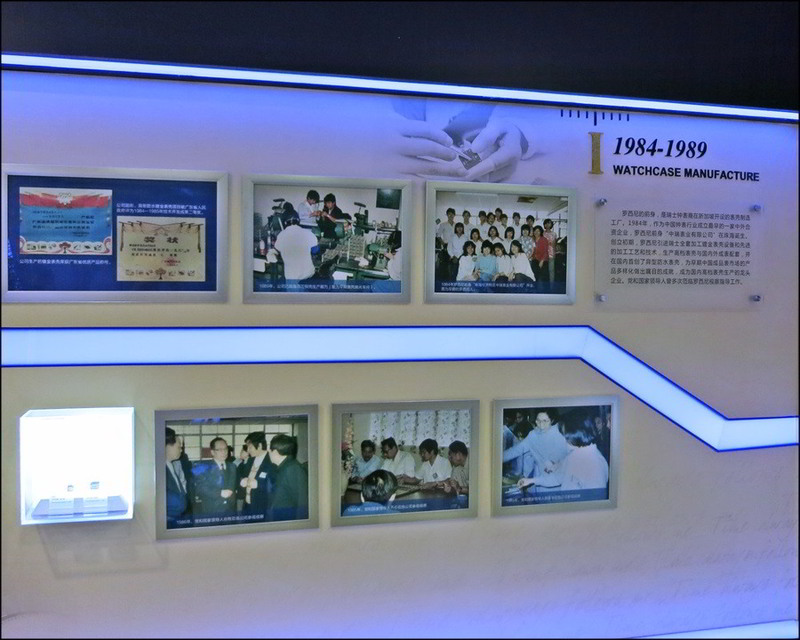 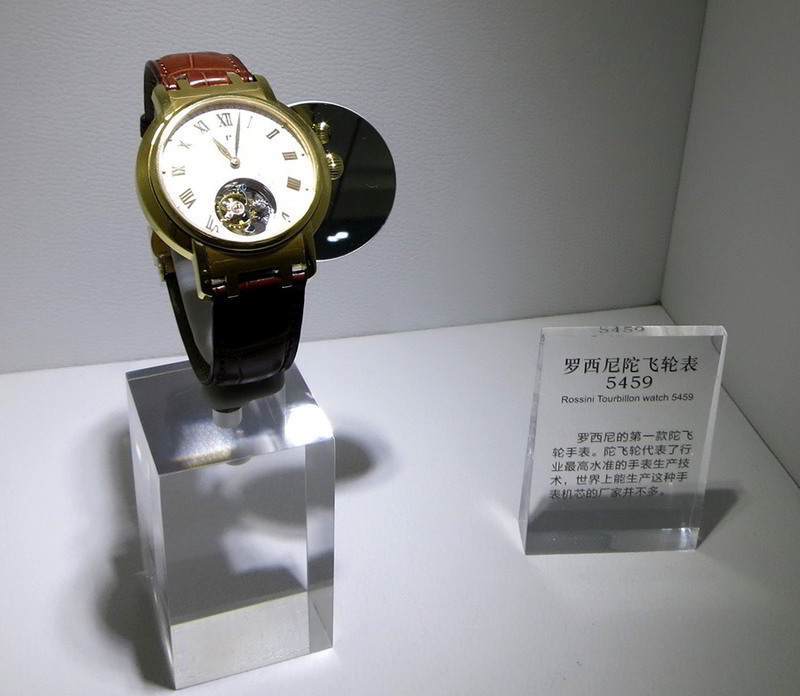 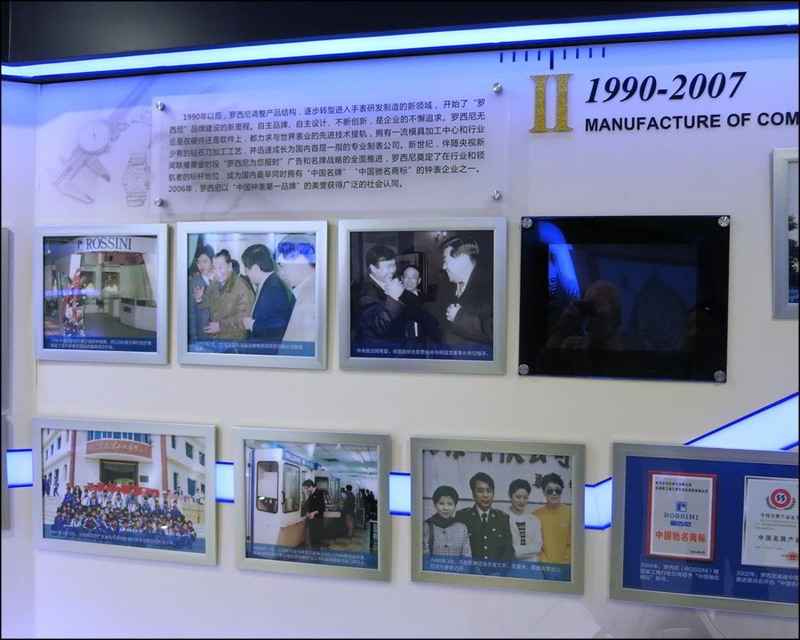 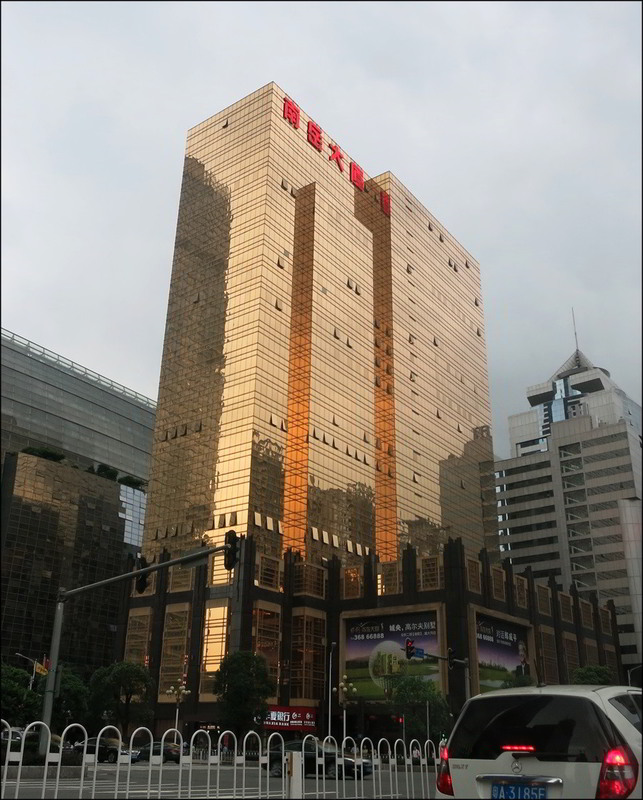 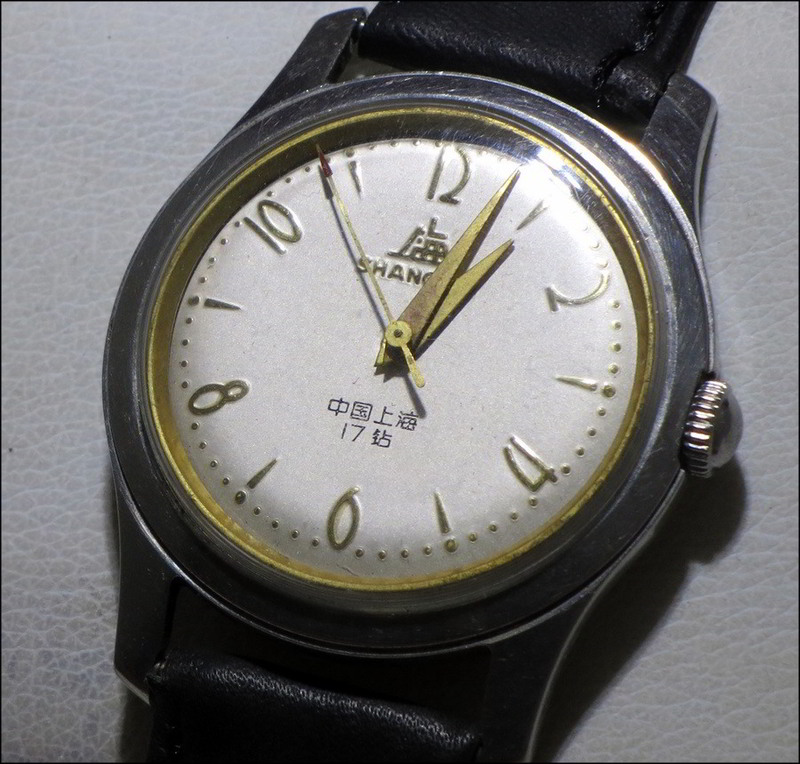 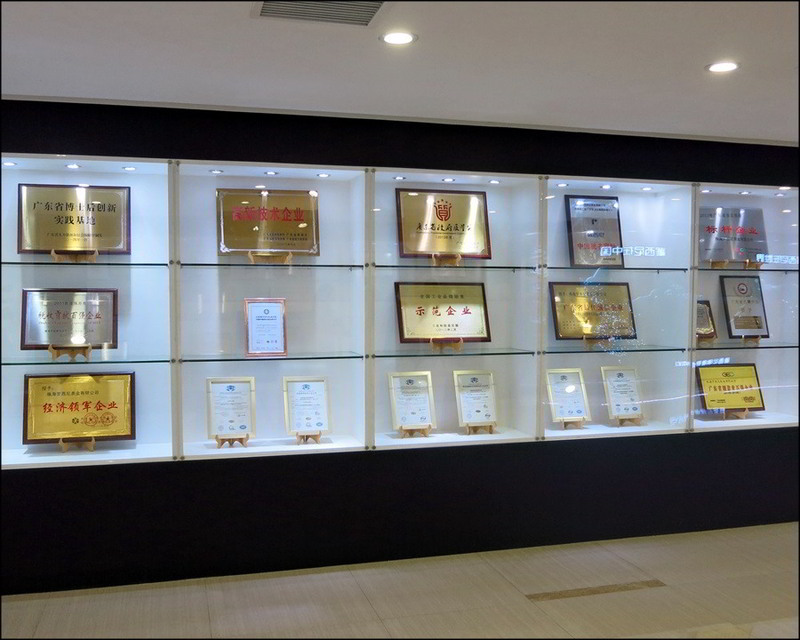 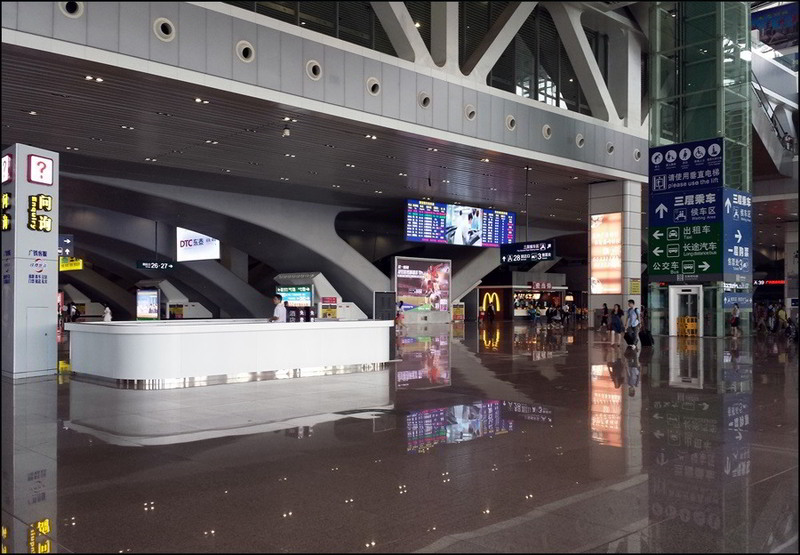 In 1984 that factory was bought out and moved to a brand new facilty in Zhuhai, in the first Sino-foreign joint (HK/China) venture of the Chinese watch industry. 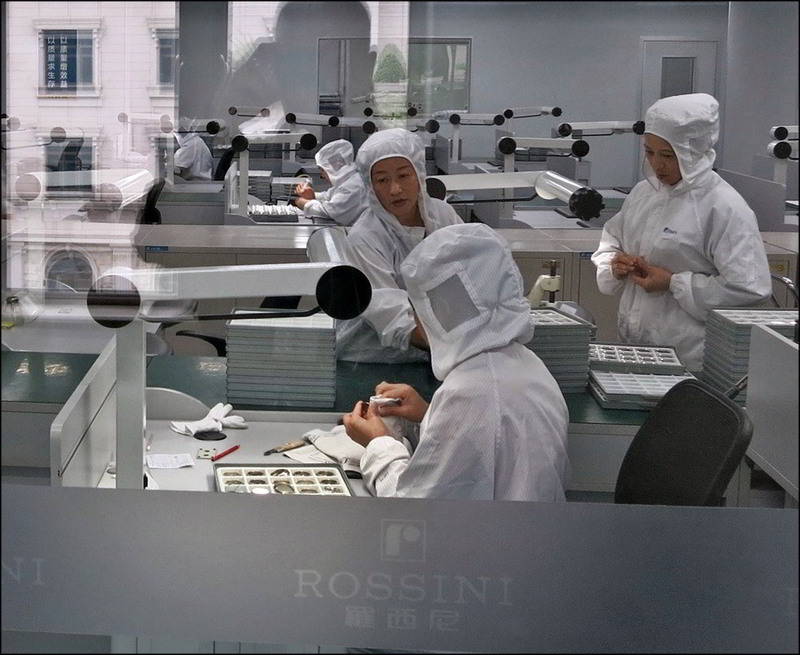 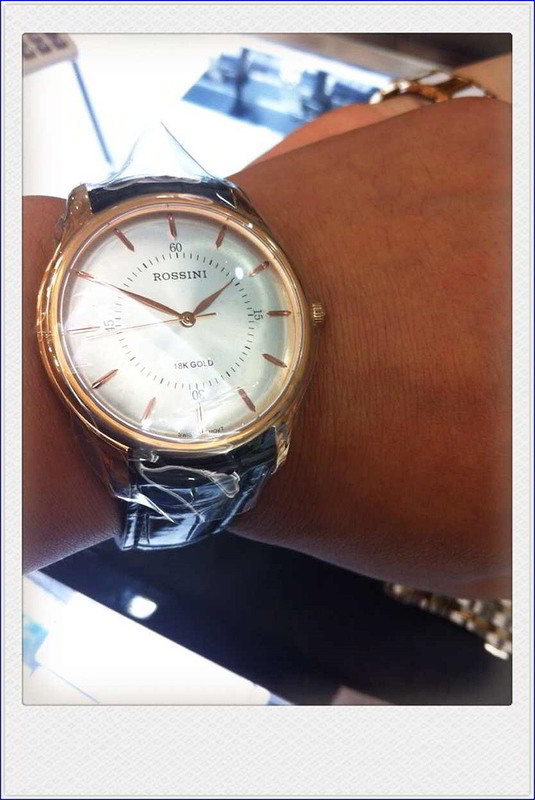 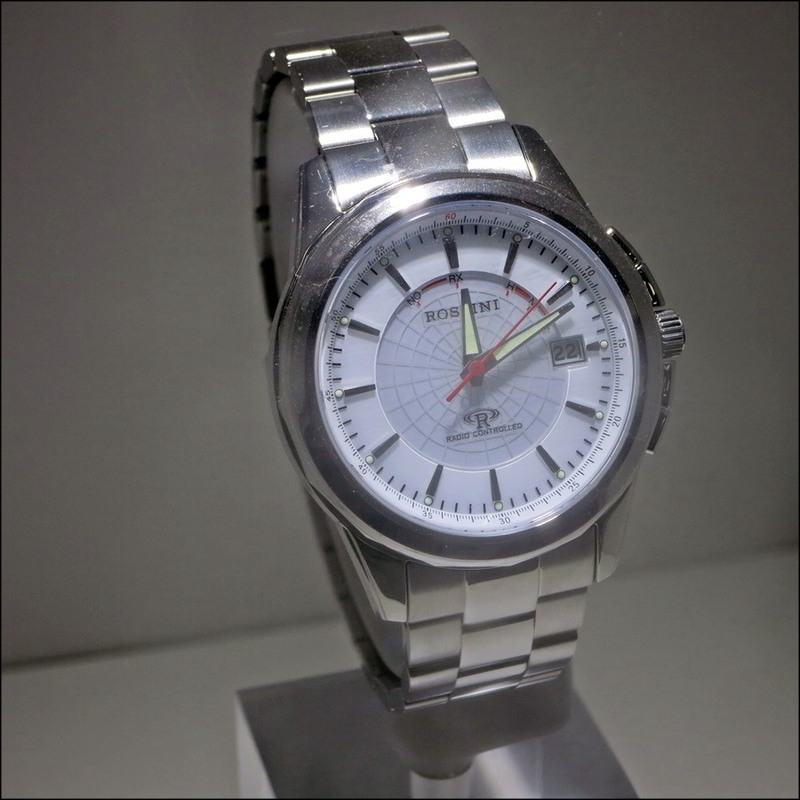 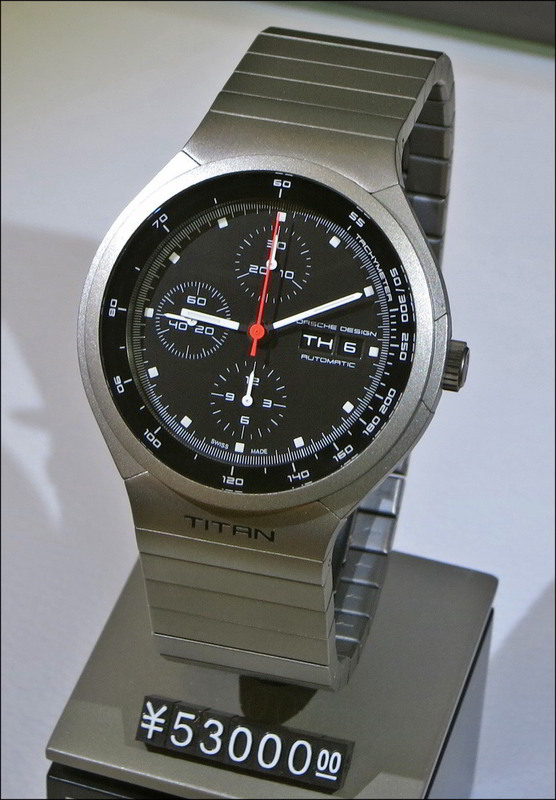 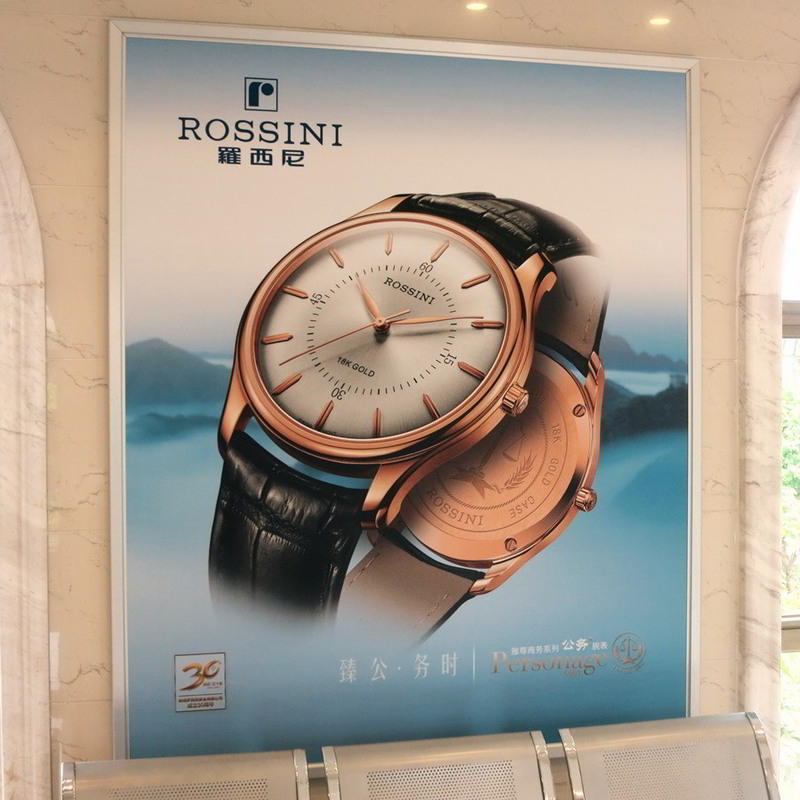 The first Rossini branded watch was built in 1985, and the now company produces nearly 1 million watches a year. 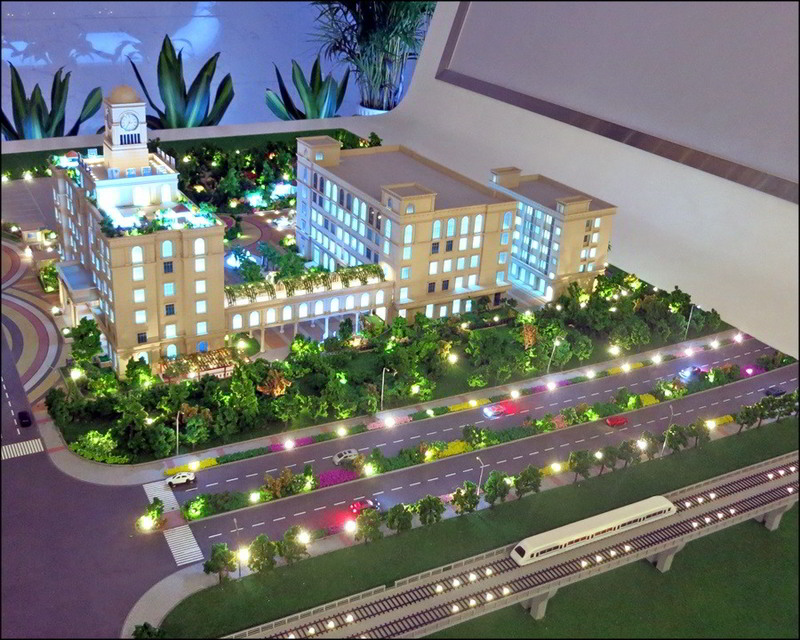 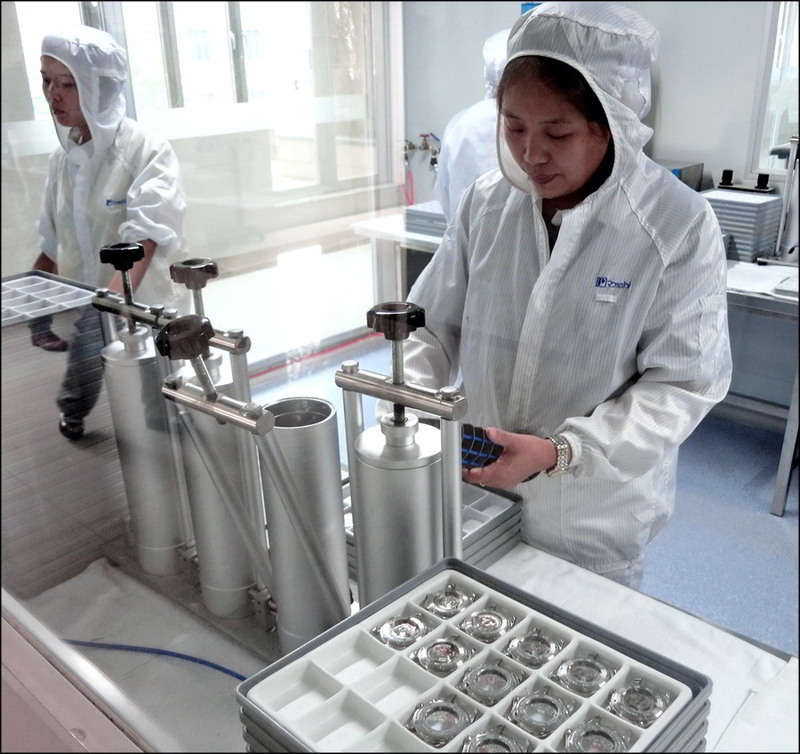 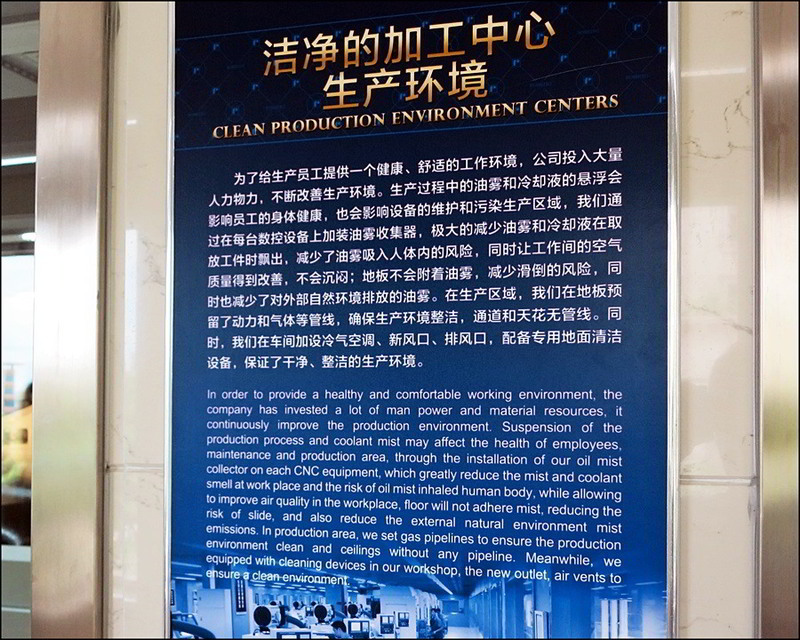 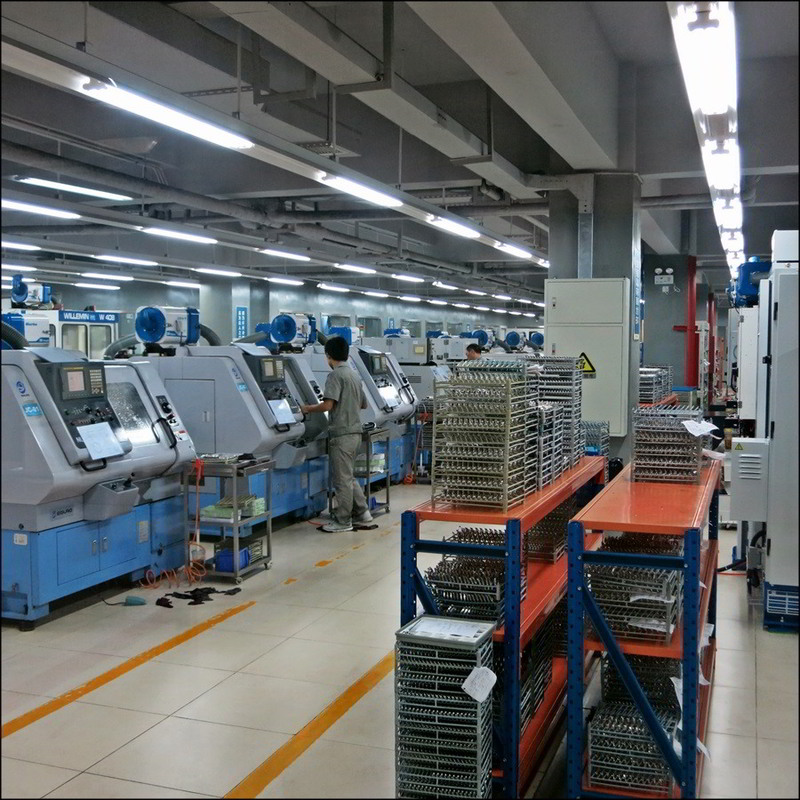 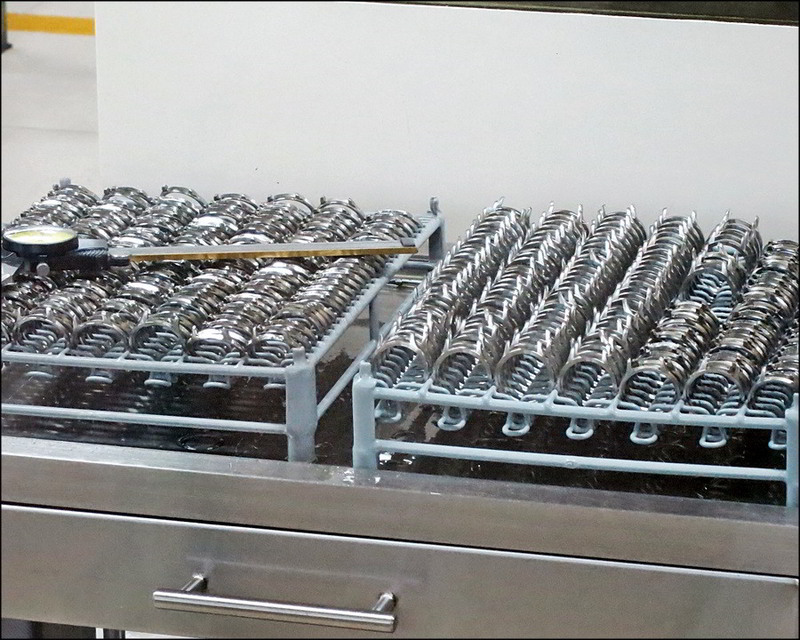 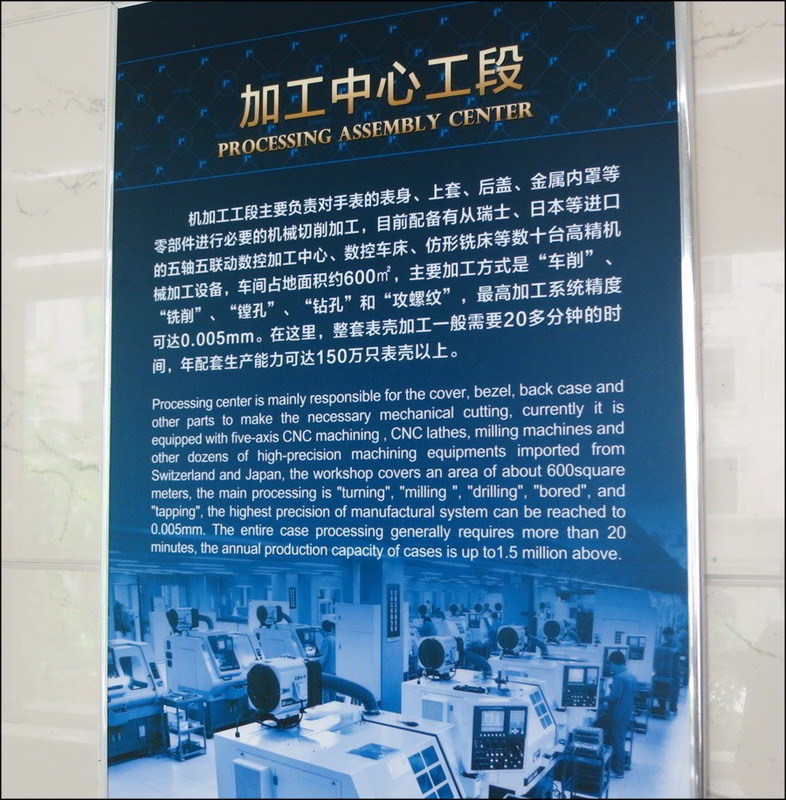 There's an on-site production facility staff of 500 people, and 2000 sales personnel in Company retail branches throughout the country. 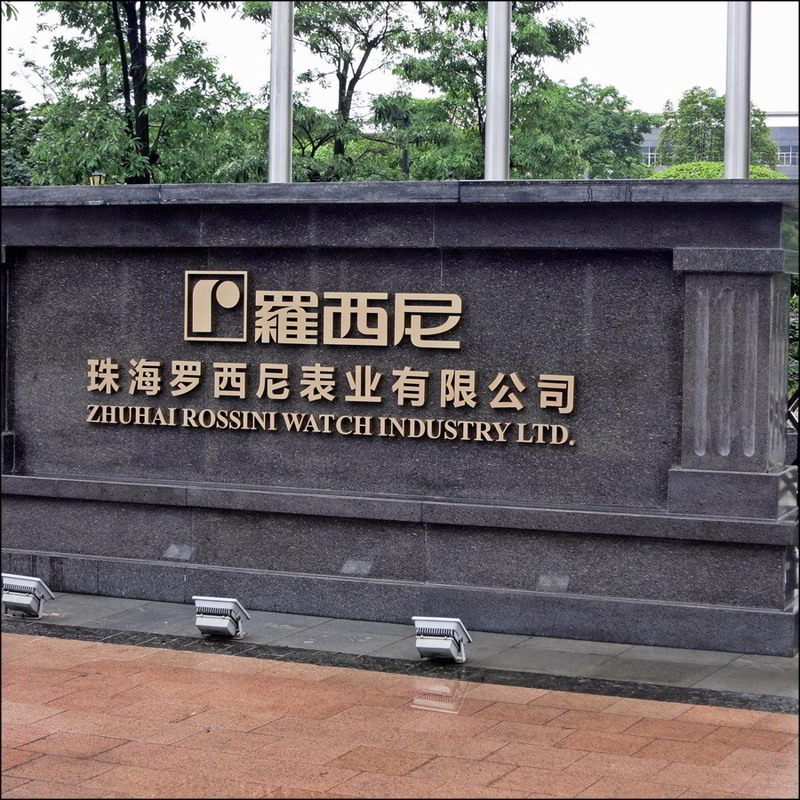 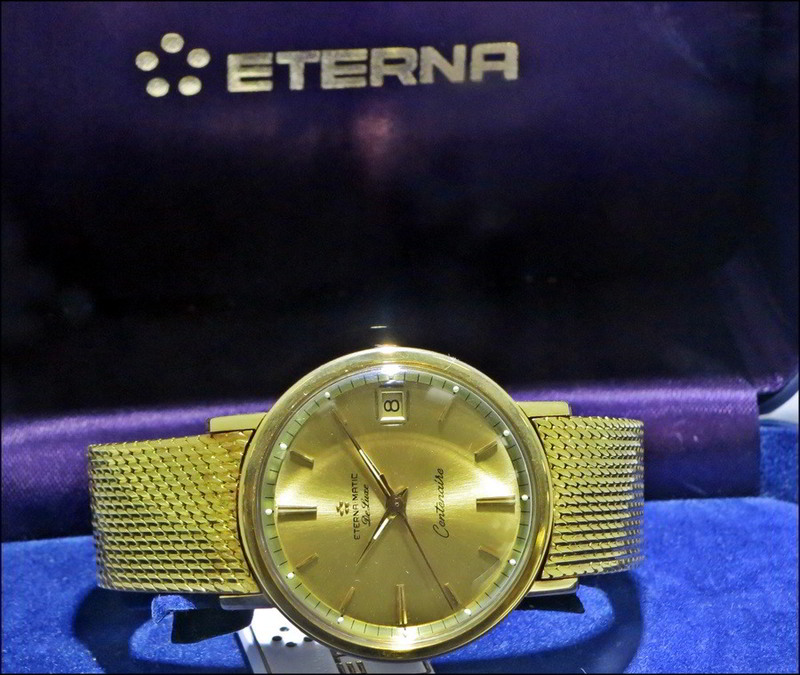 China Haidian/Citychamp Watch & Jewelery Group owns the Chinese brands Rossini and Ebohr, and now also owns the Swiss brands Corum (2013) and Eterna (2011) as well as Rotary, Dreyfuss & Co and J&T Windmills. 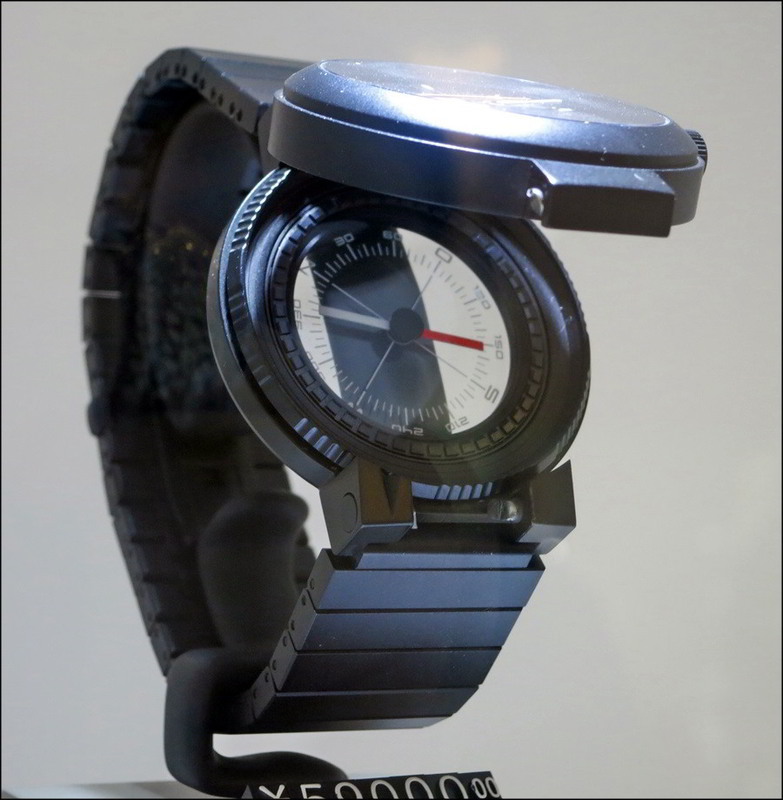 Although Rossini no longer holds the licence for Porsche Design, it's Swiss arm still provides movements for that brand. 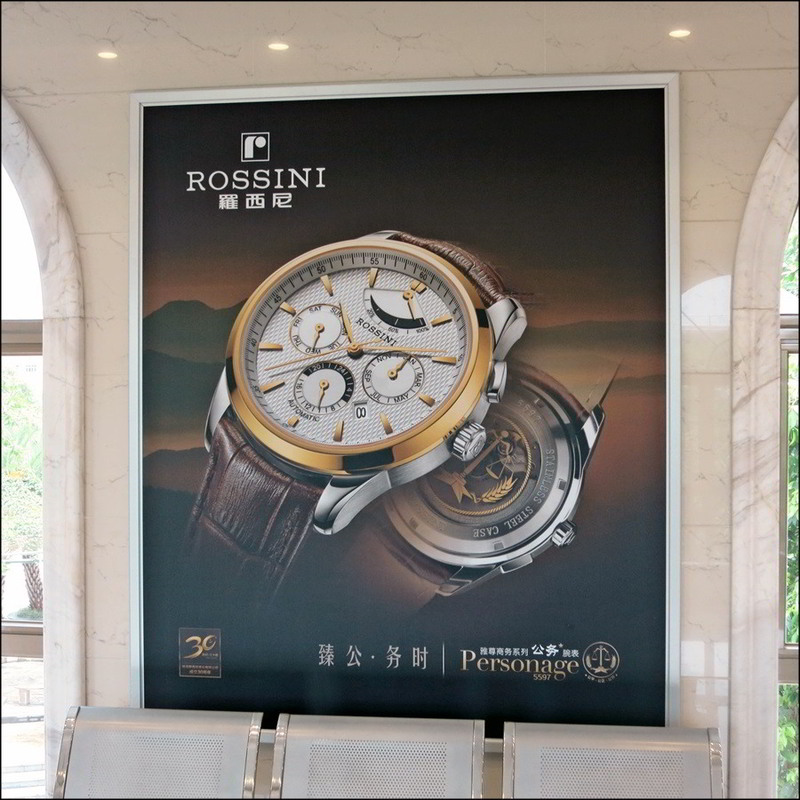 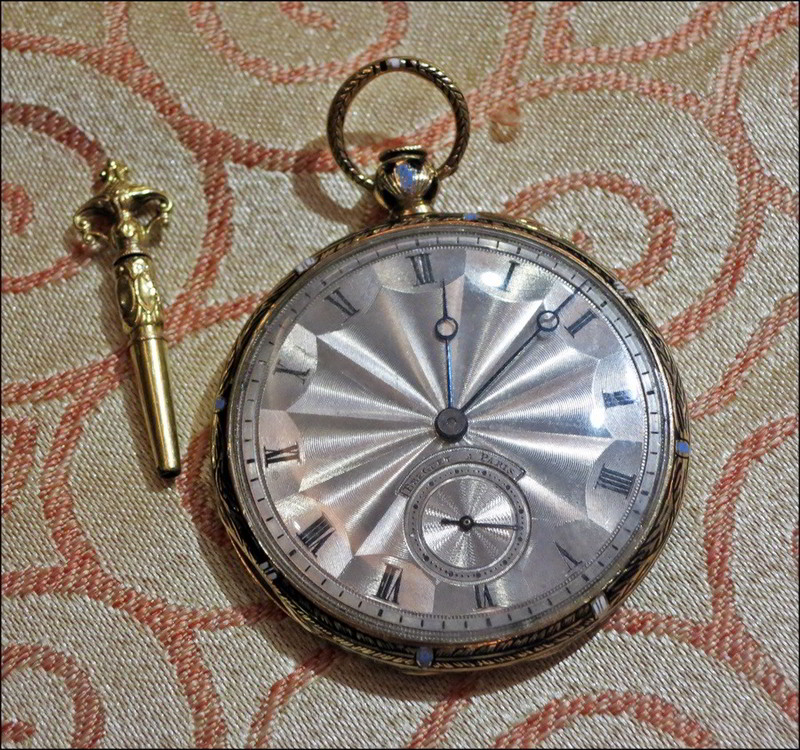 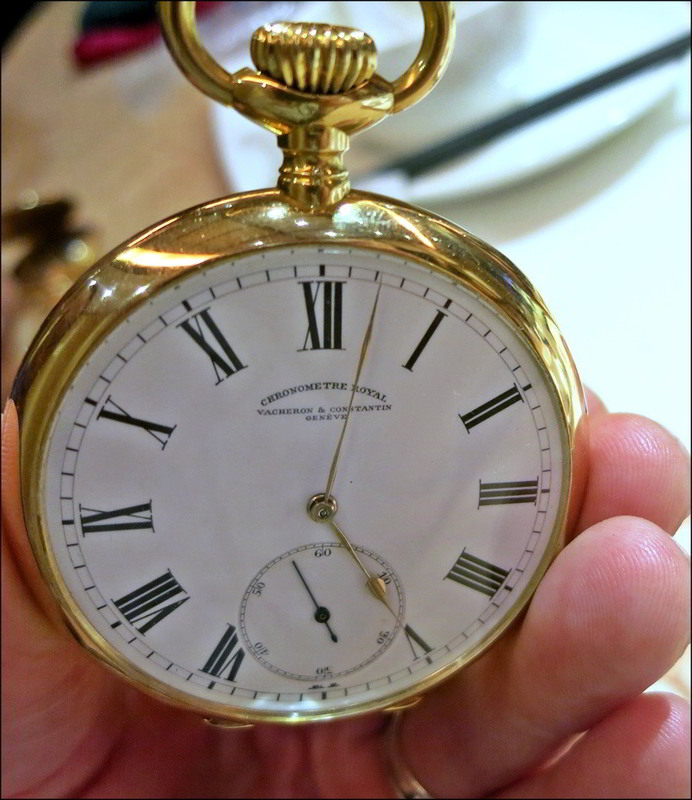 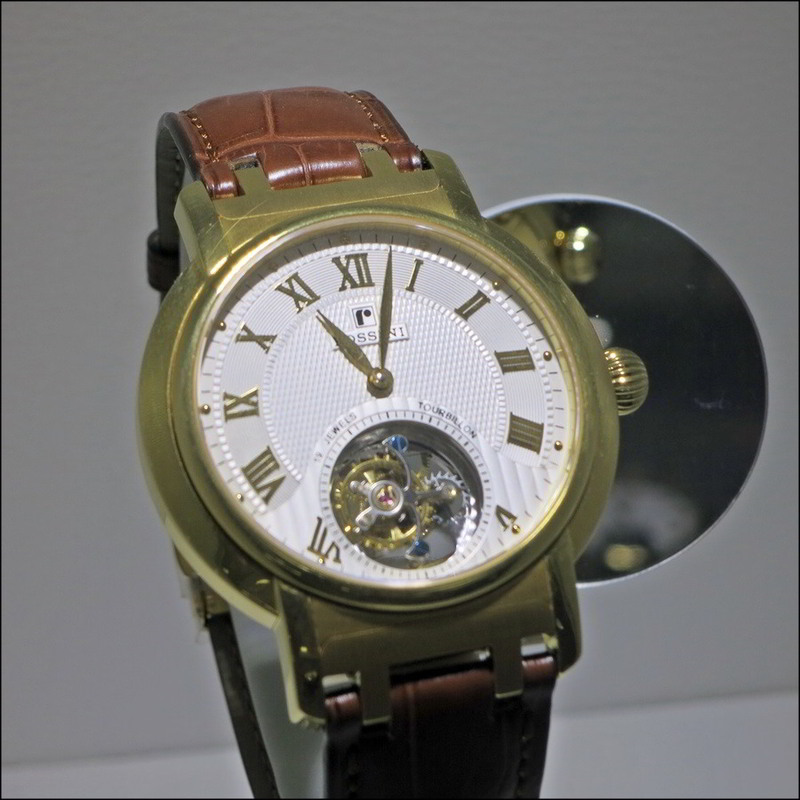 The Rossini and Ebohr brands are major players in the Chinese domestic watch market, both very much targeting mid to higher-end style-conscious demographics, but producing watches that range from a hundred or so RMB to RMB 110,000 (domestic tourbillon, 18k, patent pending clamshell case with interior carved coins and dragons pattern circled by 25 diamonds, 2-week and 24 hr. 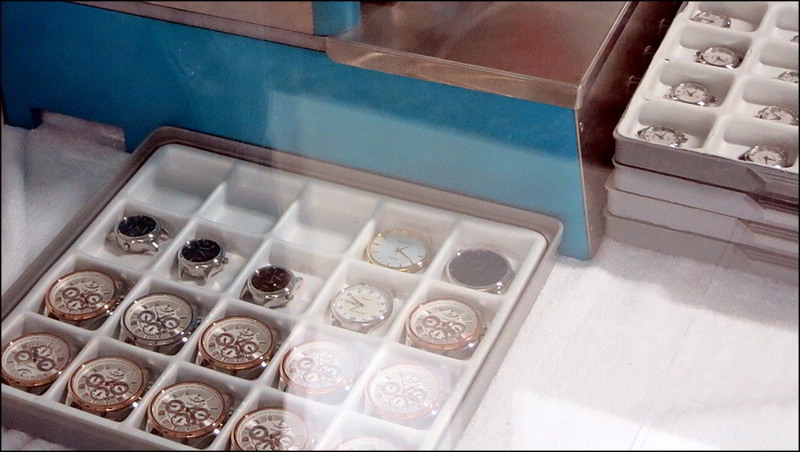 retrograde, limited to 60 pieces). 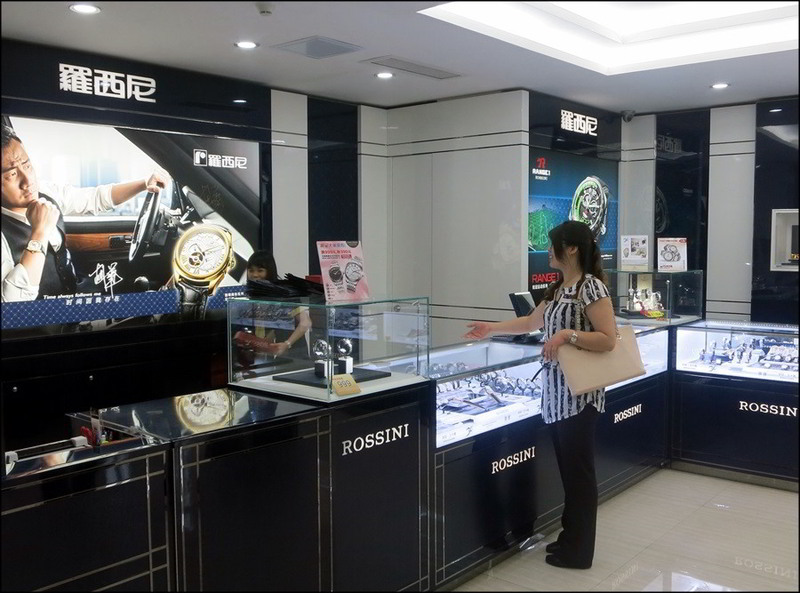 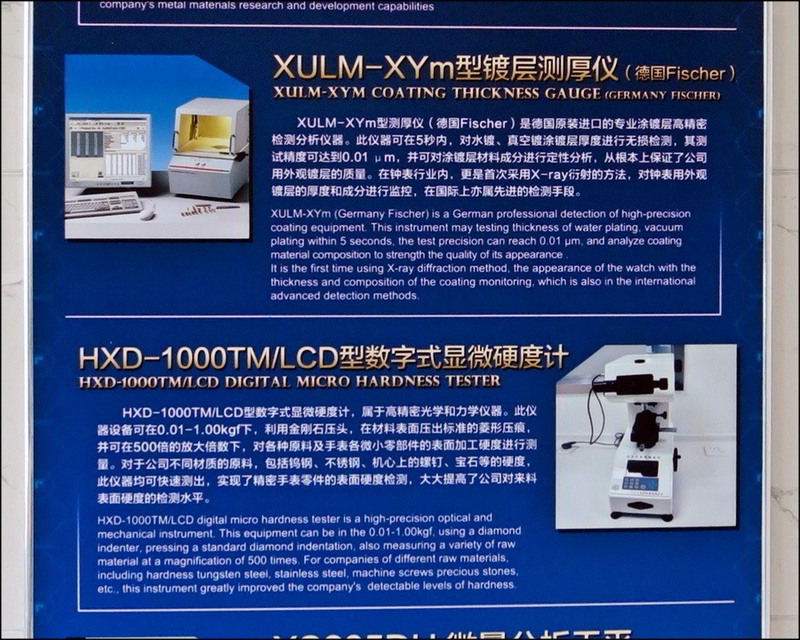 Many pieces in the RMB 5000-10,000 range (USD 800-1600). 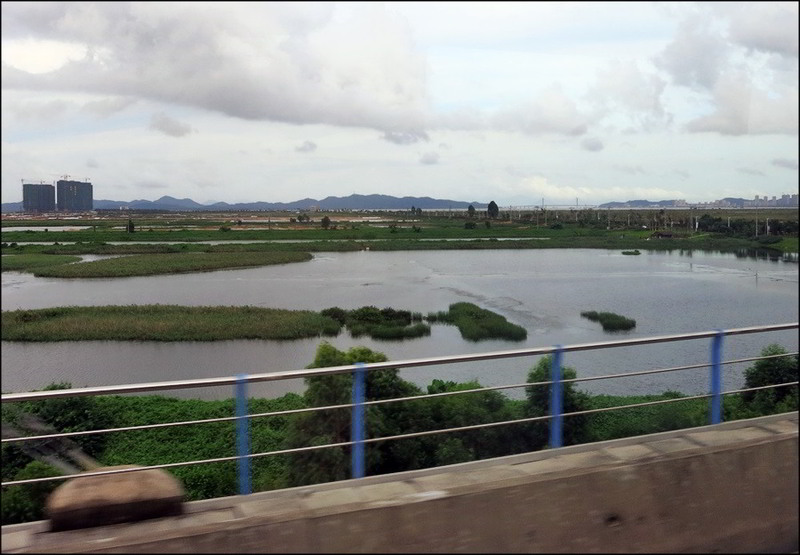 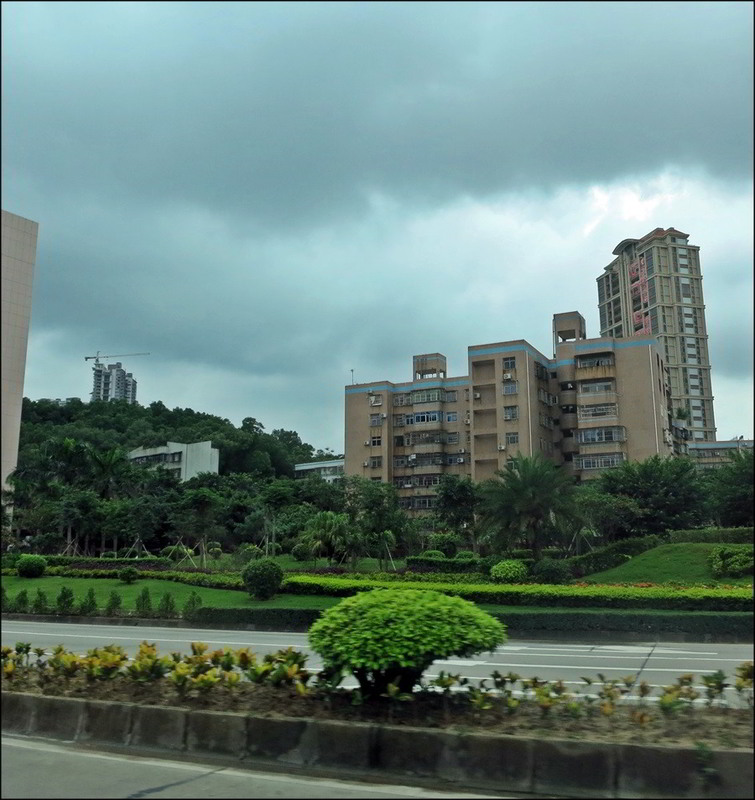 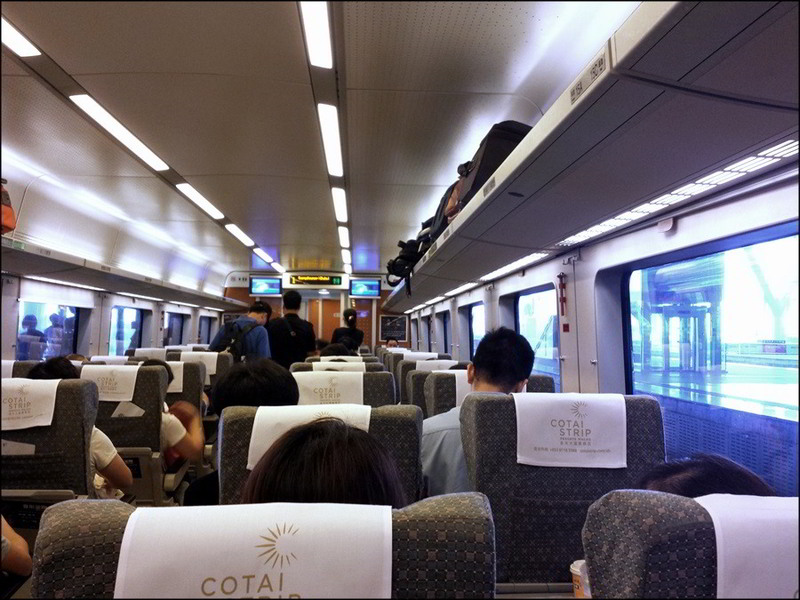 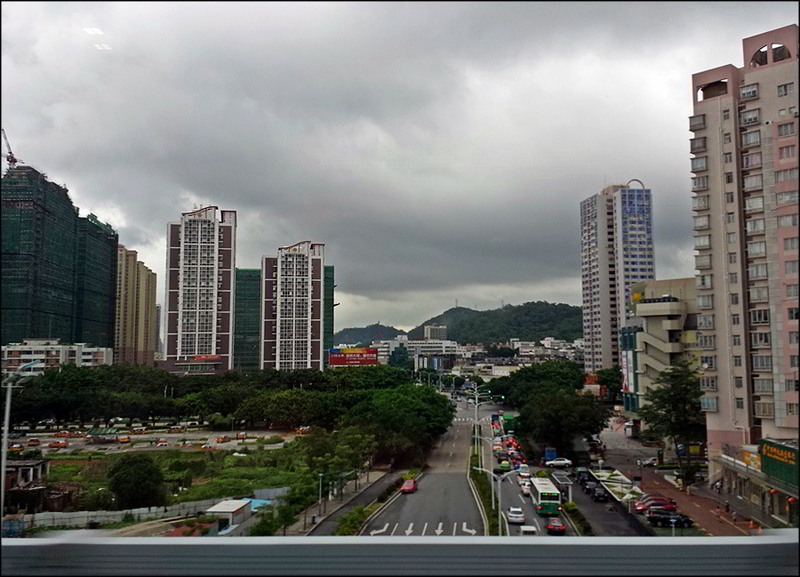 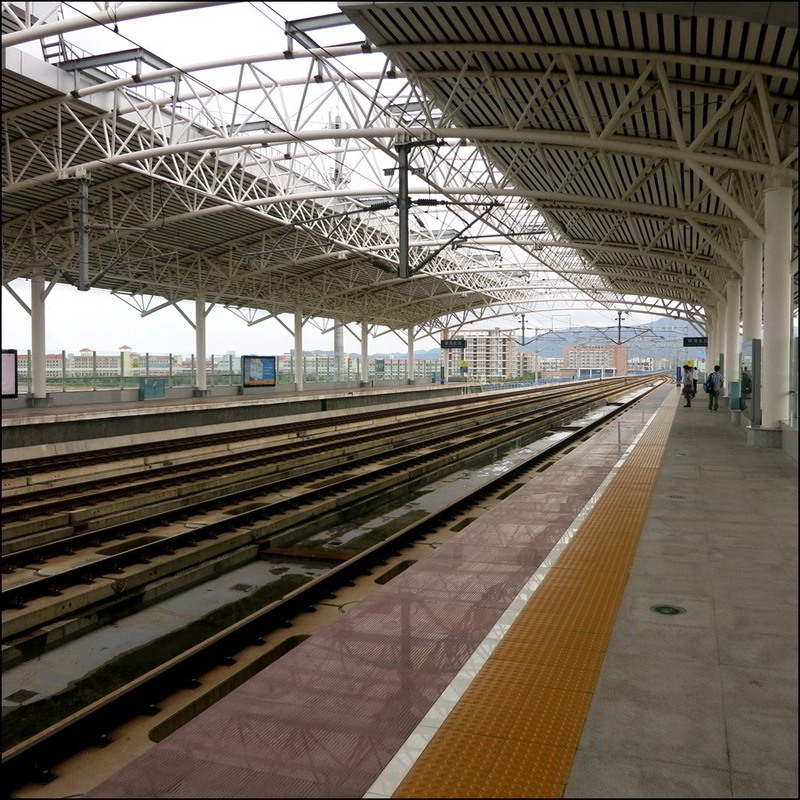 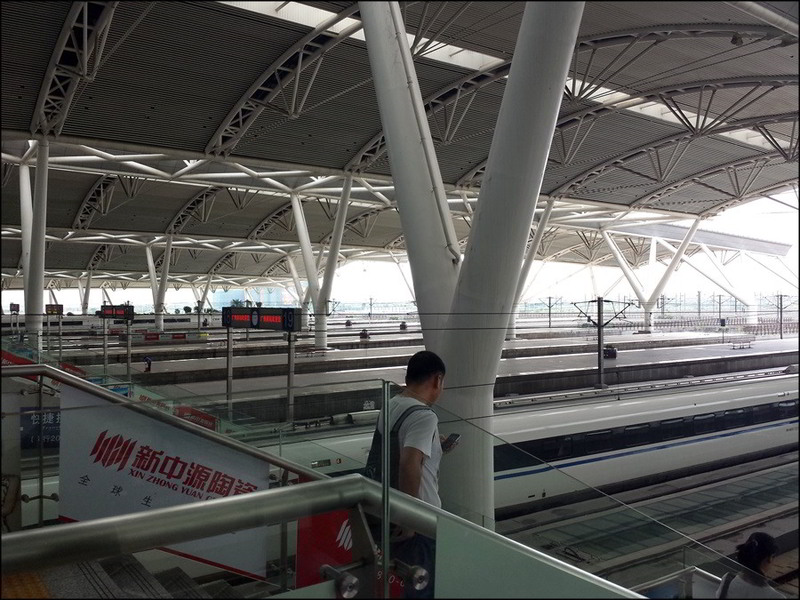 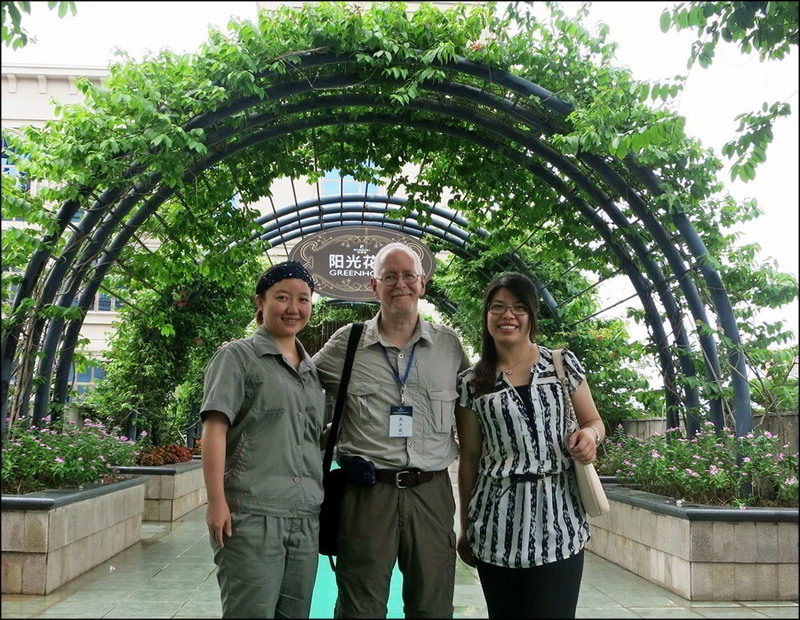 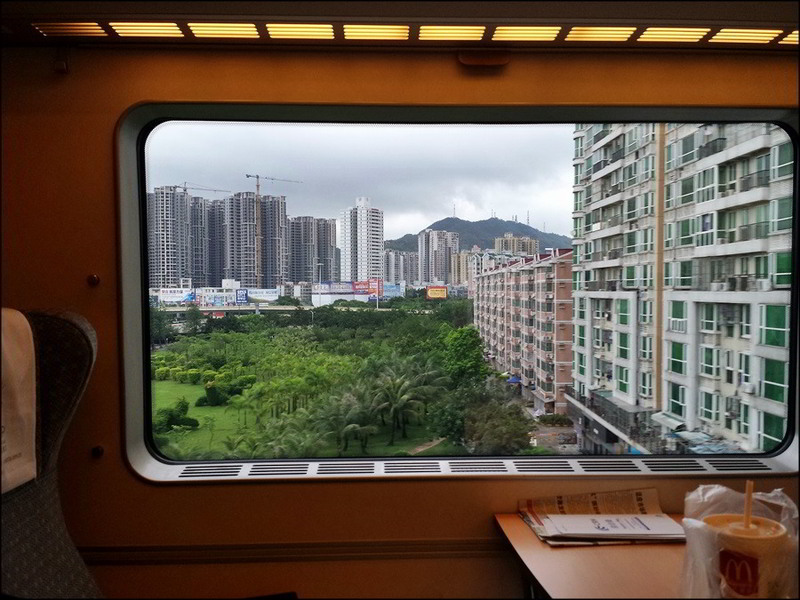 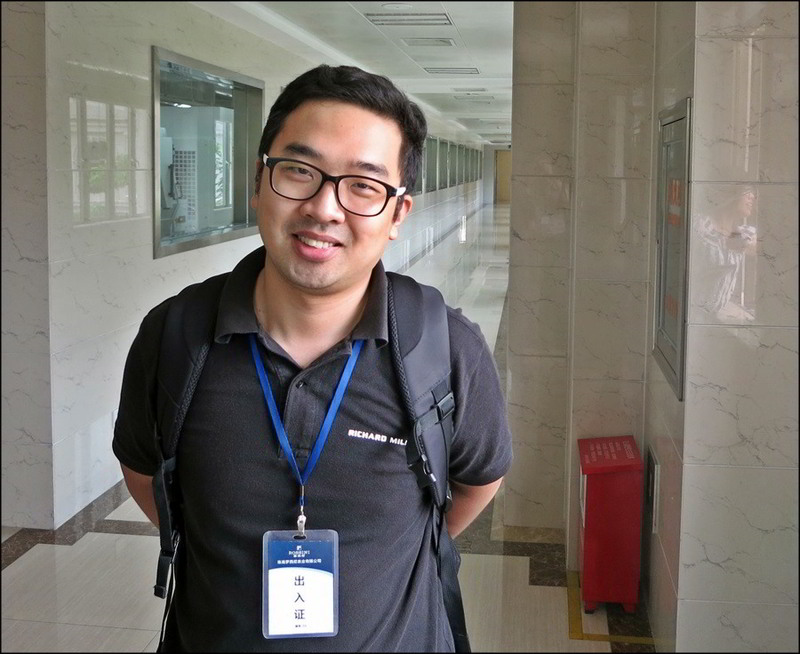 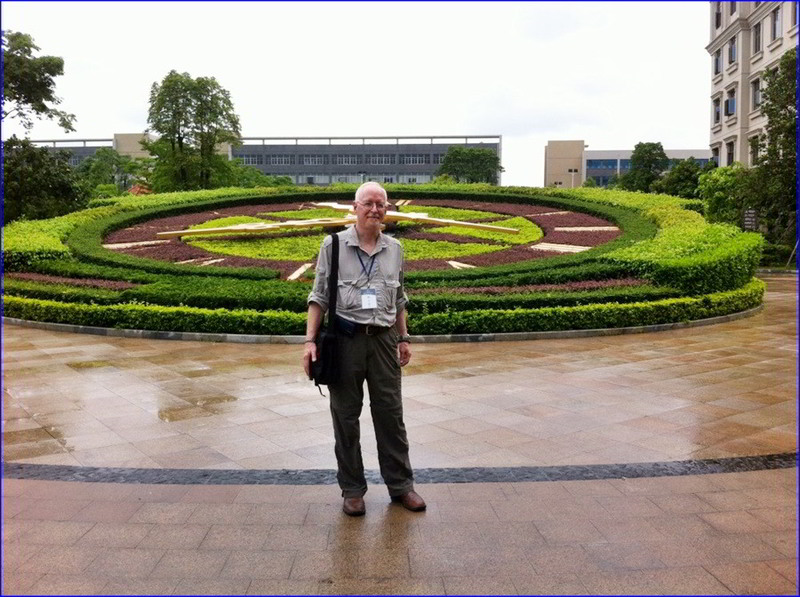 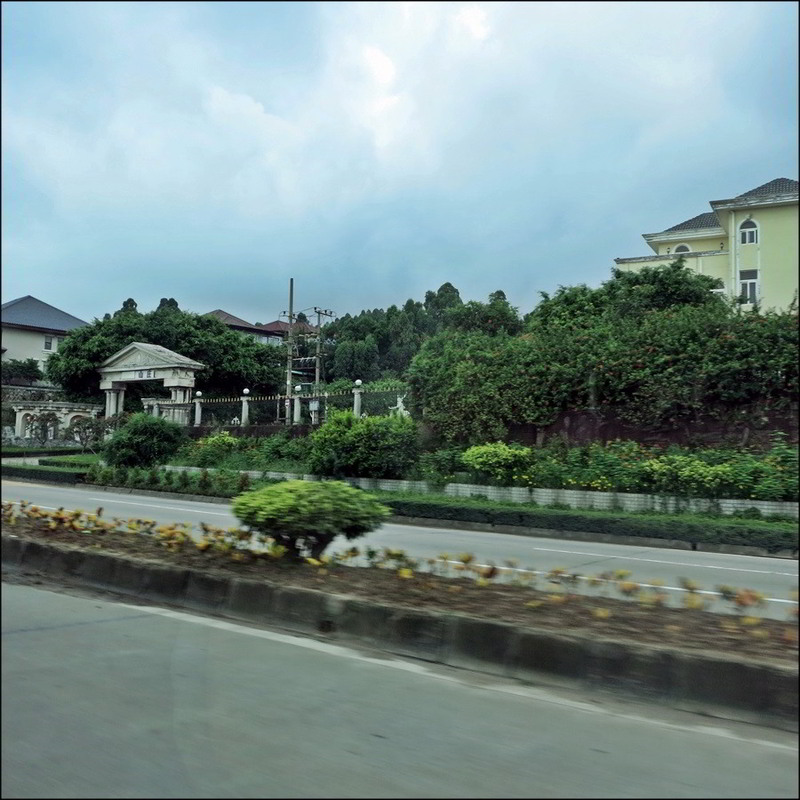 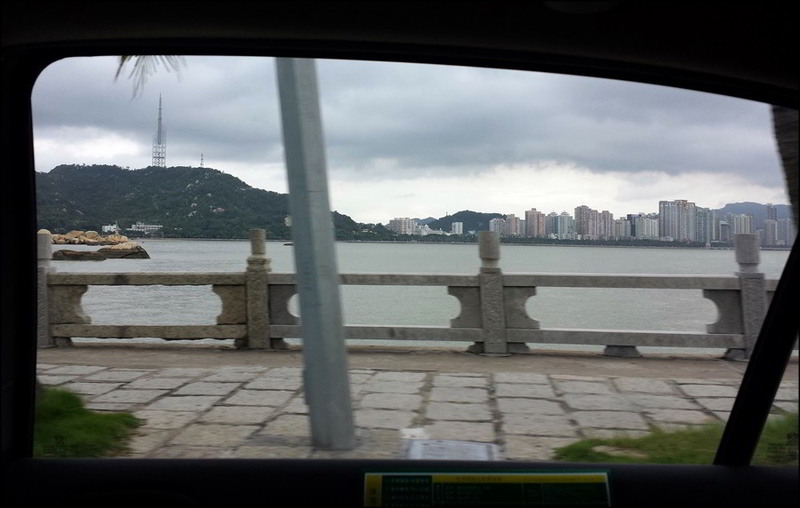 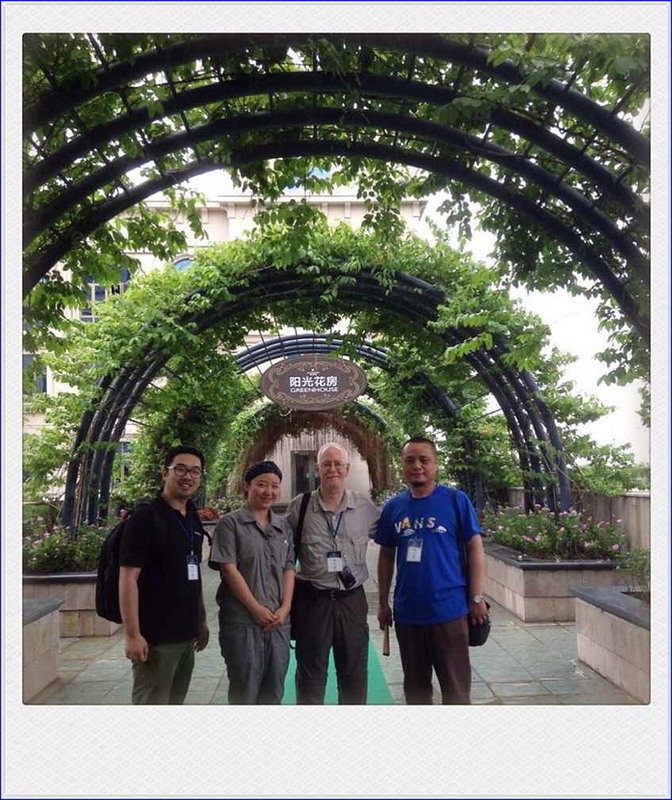 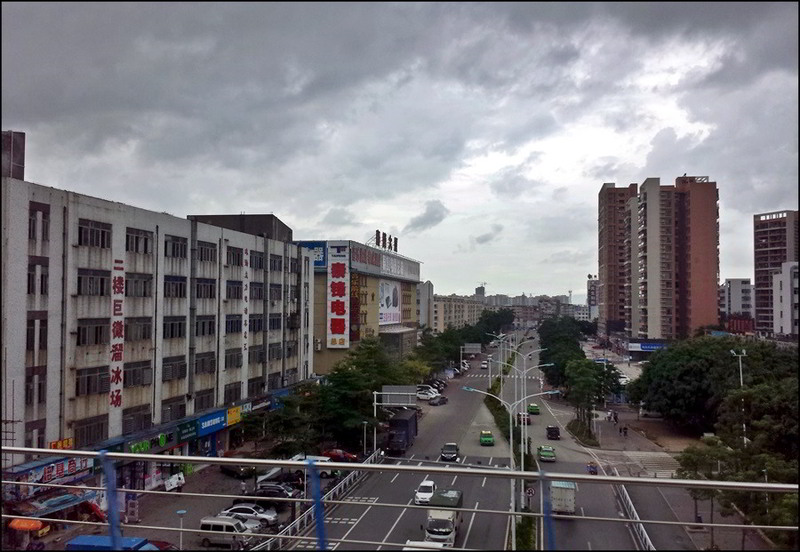 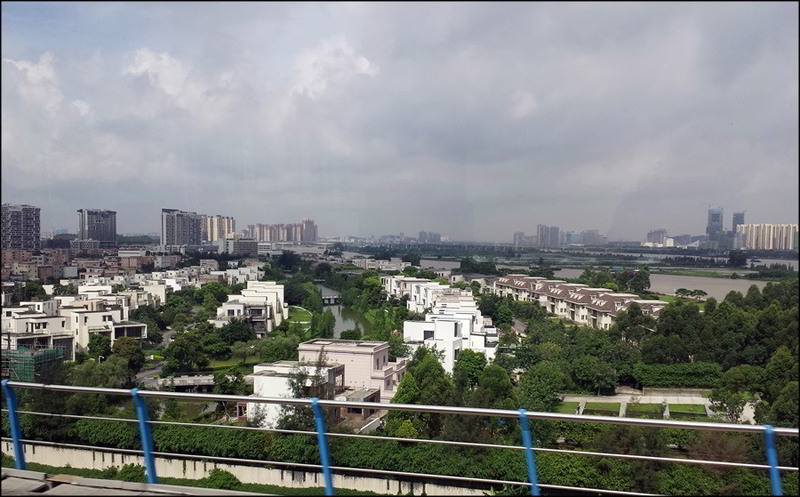 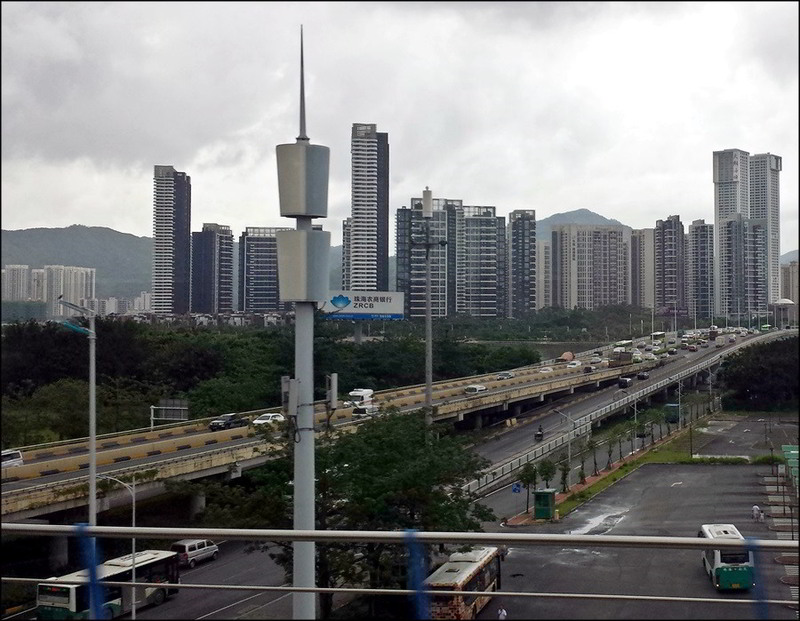 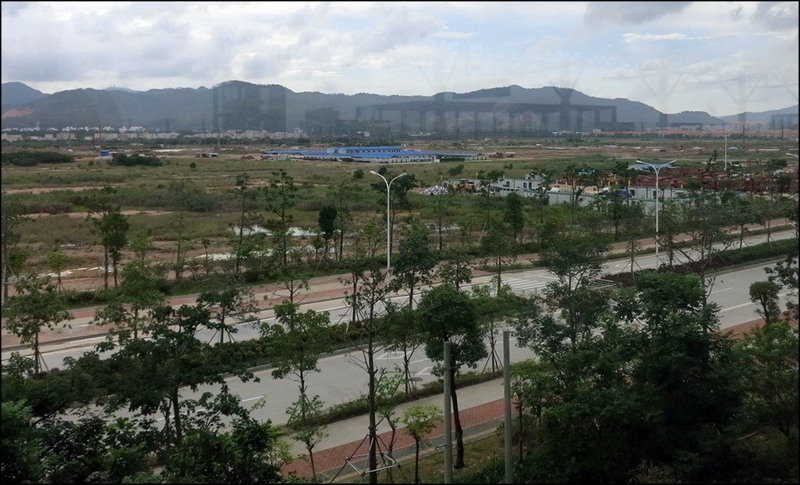 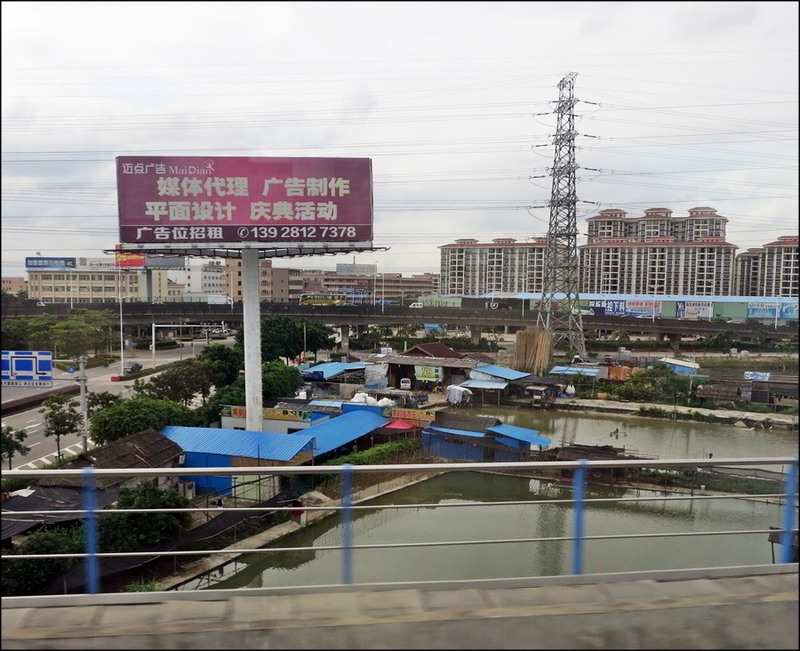 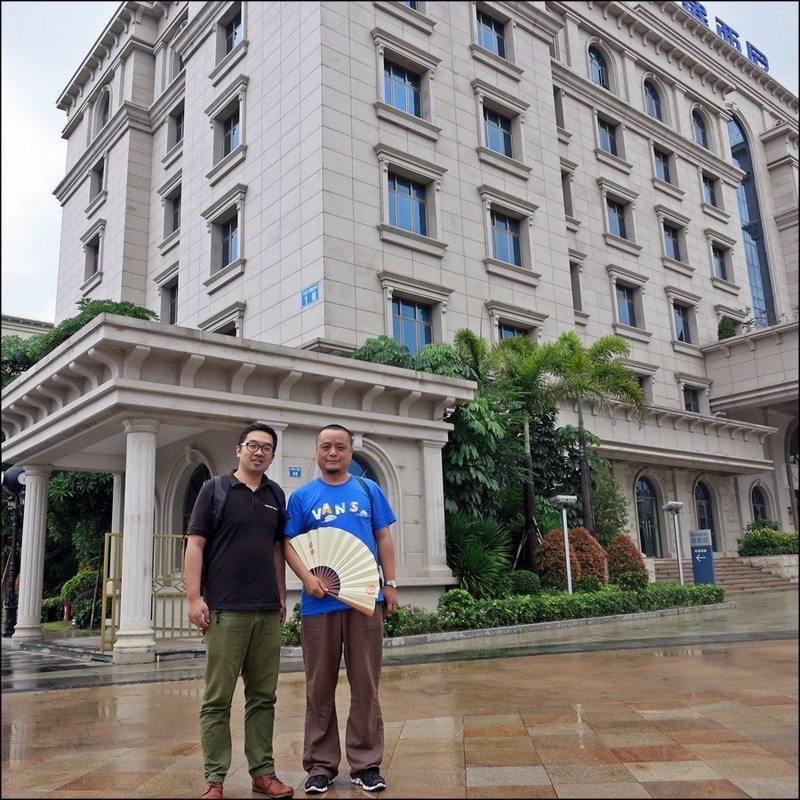 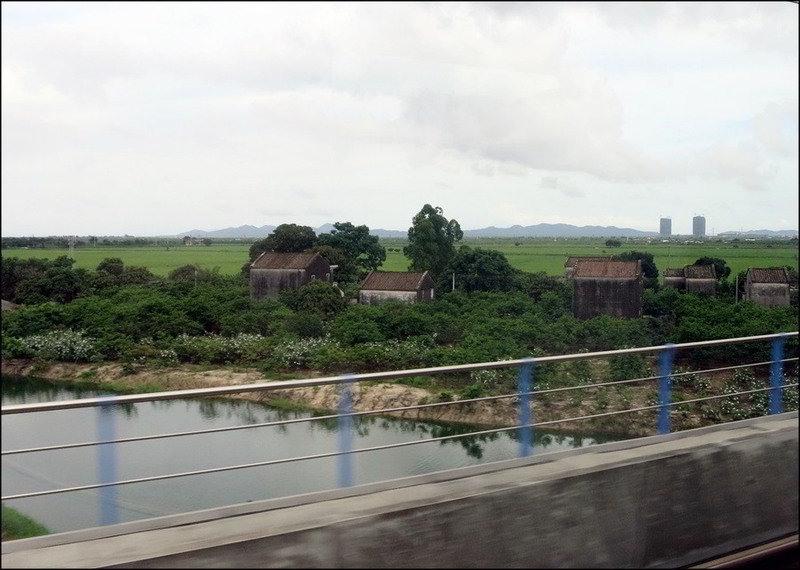 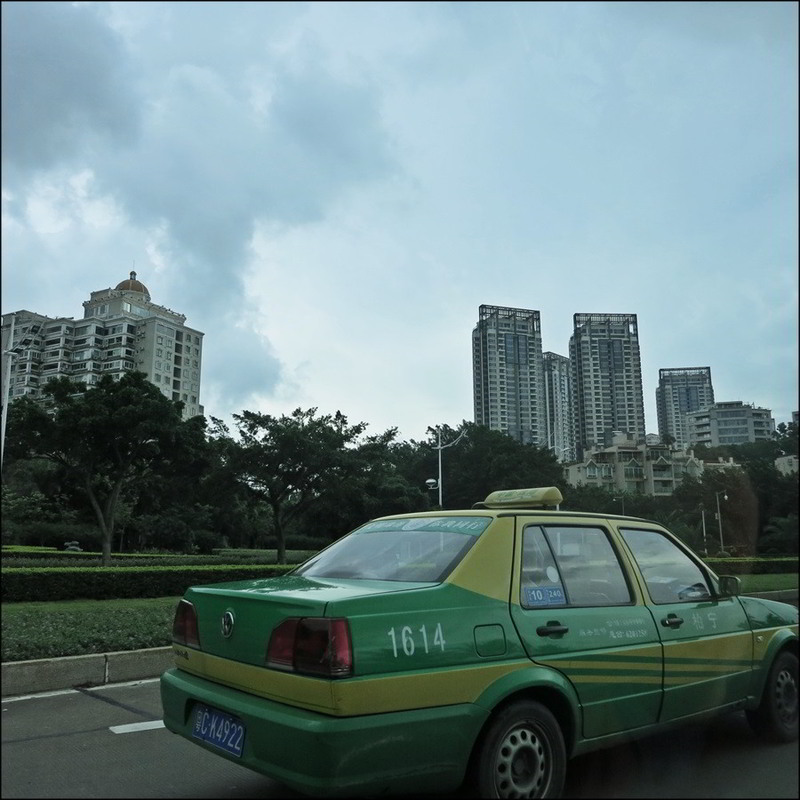 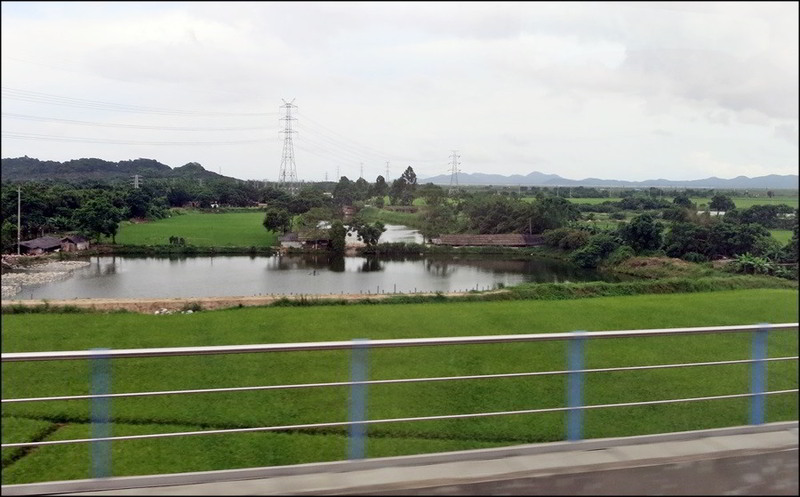 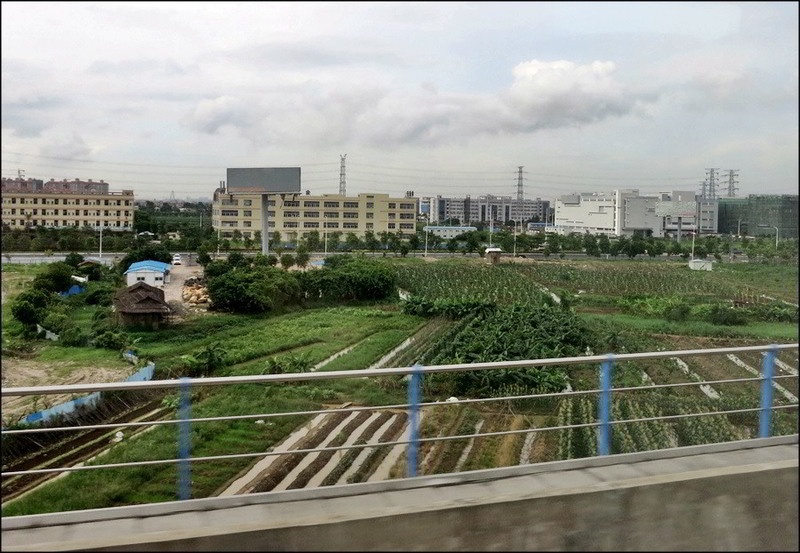 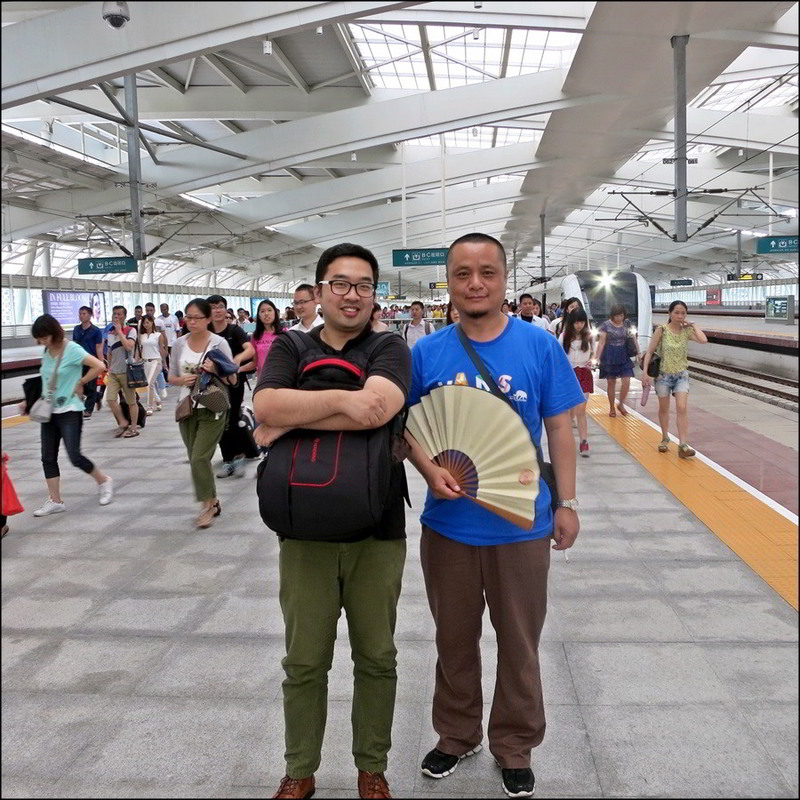 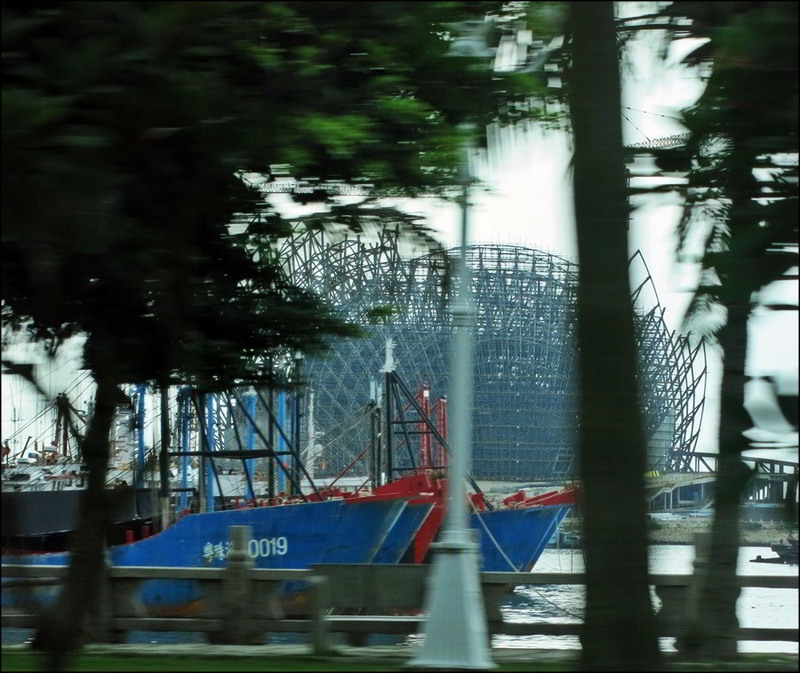 LiWei, Galen and I took the train from Guangzhou to very scenic ZhuHai on the morning of the 24th, overcast but still very, very warm and humid, 40 and 90%. 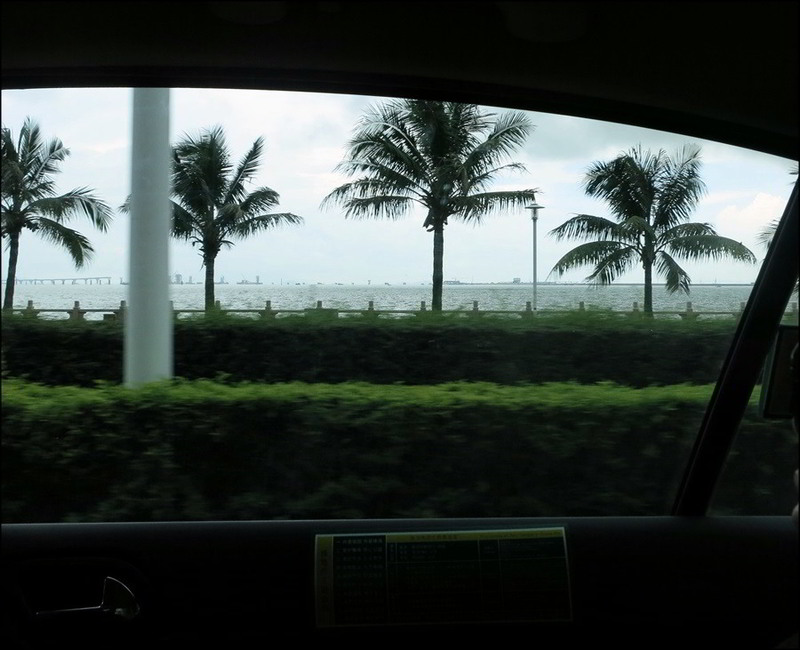 Takes some getting used to, but it's not awful. 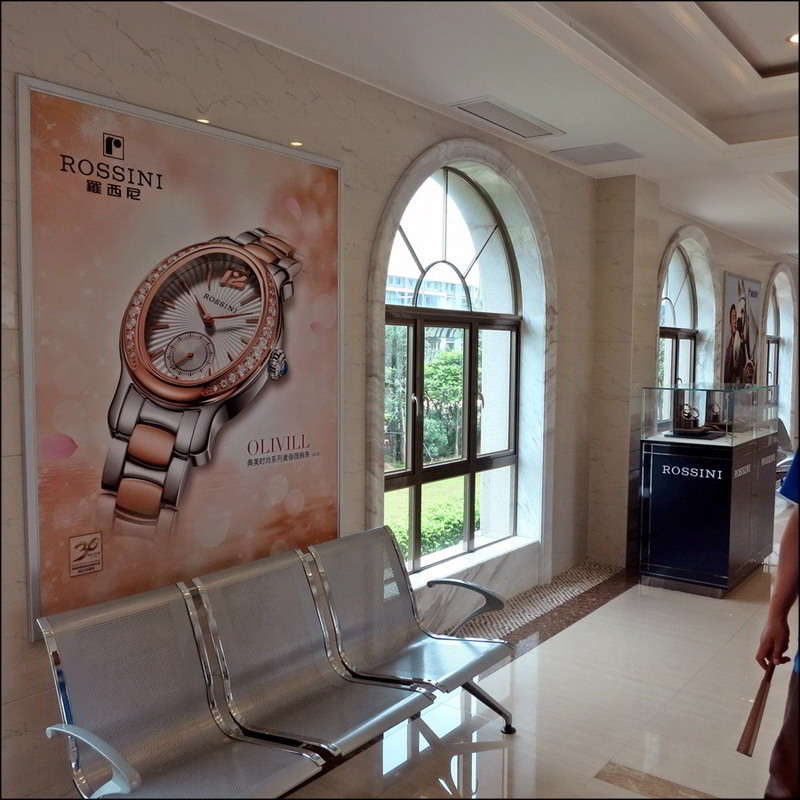 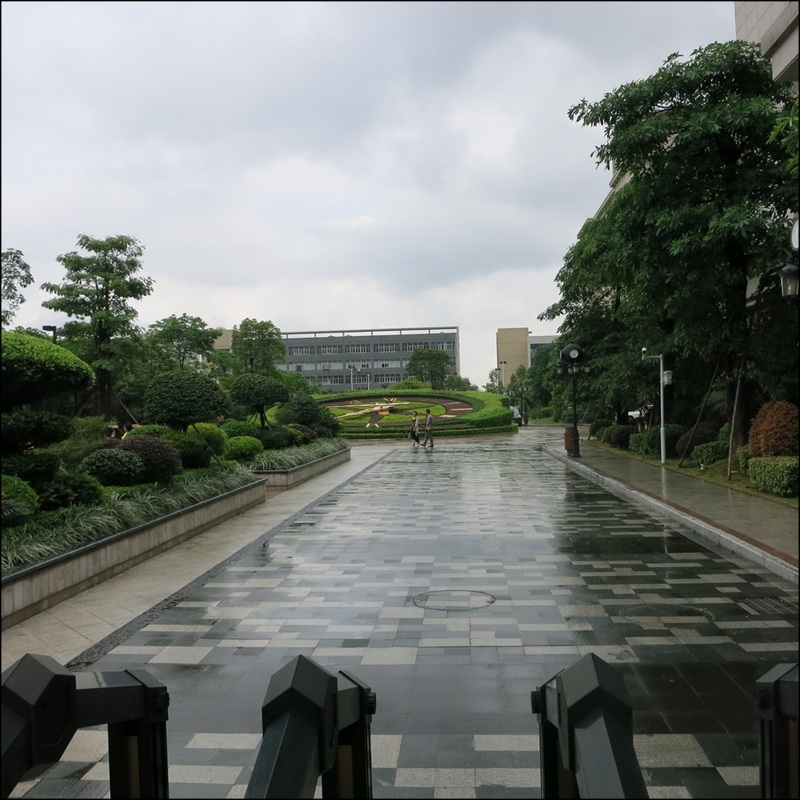 ...with a rain for about four minutes as we approached the Rossini compound, which comprises three buildings, the museum/executive/administration wing, the production wing, and the staff/housing/dining wing. 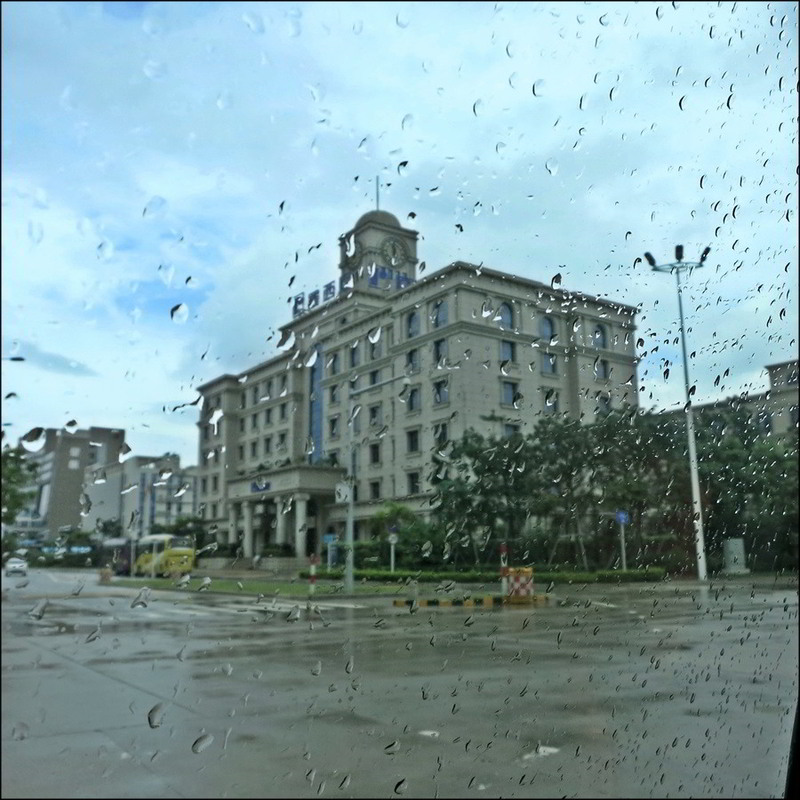 The rain had stopped by the time we got out of the cab. 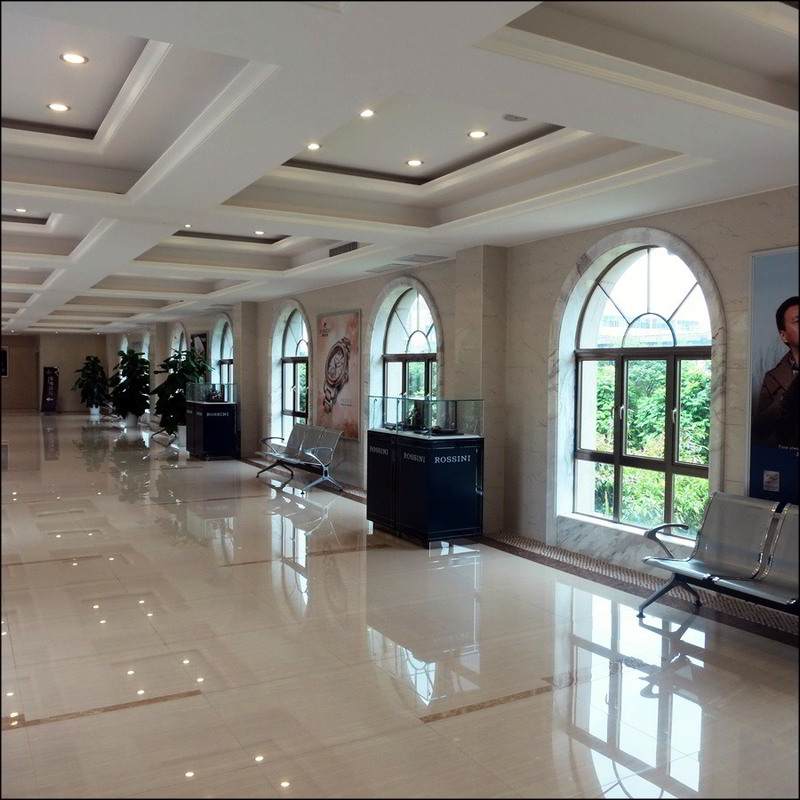 The facilities are pristine, inside and out. 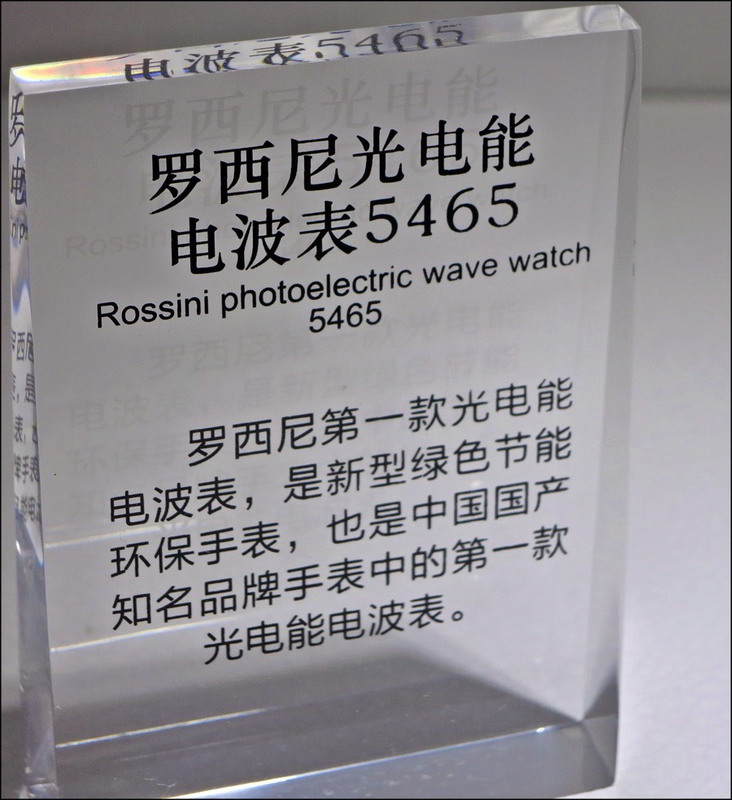 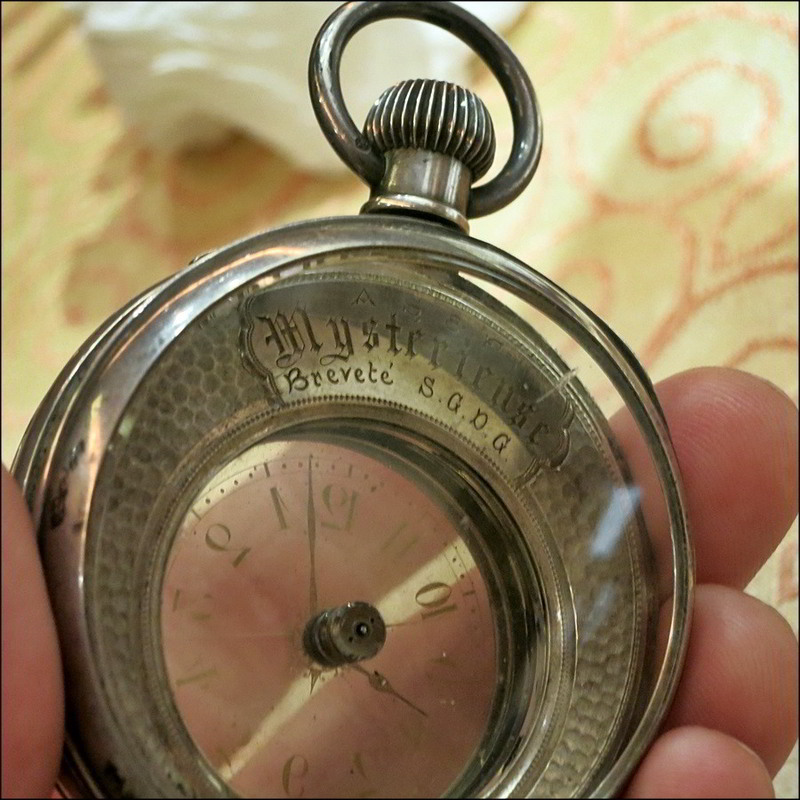 We were taken from the security entrance to meet our guide for the first part of the morning, and taken to the Rossini horological museum. 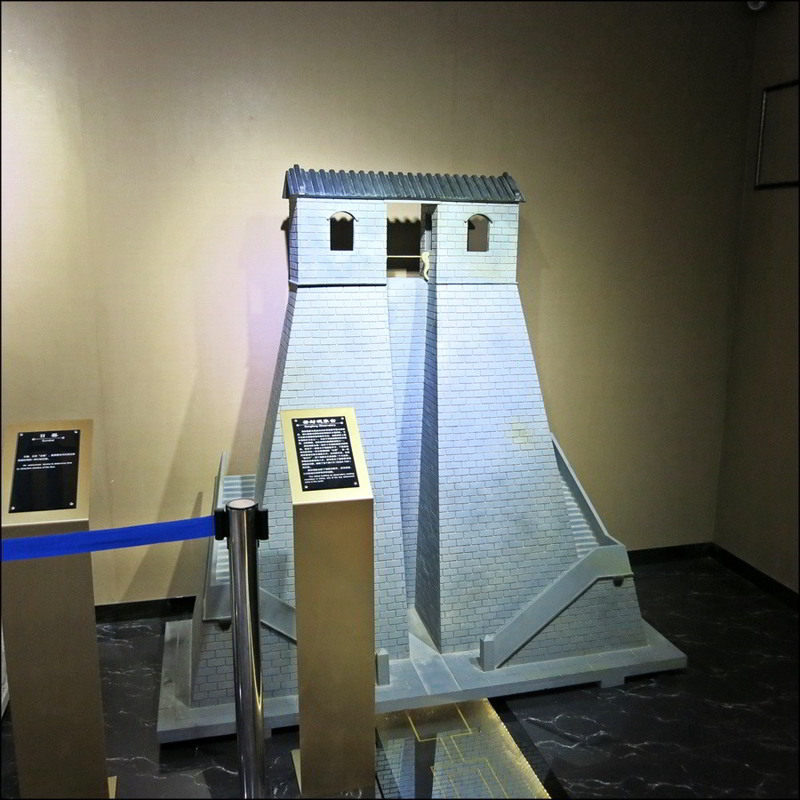 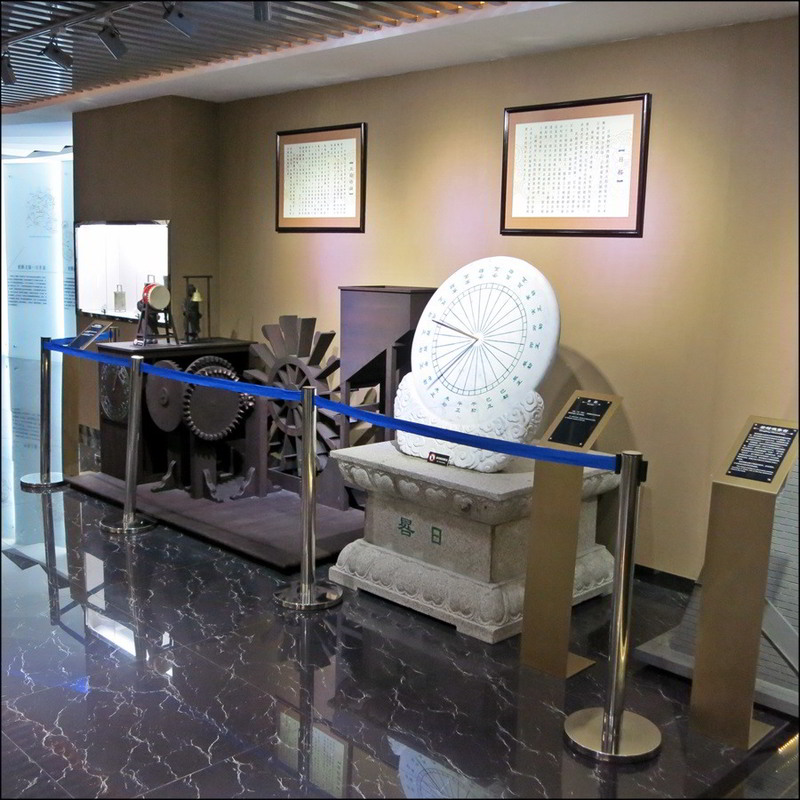 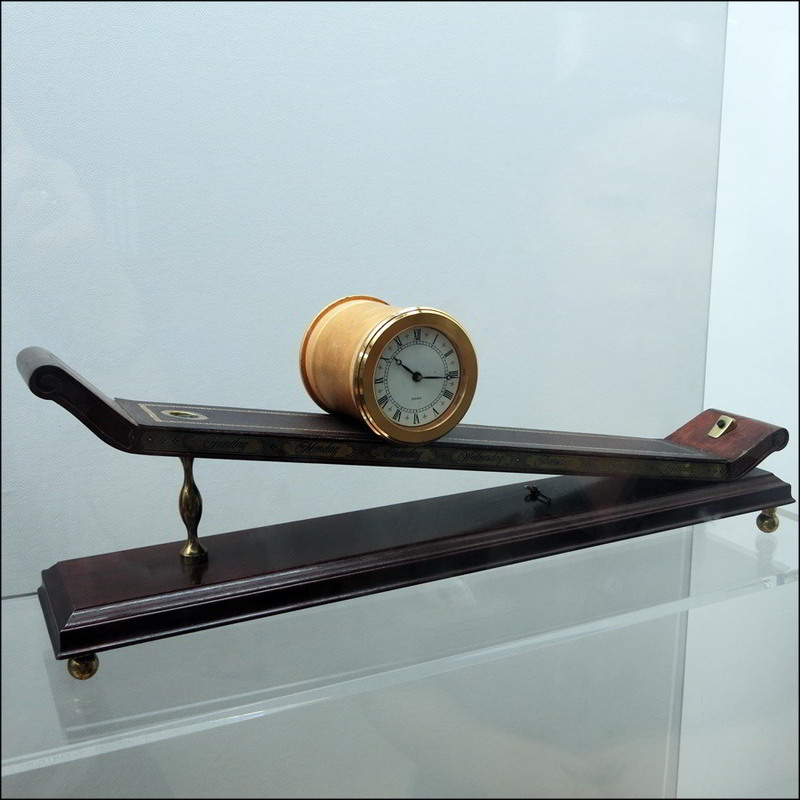 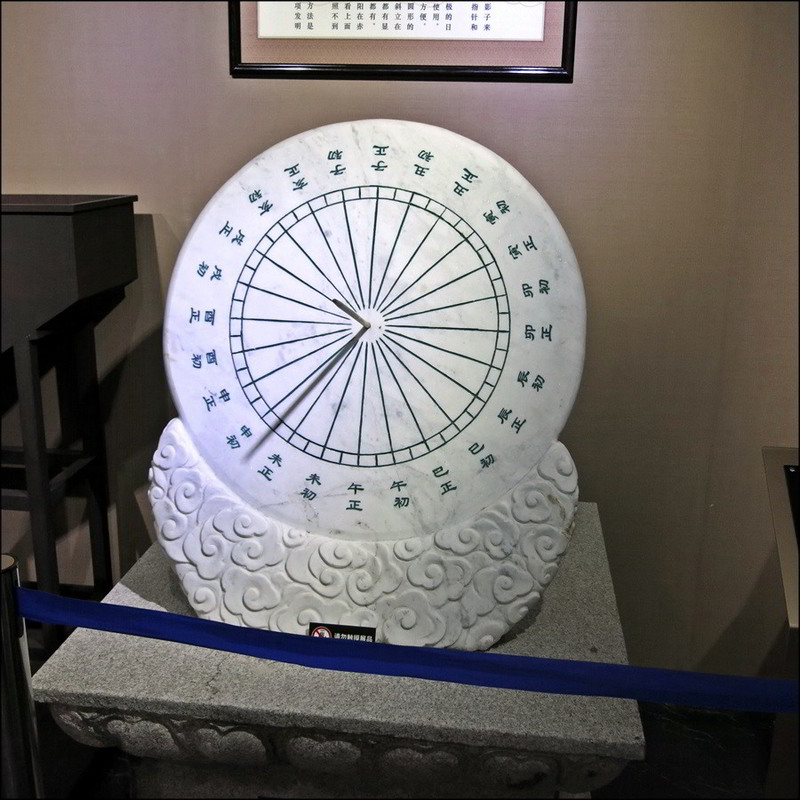 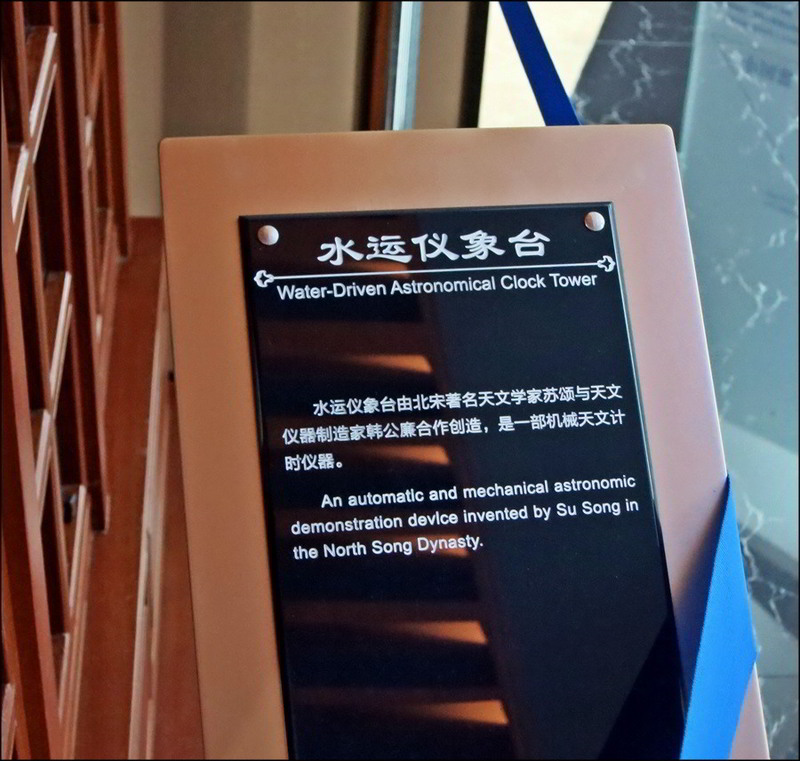 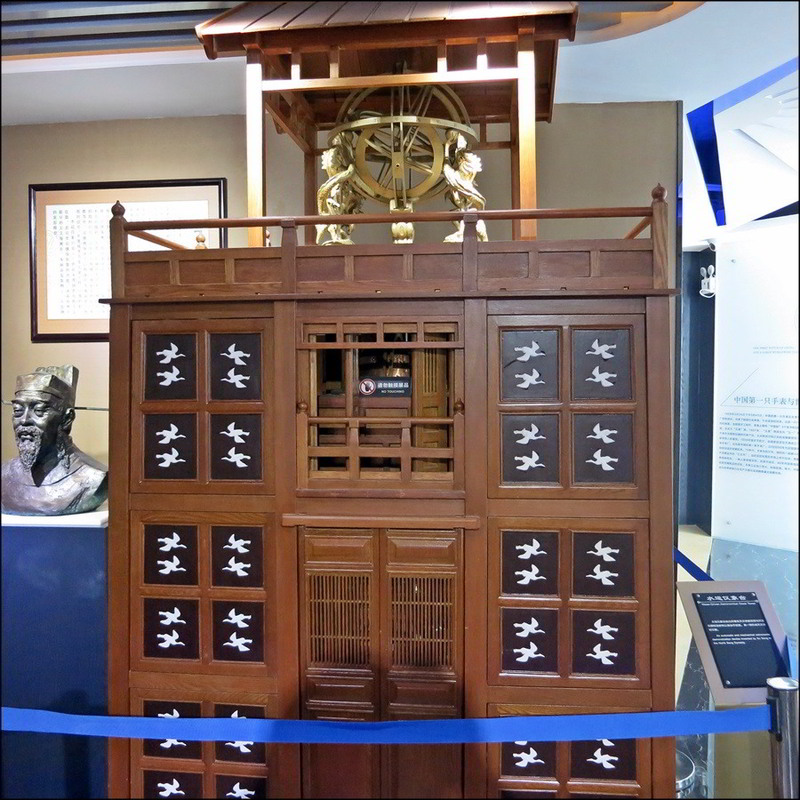 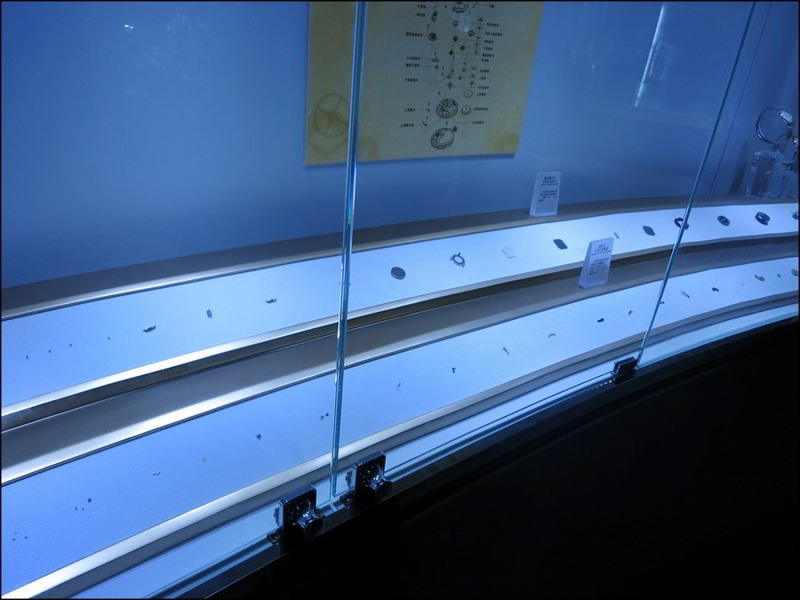 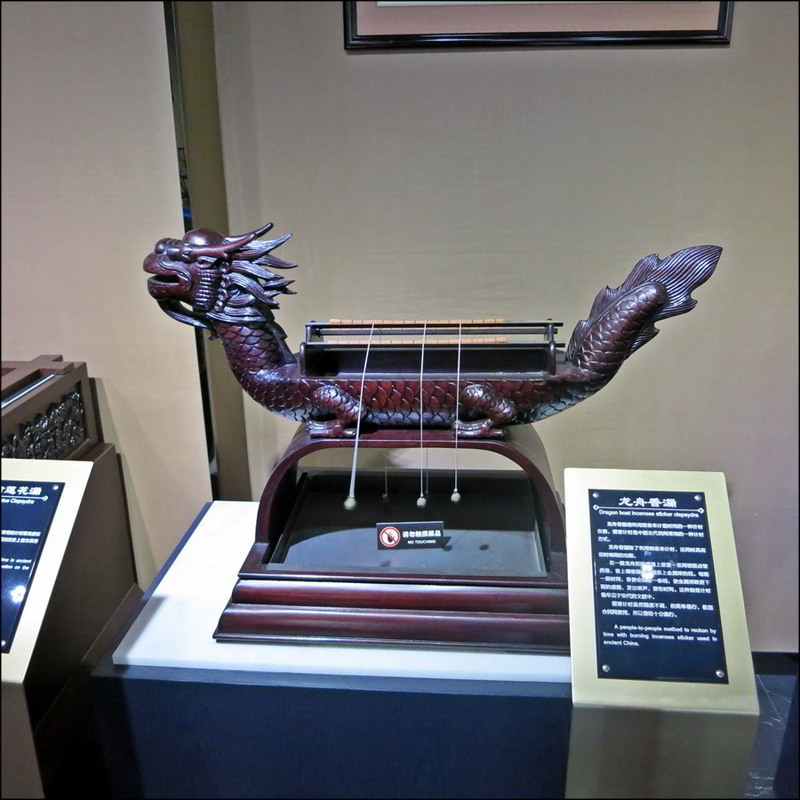 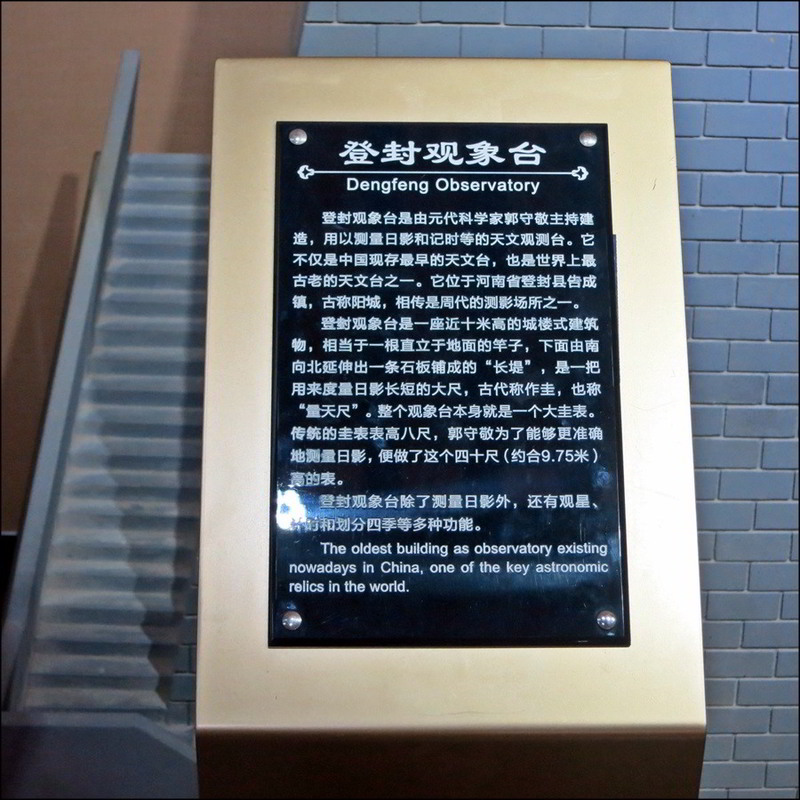 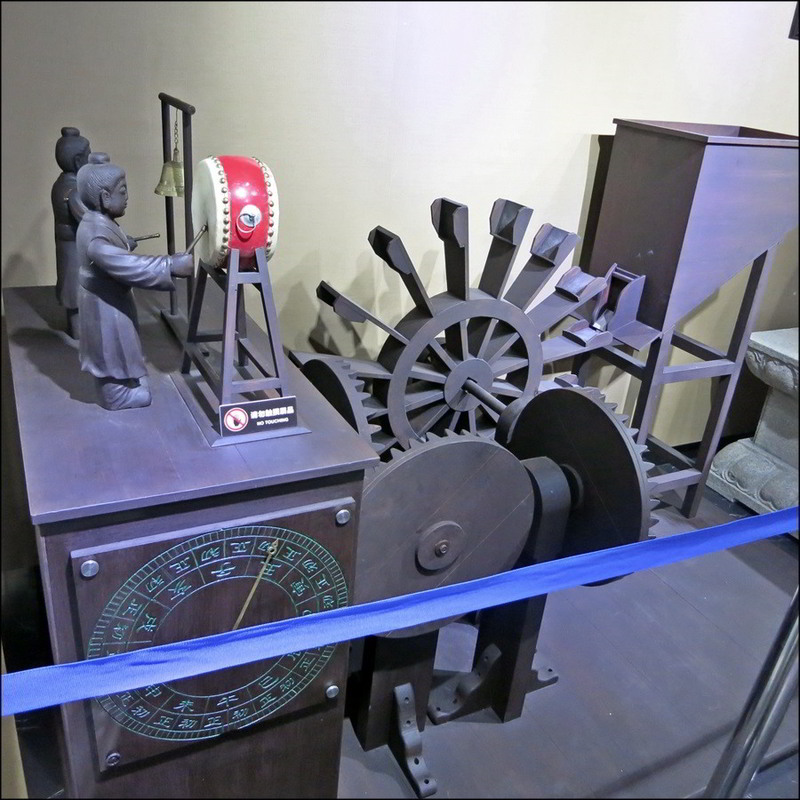 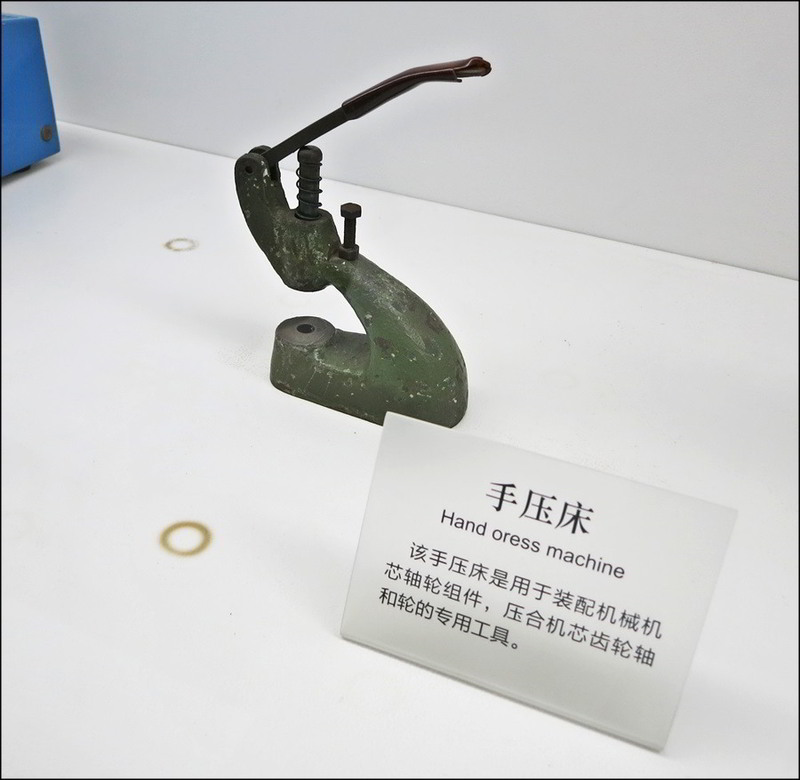 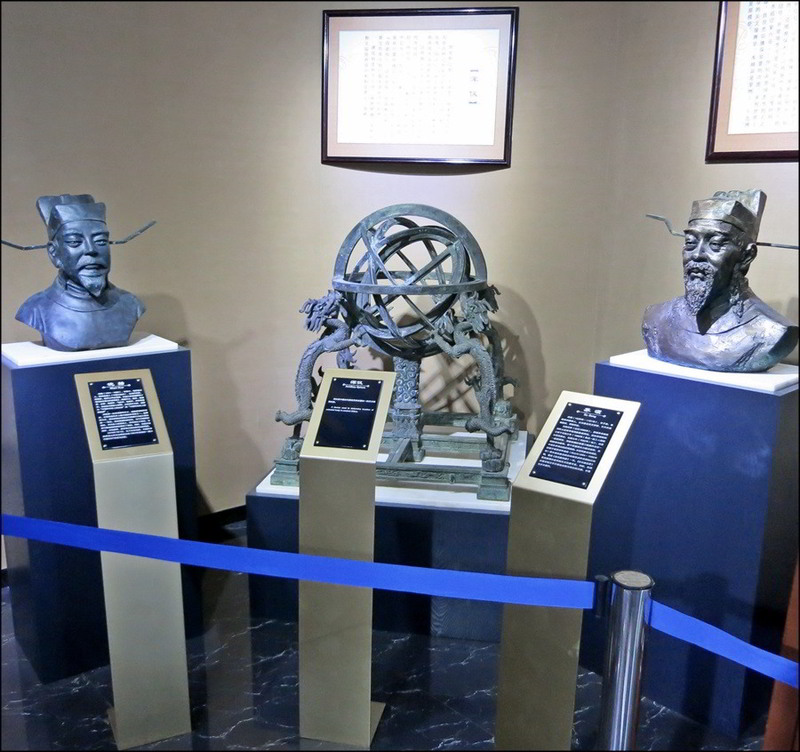 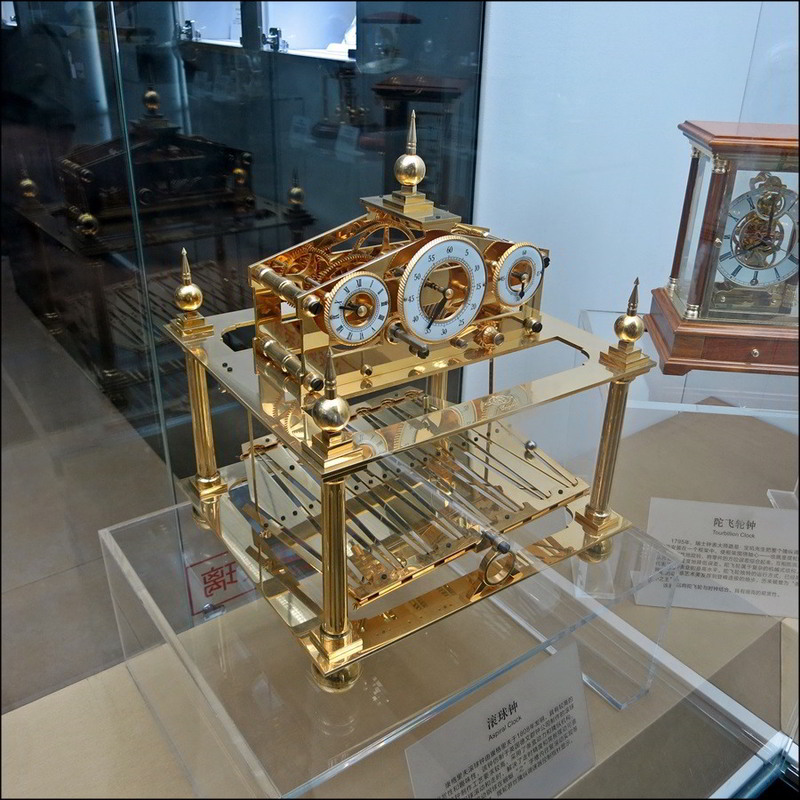 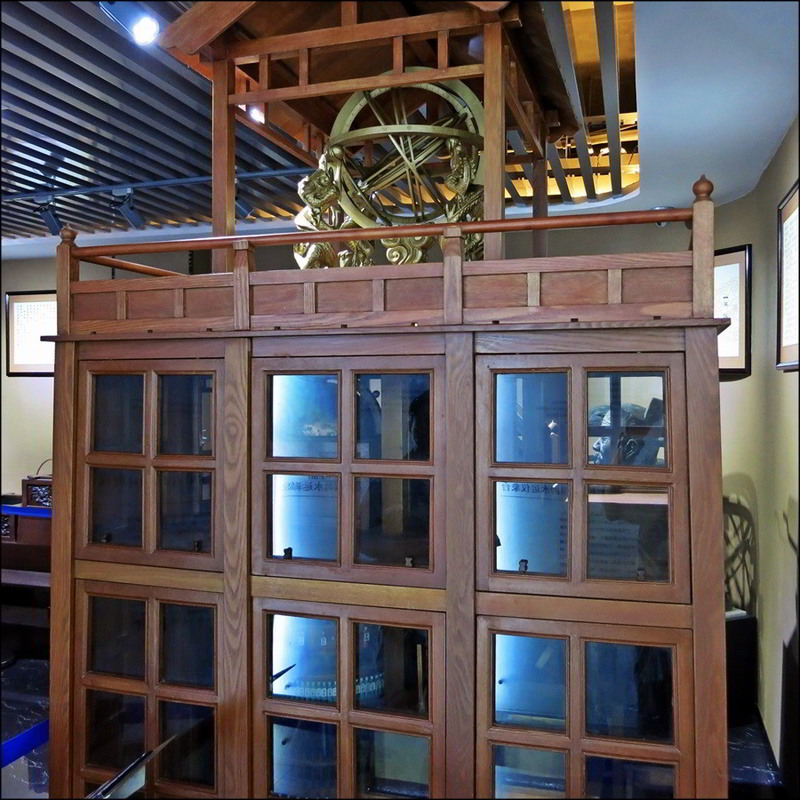 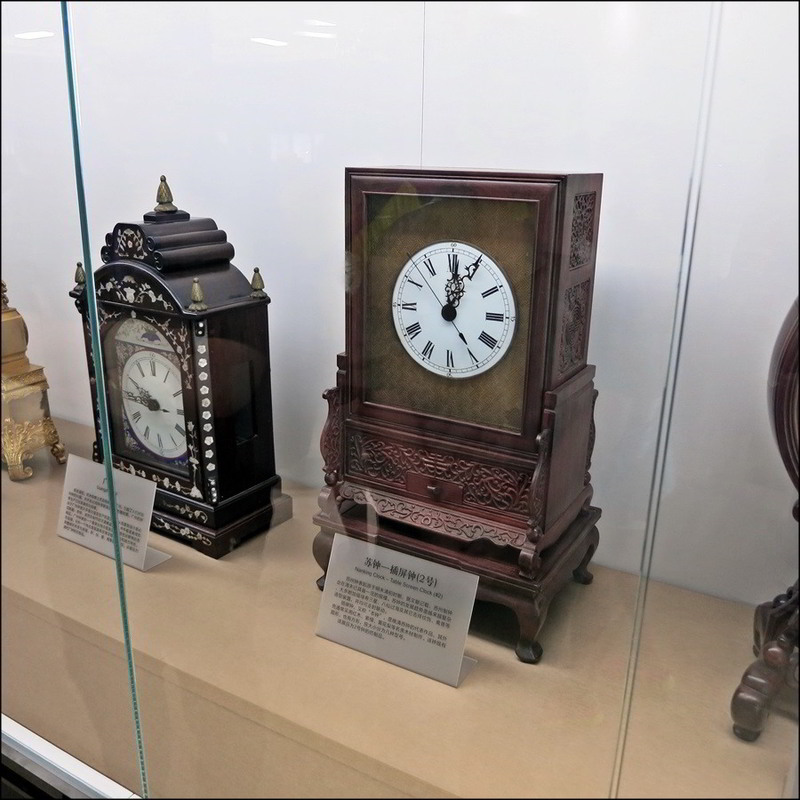 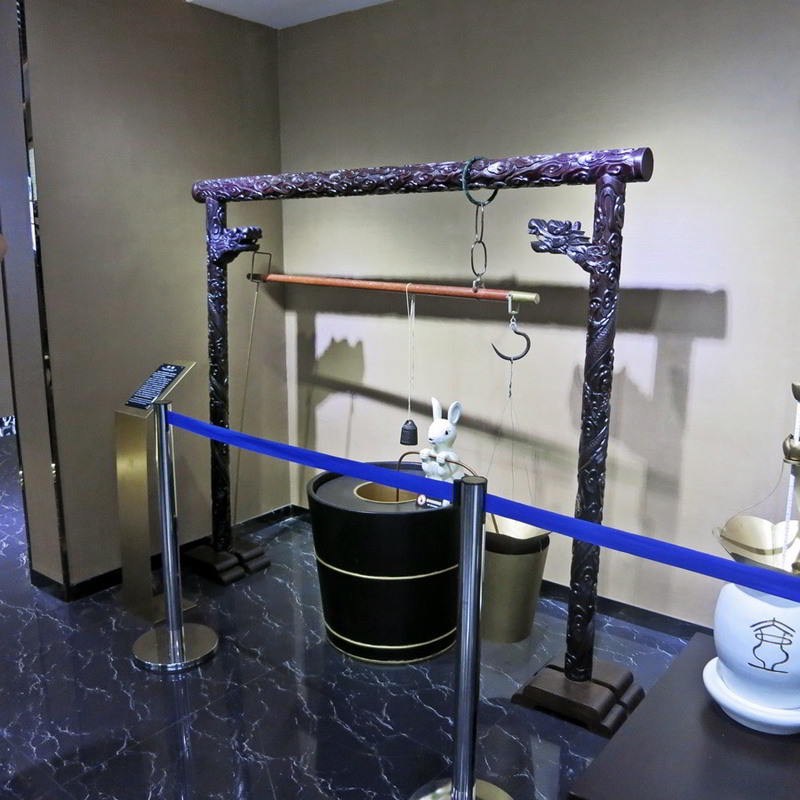 The water clock in the museum is the oldest known water clock in China, which makes it the oldest known water clock in the world. 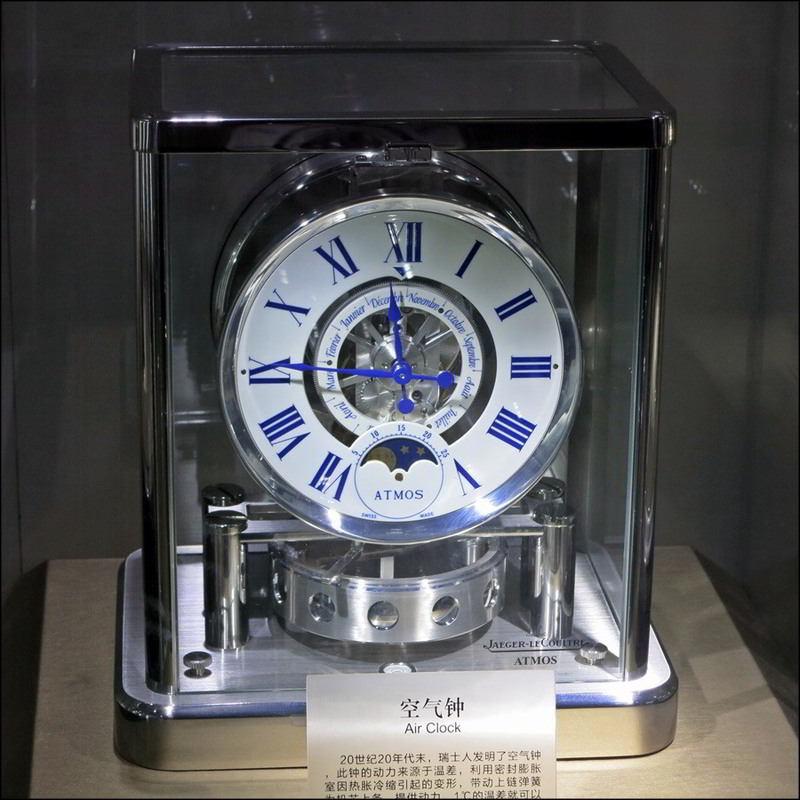 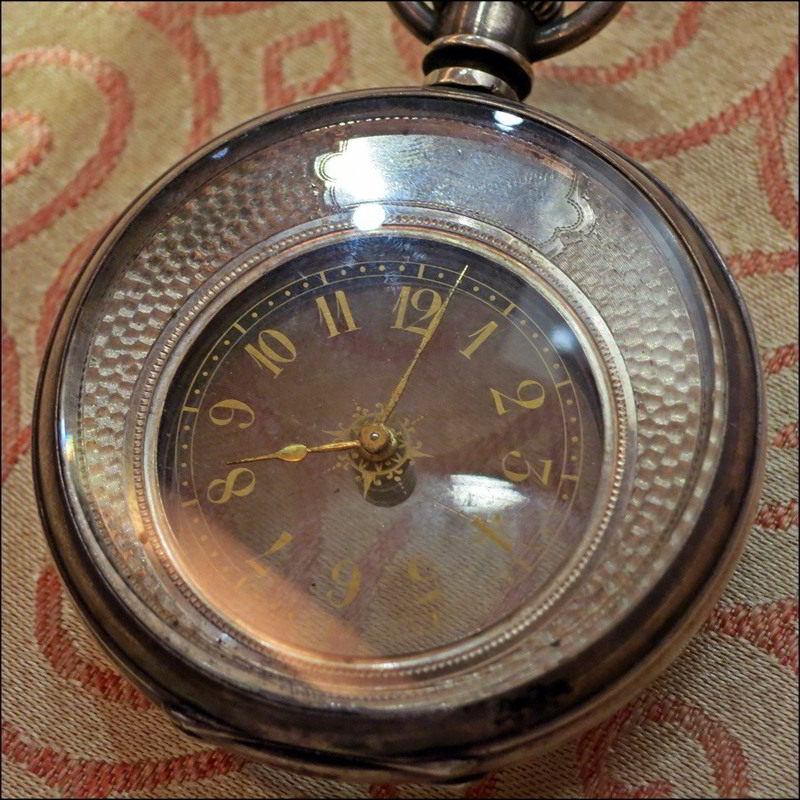 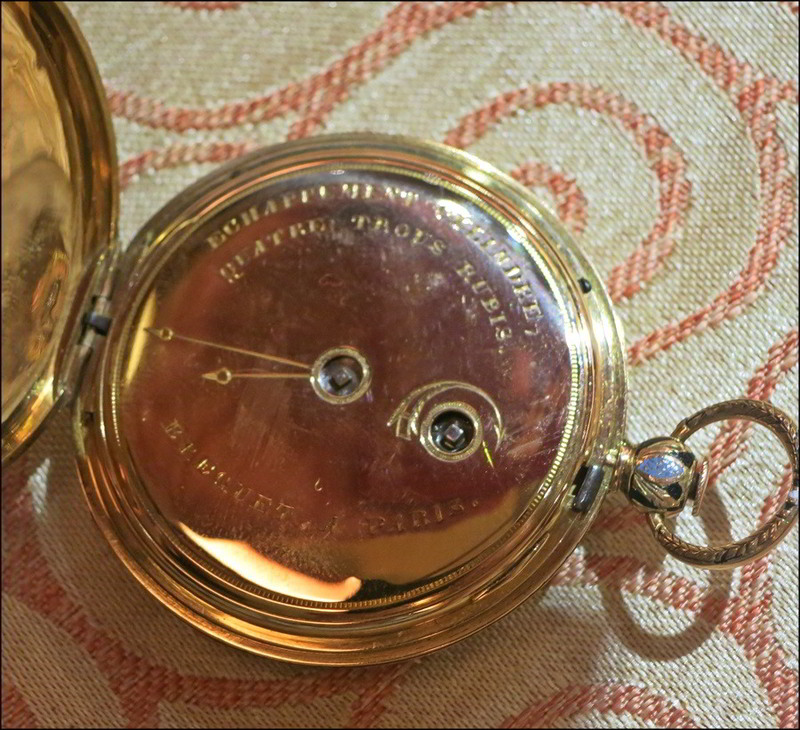 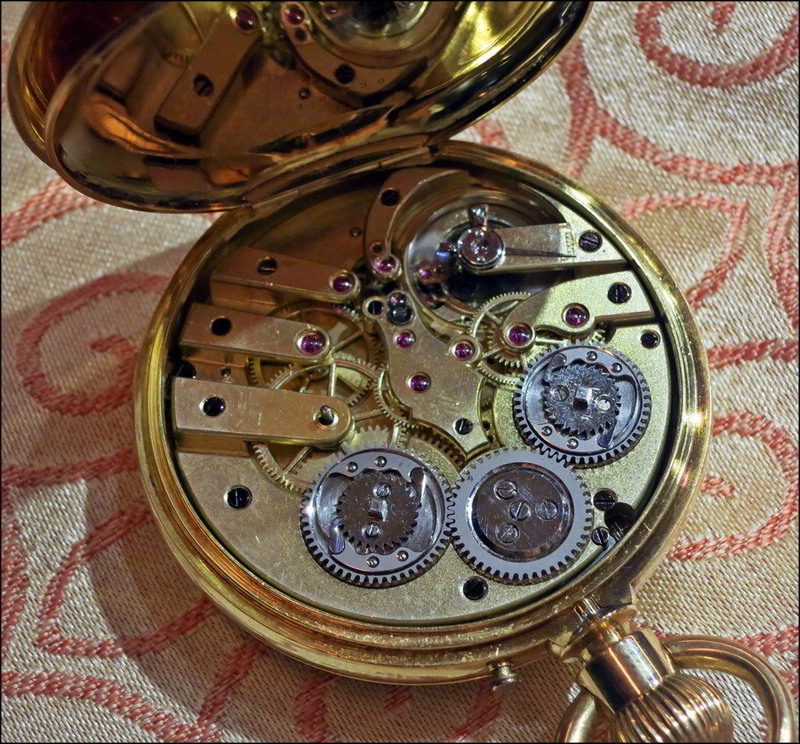 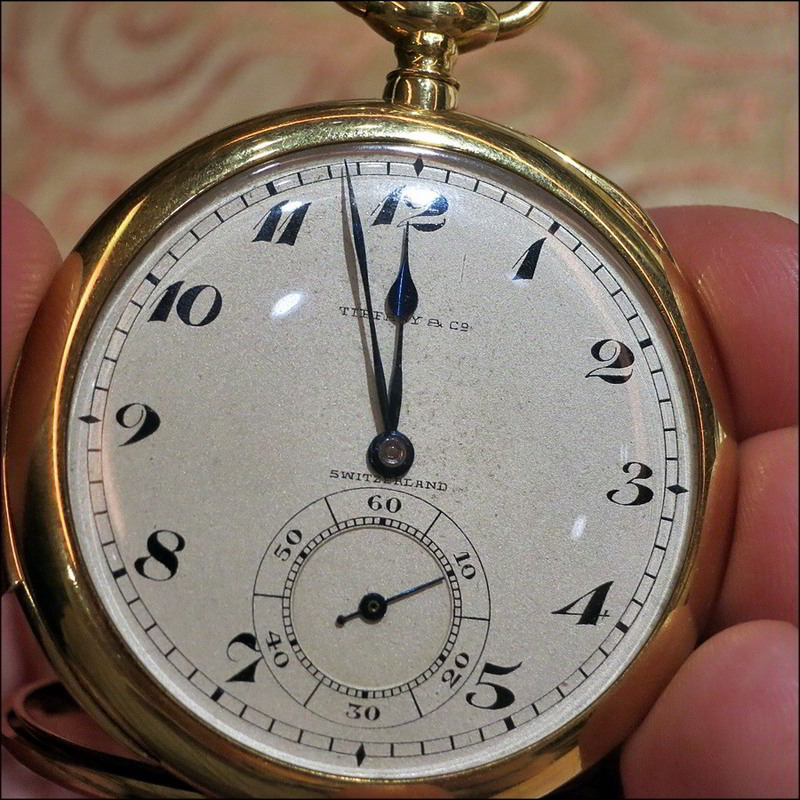 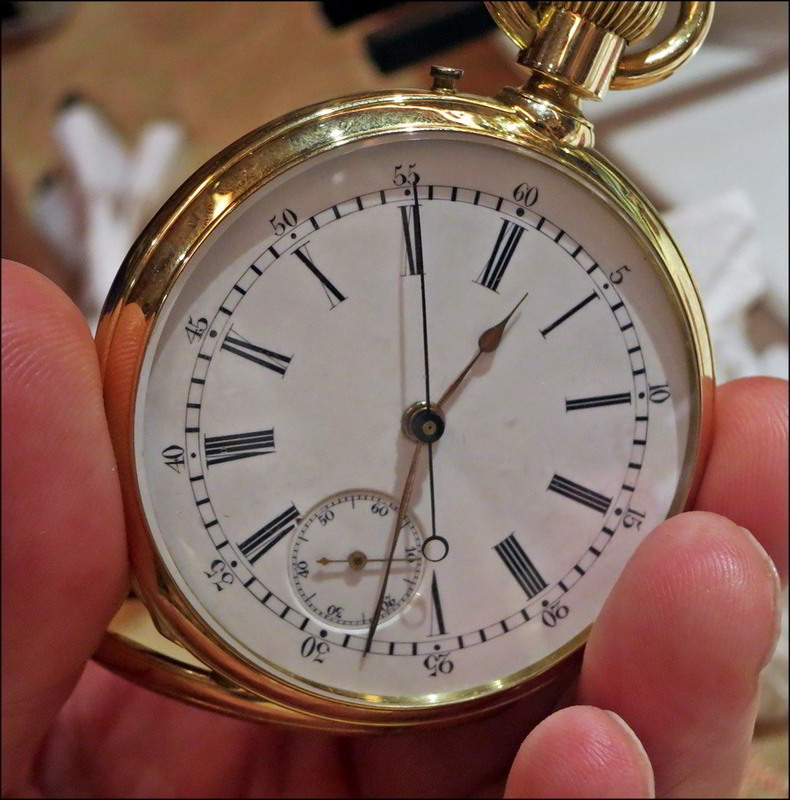 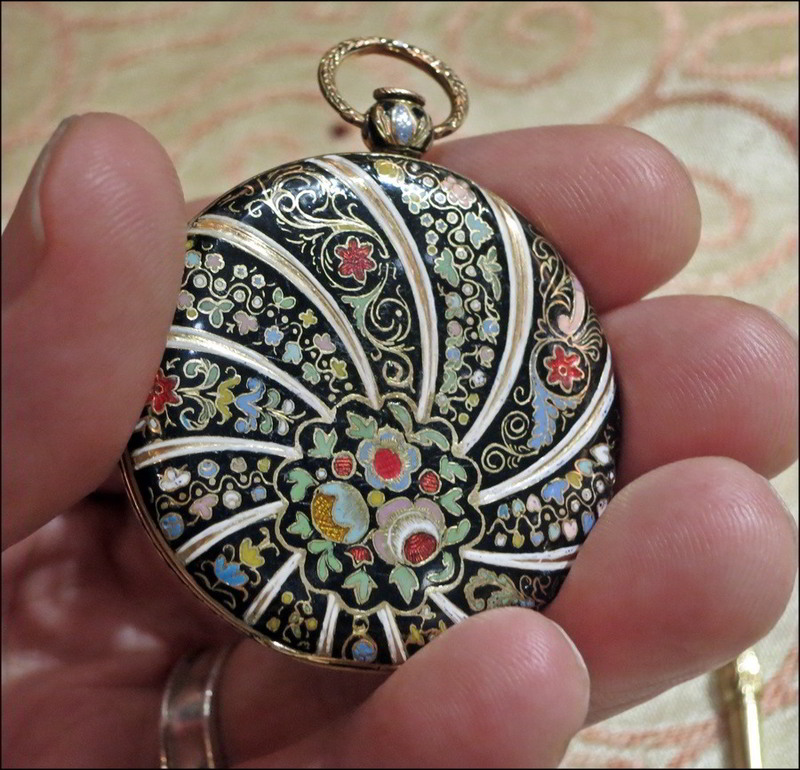 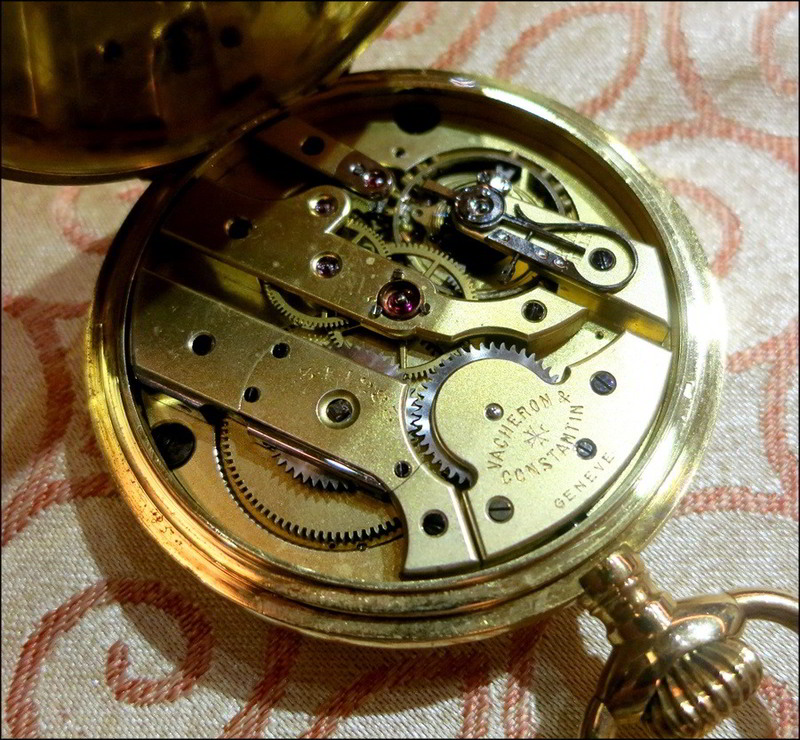 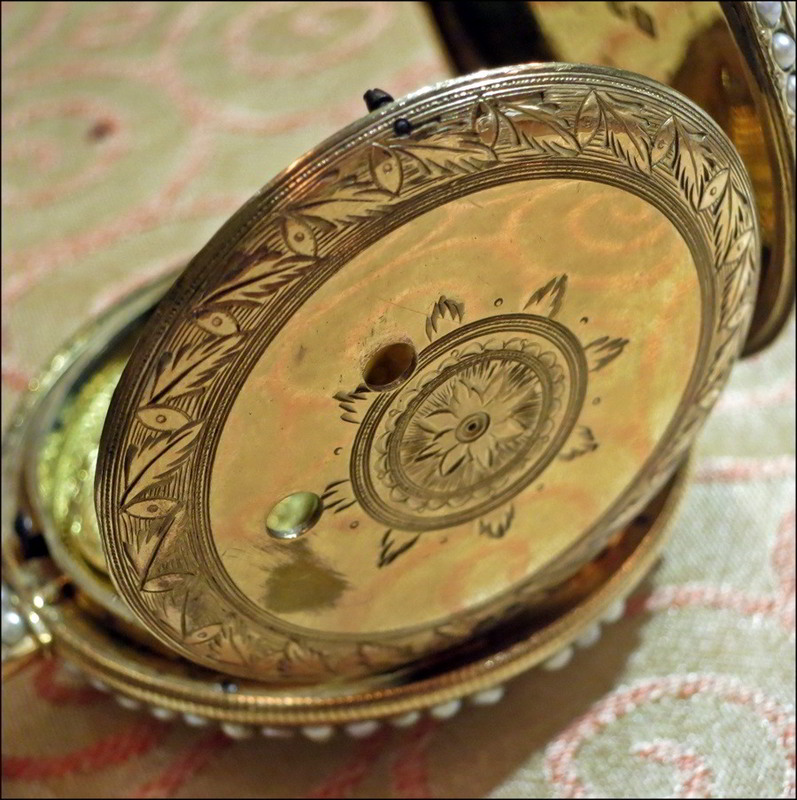 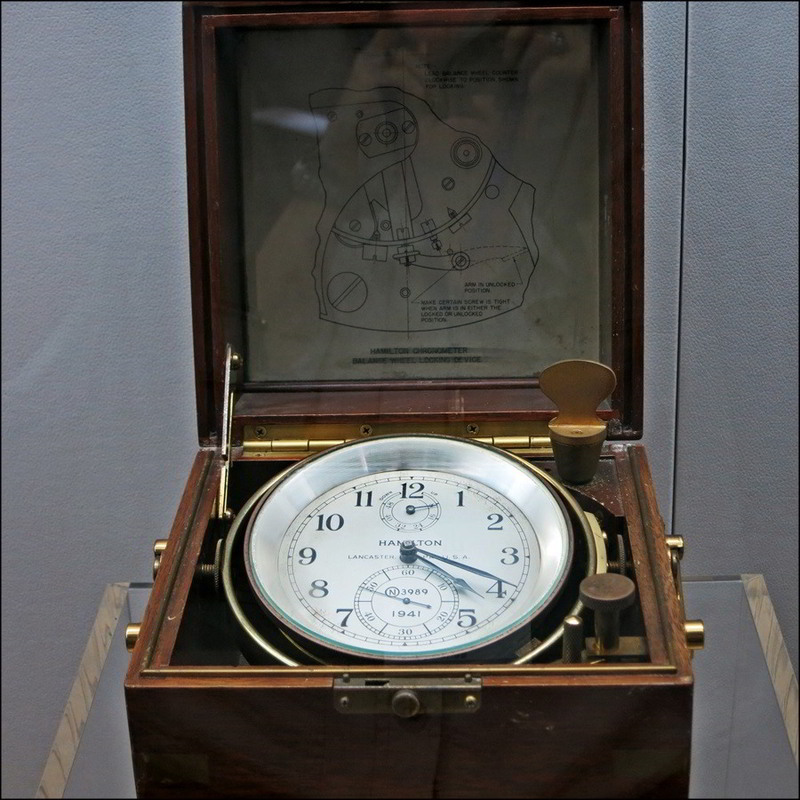 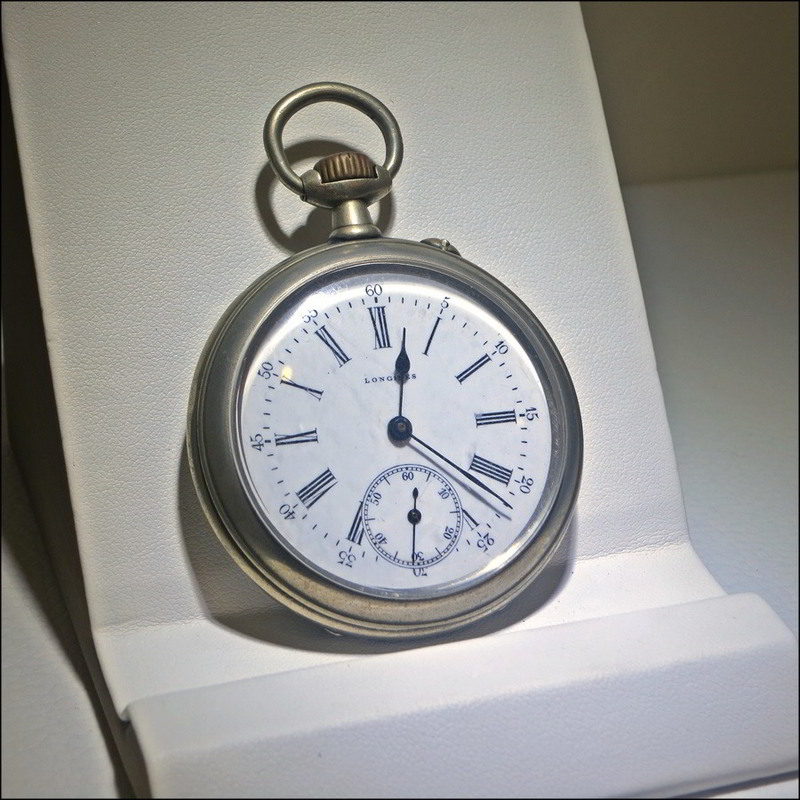 I was immpressed that the museum gave appreciative nods to horology around the world, very generously acknowledging western contributions, both historic and modern. 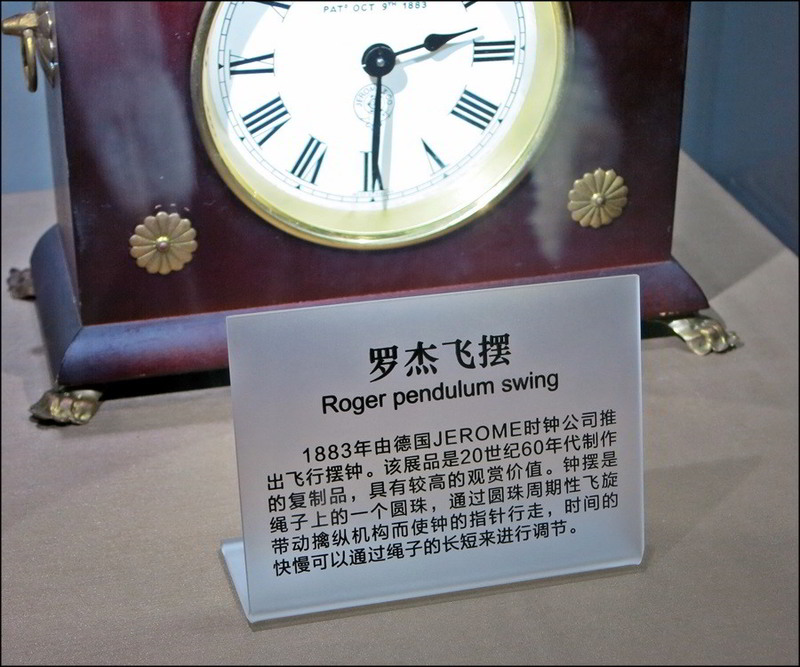 Following the museum tour, we were introduced to Ms. Tina Luo of the overseas department at Rossini (green utfit) and soon after allowed to view a not-normally-public section of the museum that houses some higher end pieces from around the world, and is also used as a showcase for Eterna/Porsche Design and Corum products. 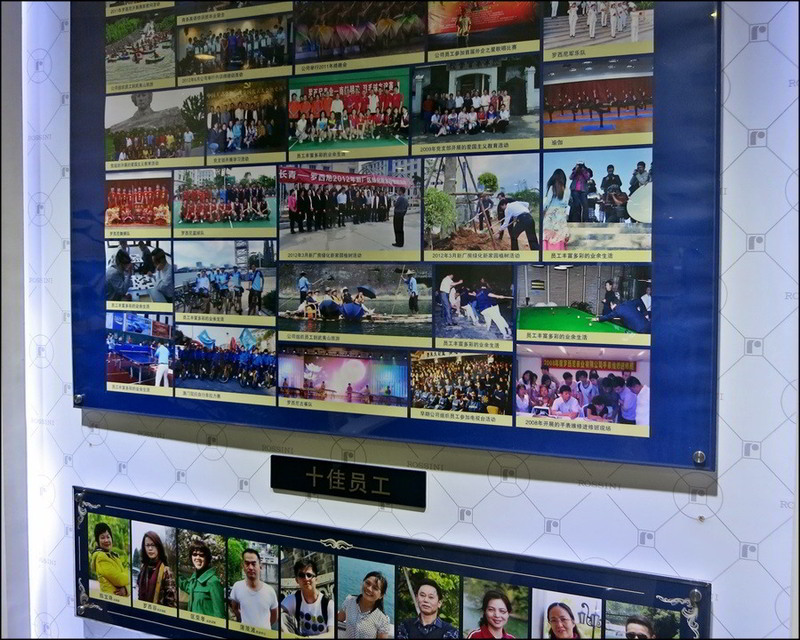 I strongly advise taking the time to read the posters. 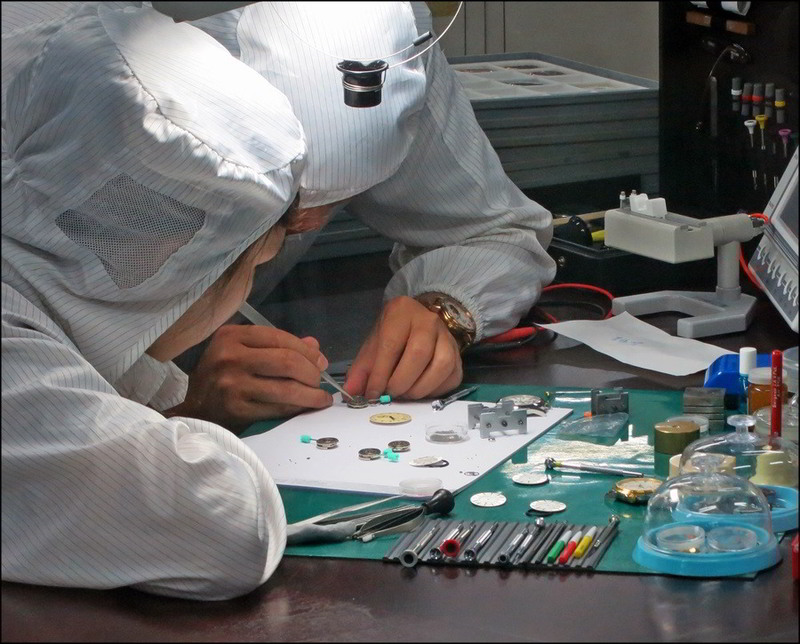 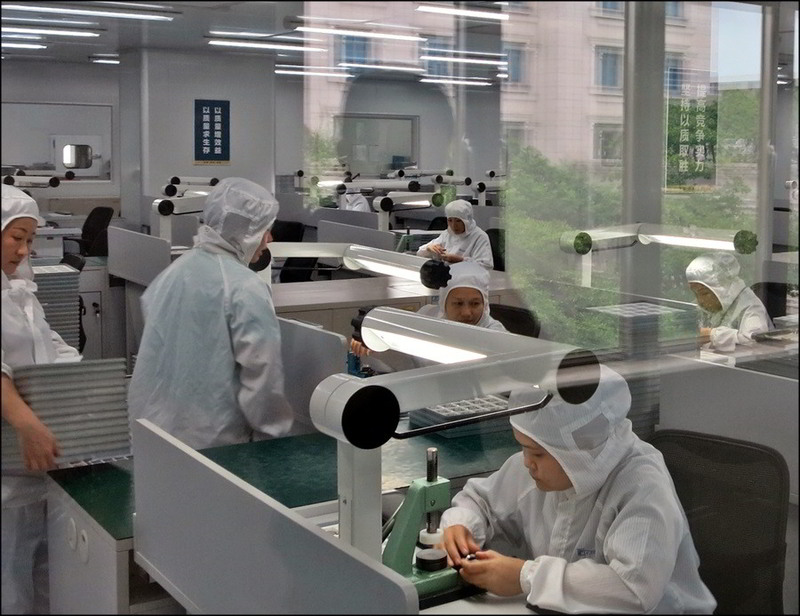 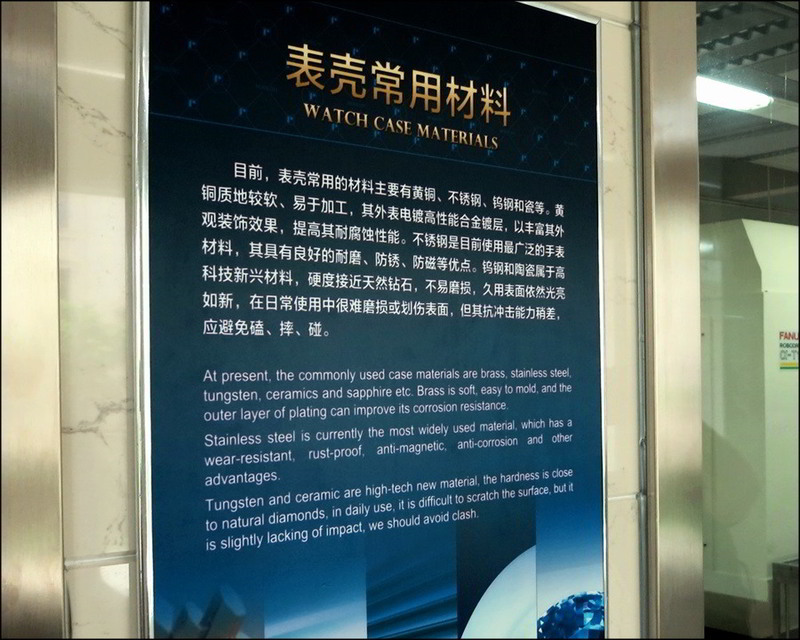 They're an education in watch production, and also very informative in understanding this company's current, and possibly future, place the world market. 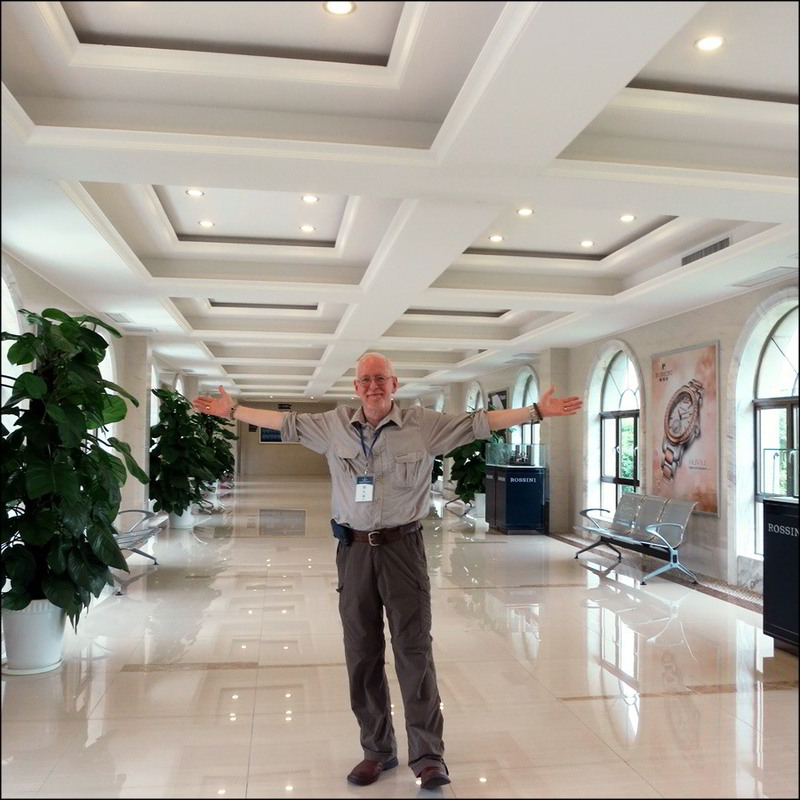 WUS member and Watchlead technical support: btgalen \"Galen\"
Next stop was the staff/housing/dining wing where we were invited for a qwonderful afternoon lunch. 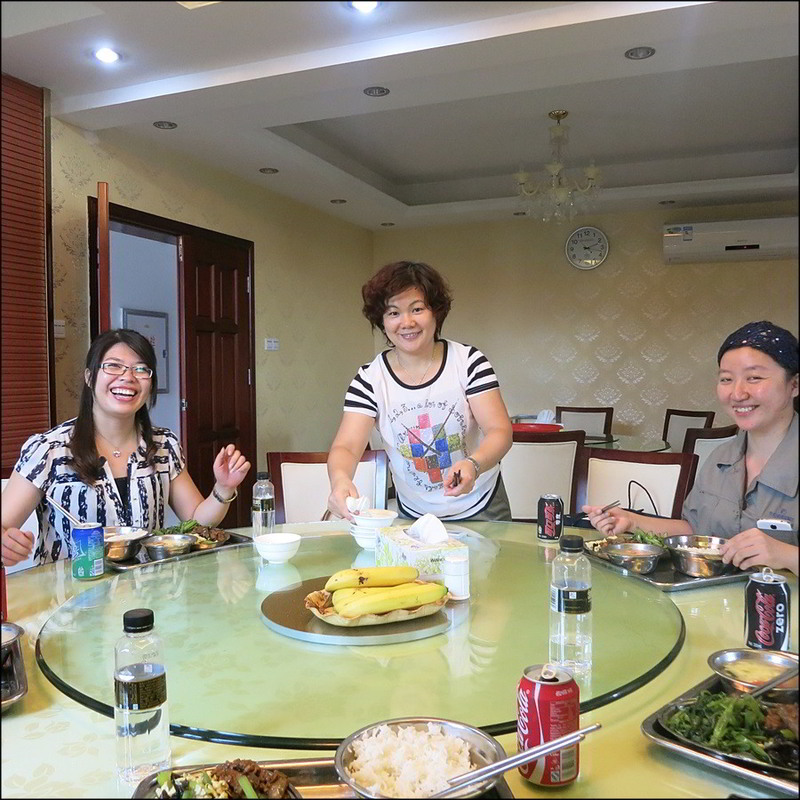 We were proudly informed that what we were eating was the normal daily lunch provided to staff, and that all of the vegetables were grown pesticide free by the company on adjacent company land. 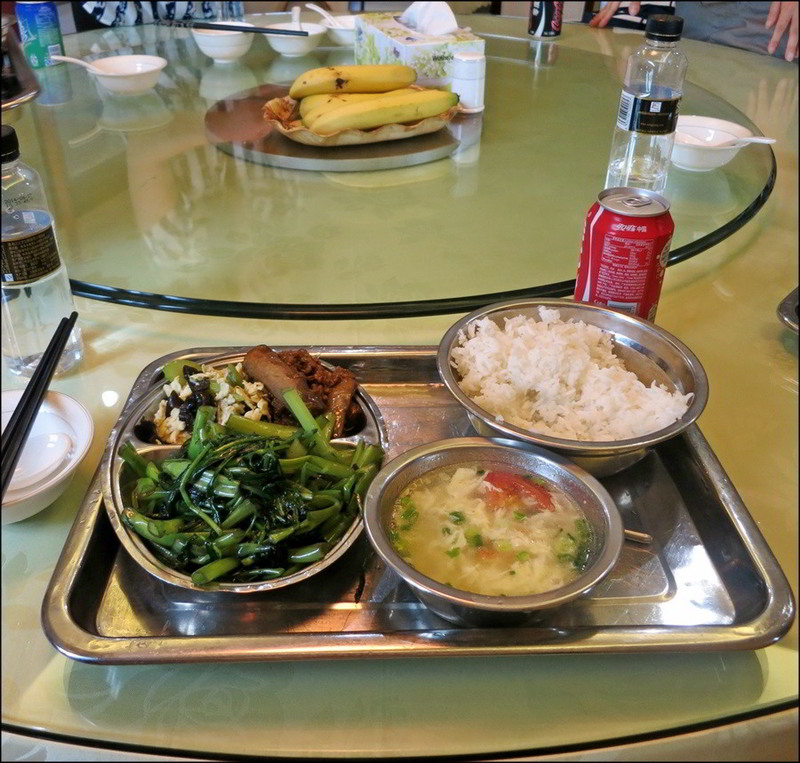 The food and the hospitality was awesome. 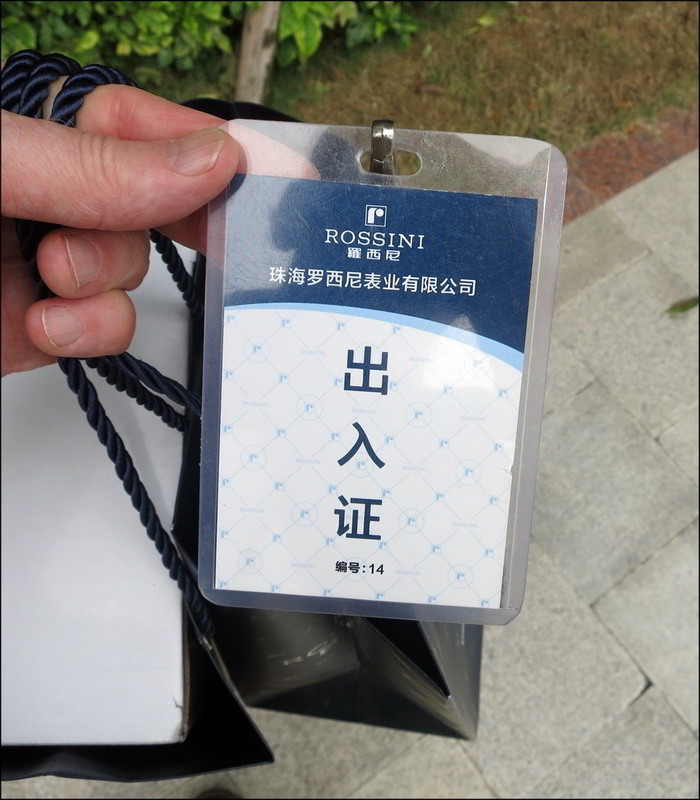 Can't say enough about how kindly we were treated at Rossini. 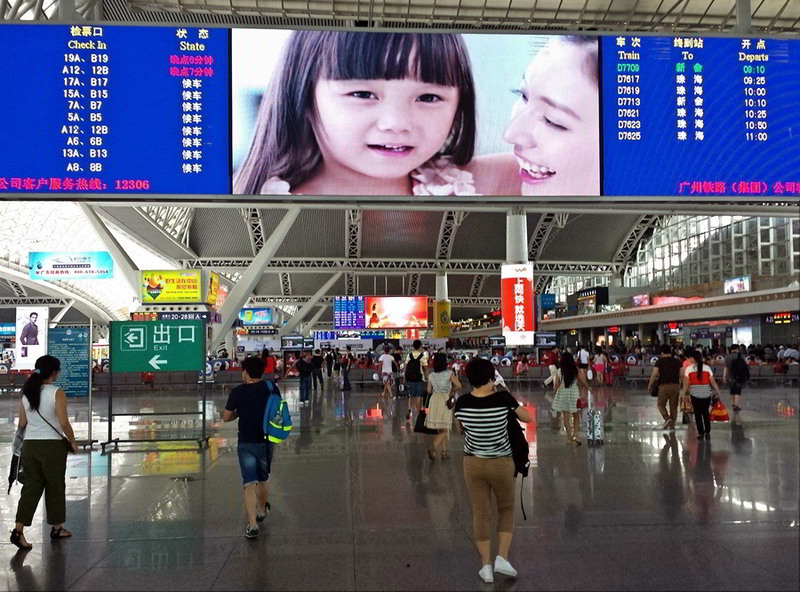 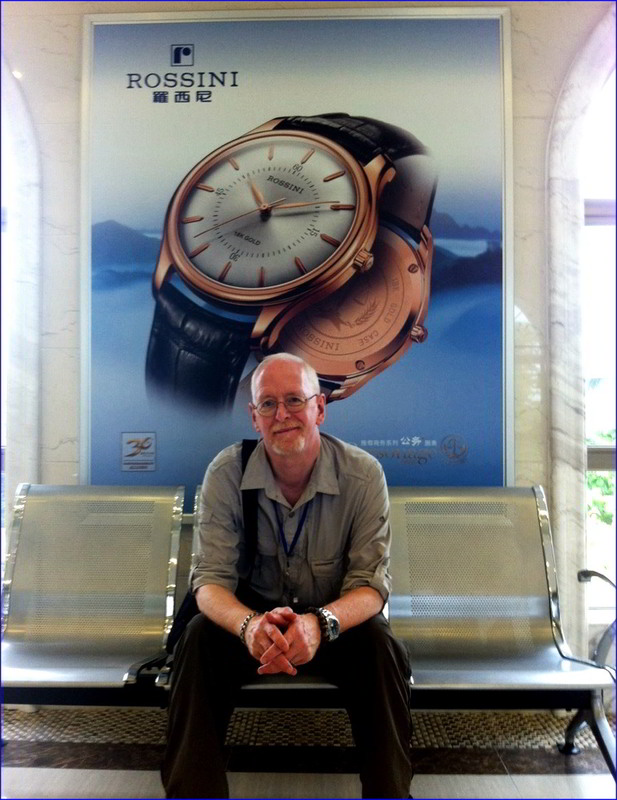 ...and we were fortunate to all see each other again in Shenzen. 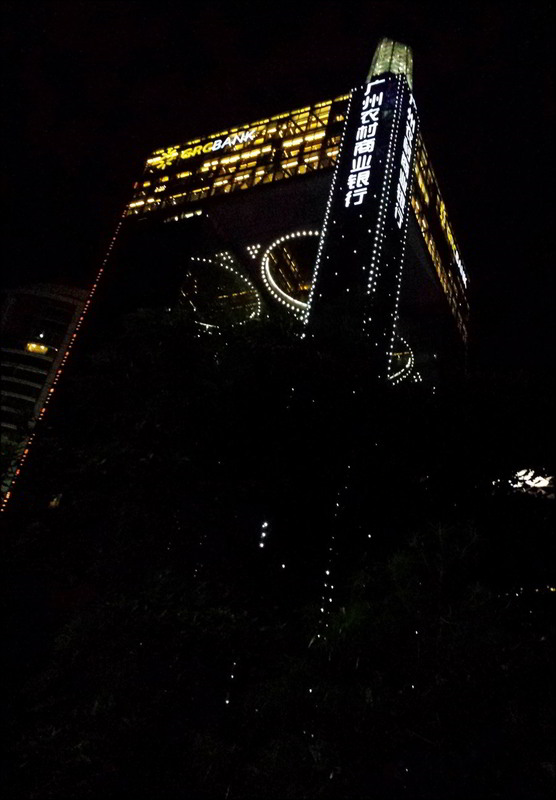 ...where we took a cab to dinner. 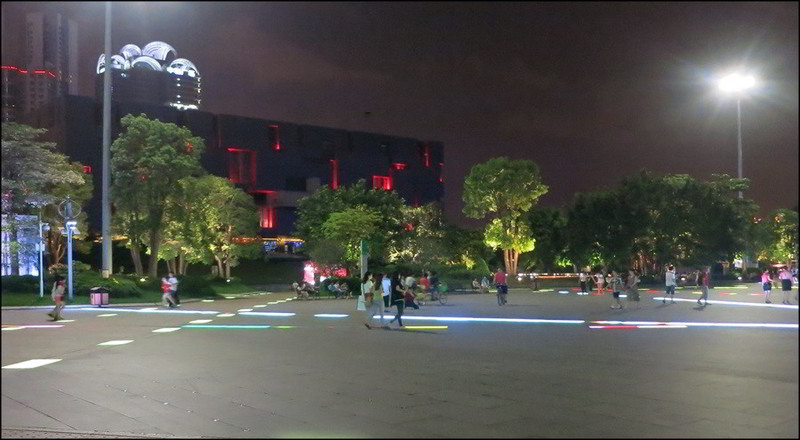 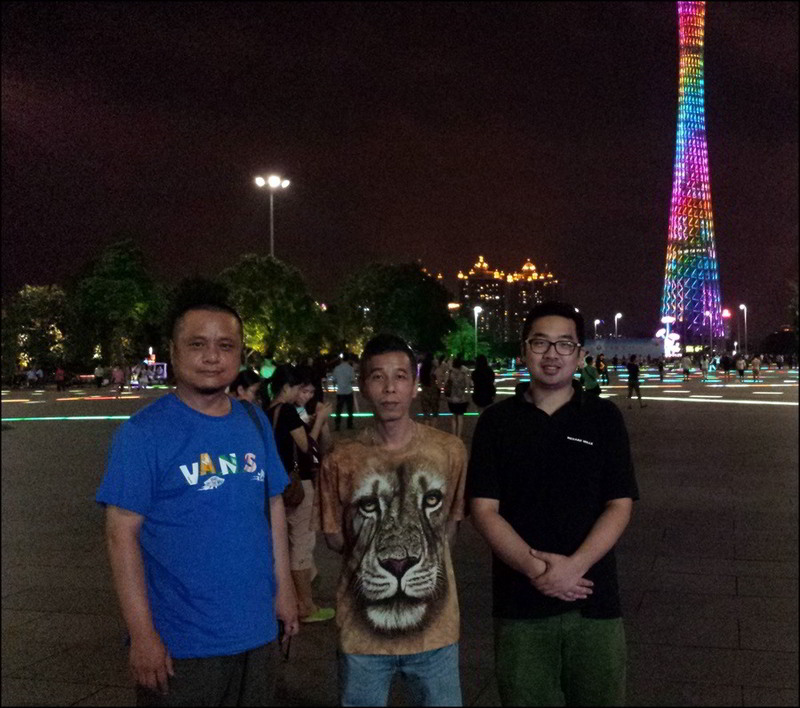 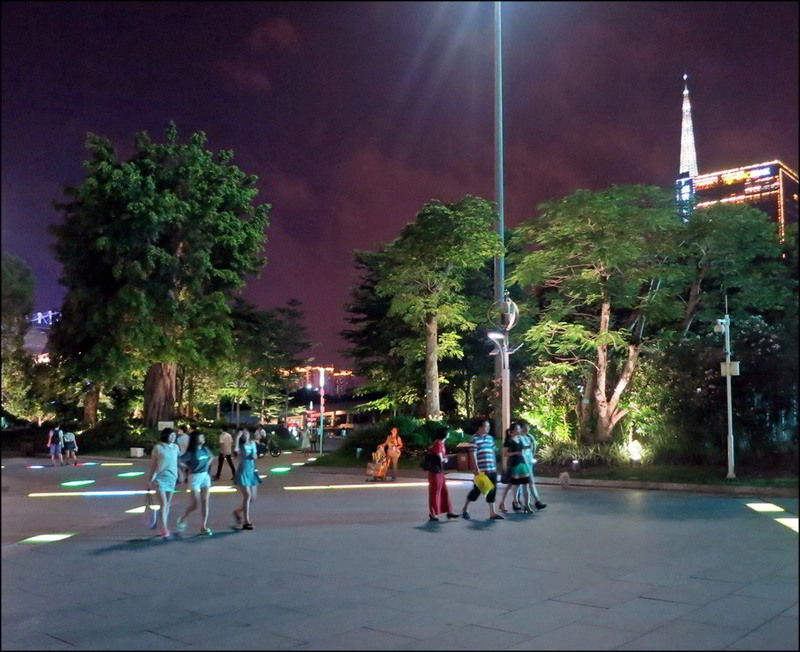 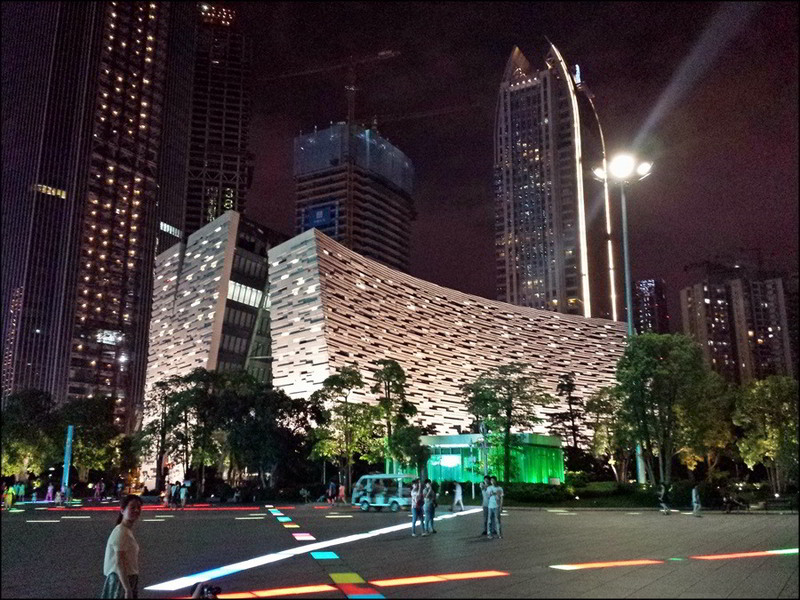 Mr. Ha was generous enough to tke us to a downtown open court area that was beautifully lit...and home to, among other architectural delicacies, the Canton Tower, stands at 600m, 1,969 ft tall. 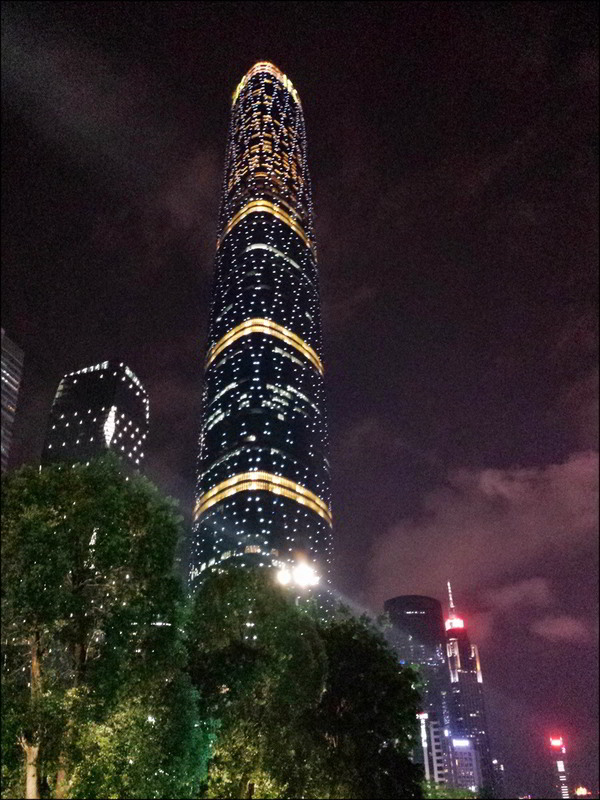 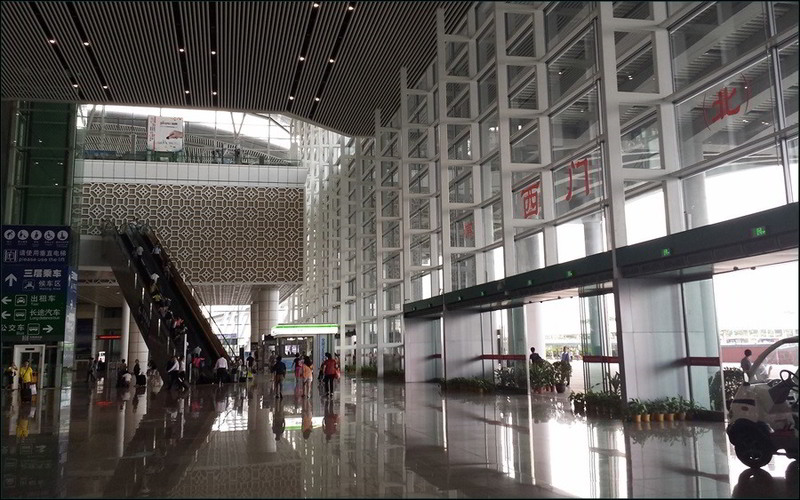 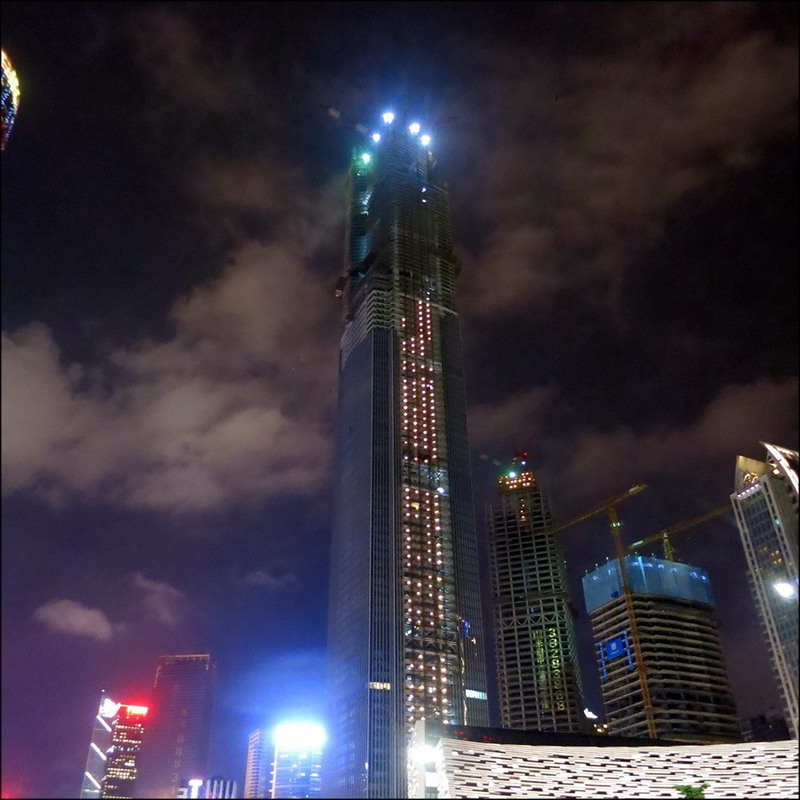 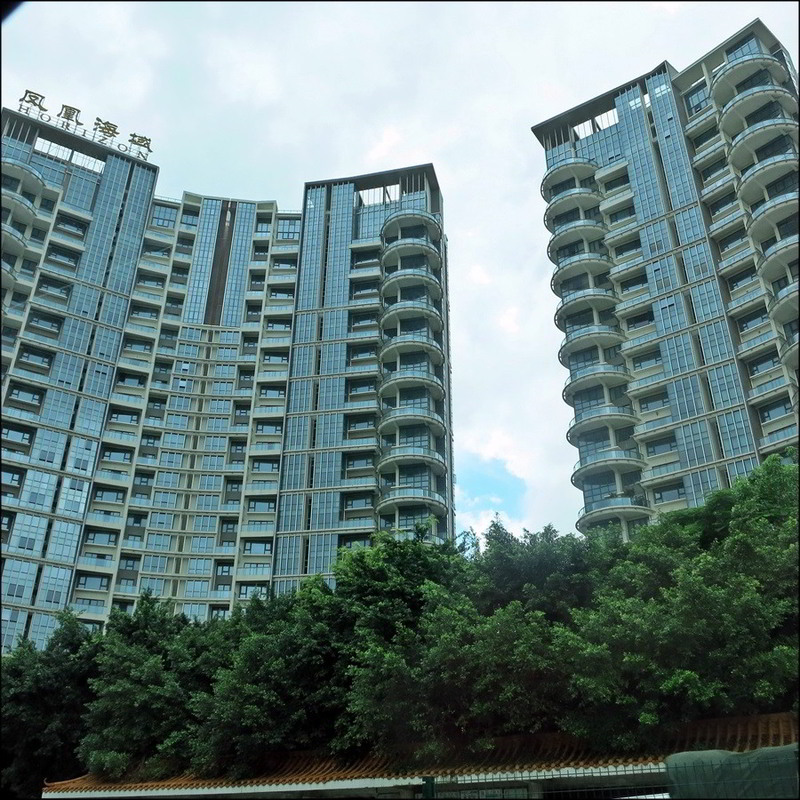 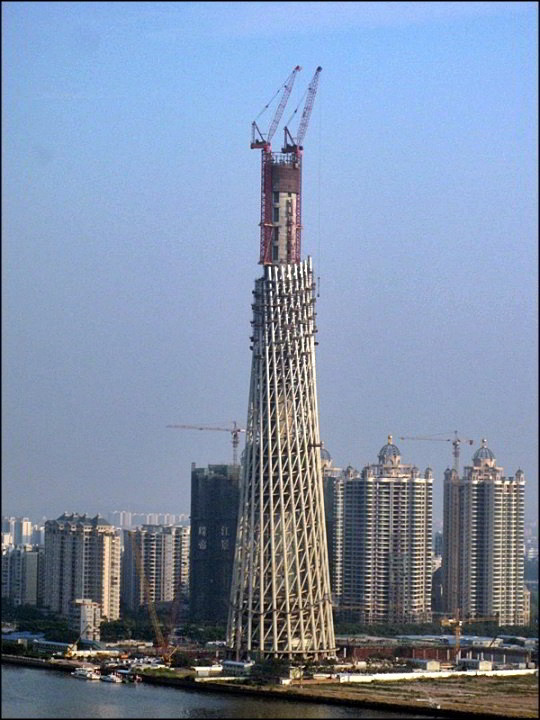 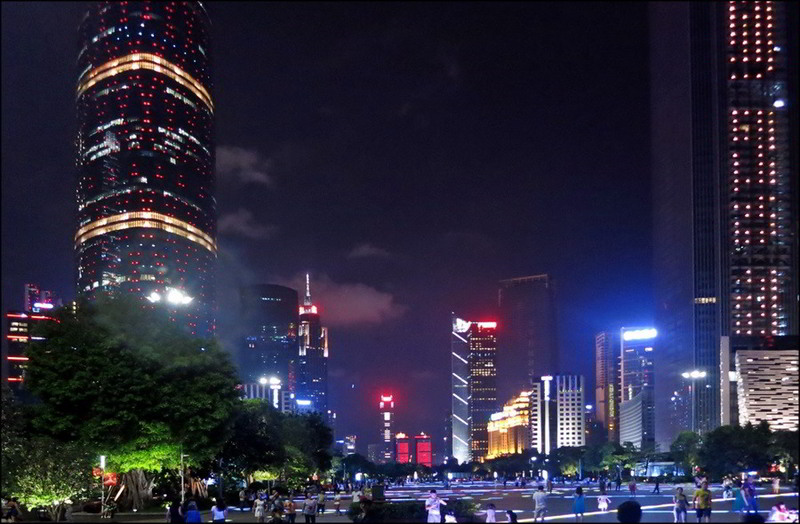 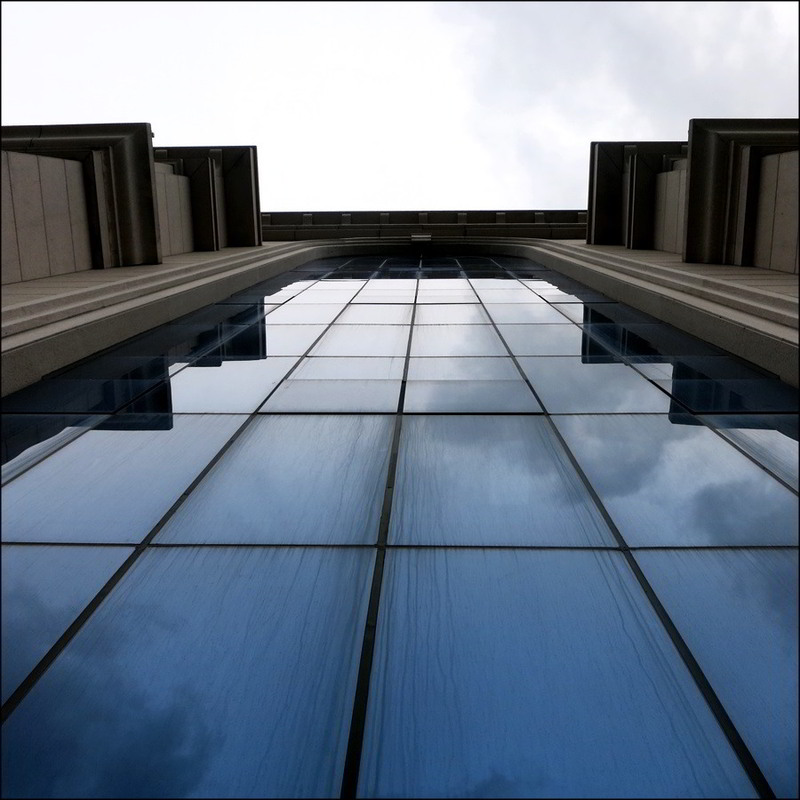 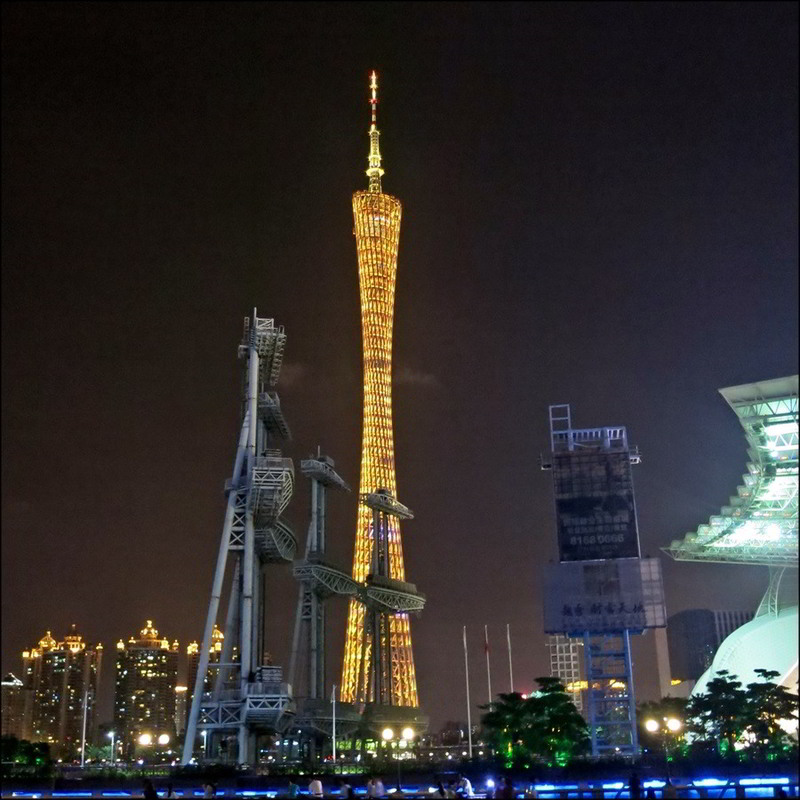 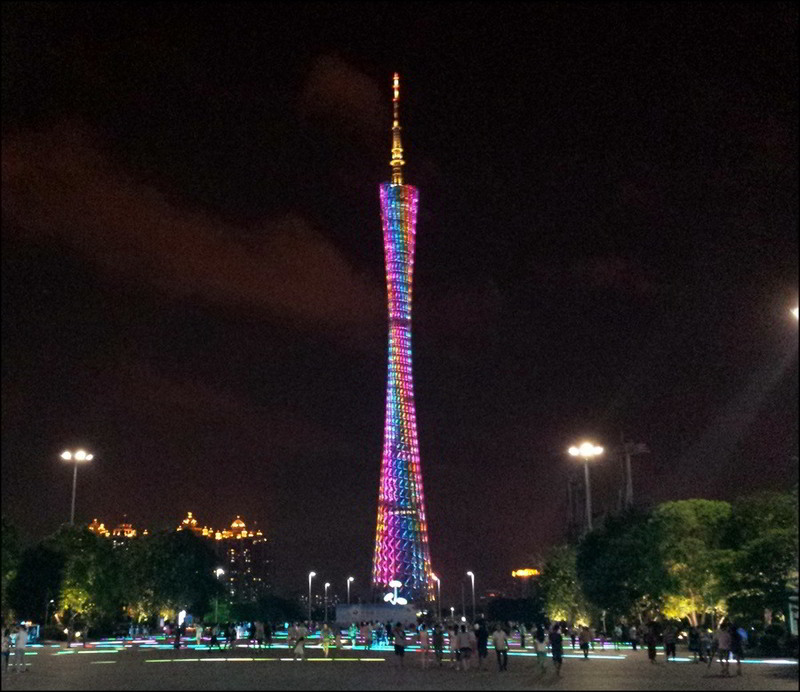 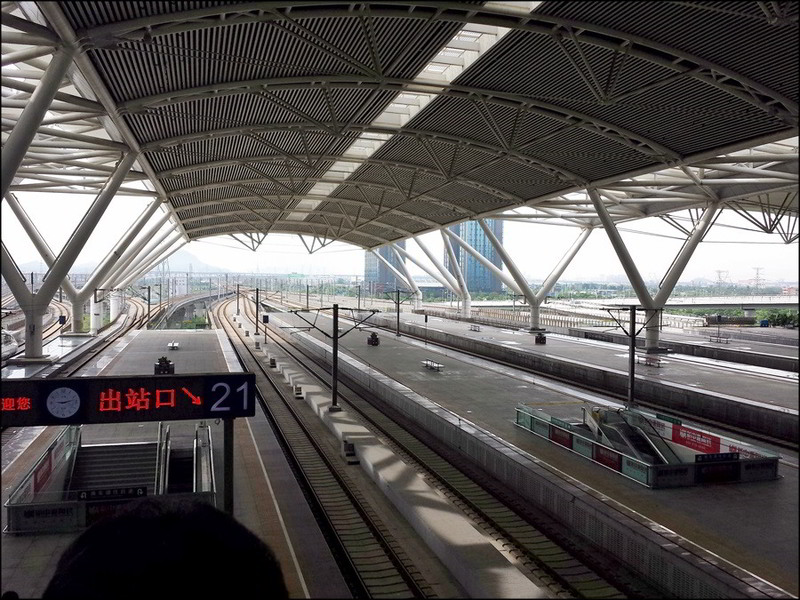 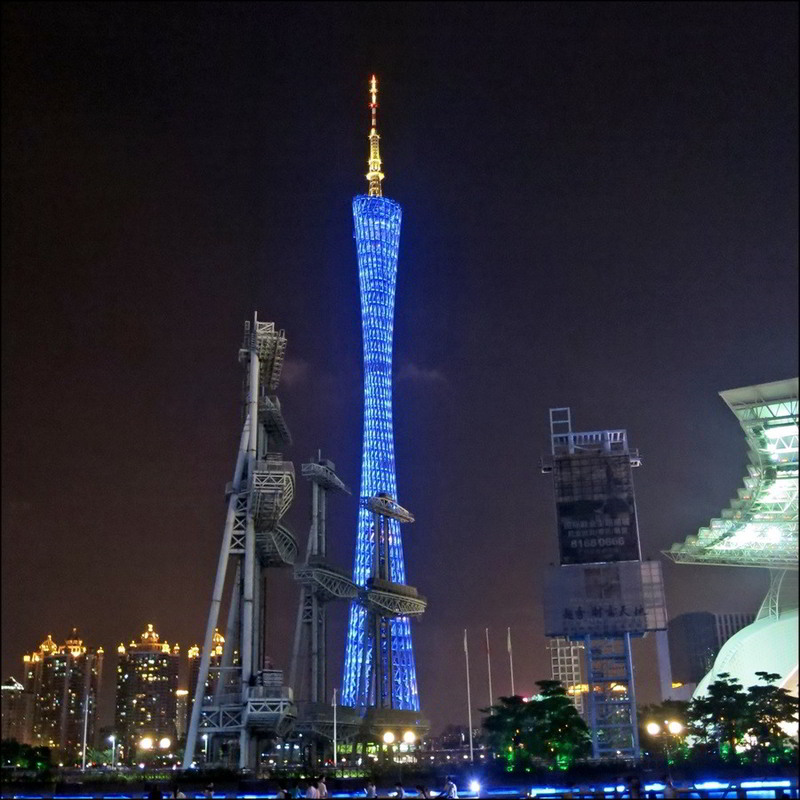 It is the tallest structure in China and the fifth-tallest freestanding structure in the world. 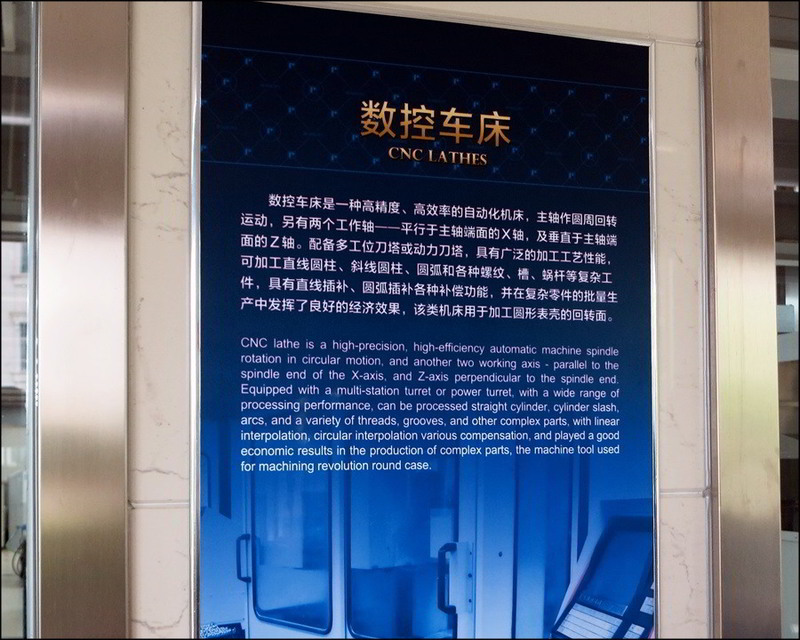 So, I'm going to end this with a pointer to another article on another website: Europa Star, where they talk about Eterna (owned by Rossini/China Haidian), and where it's headed now, under this ownership. 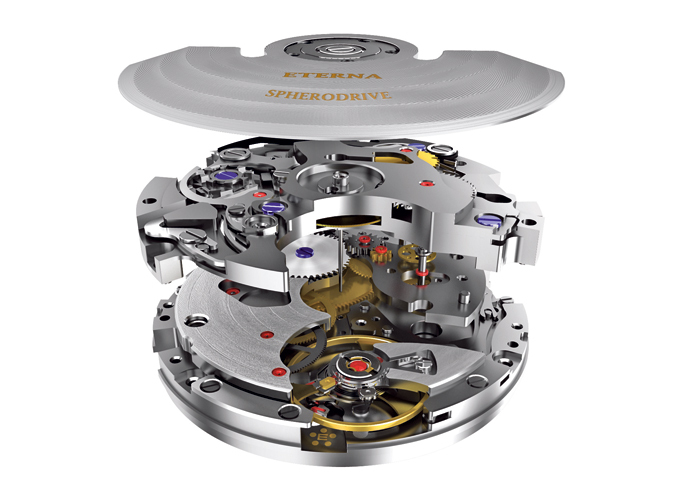 The “modular” Calibre 39 is a movement with 88 different configurations, all integrated. 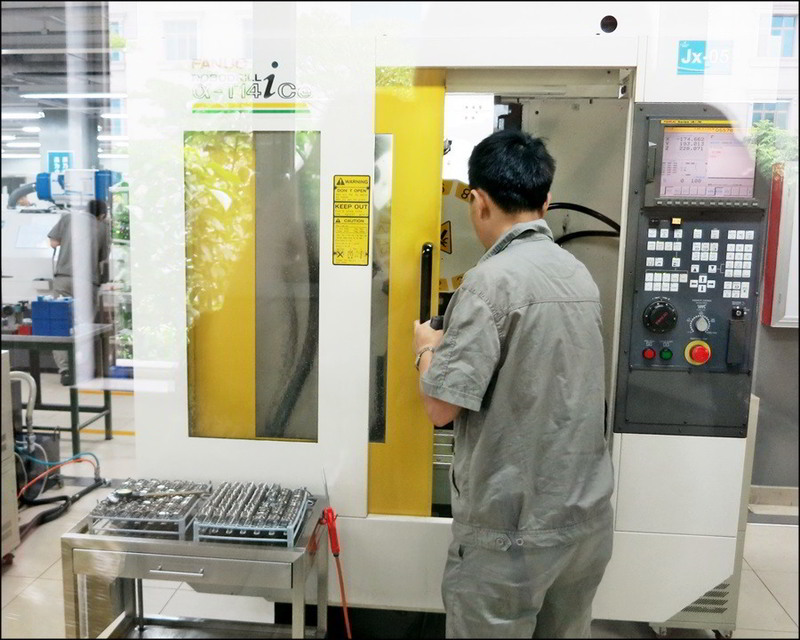 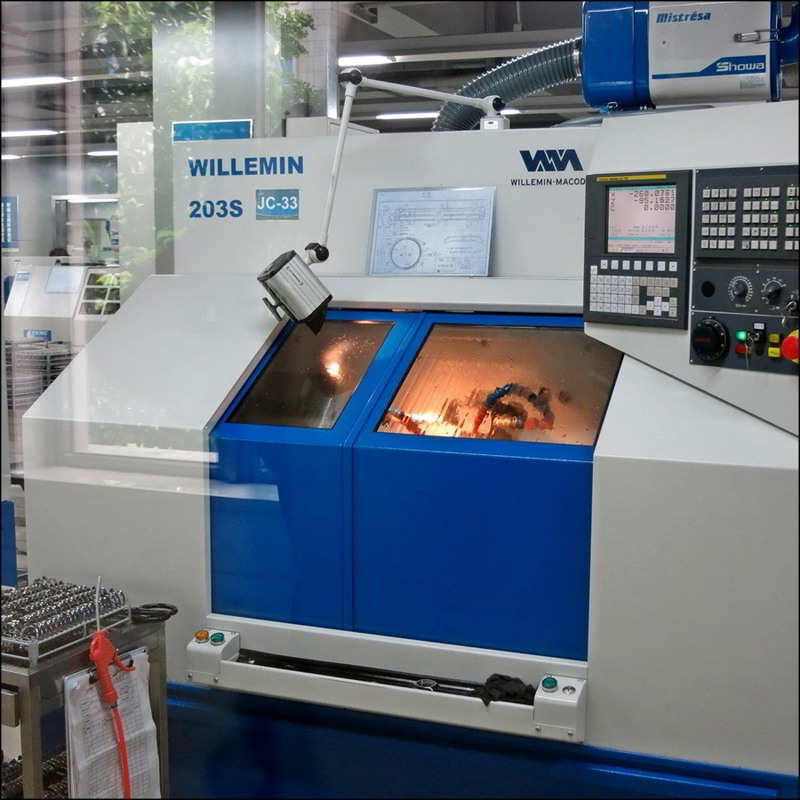 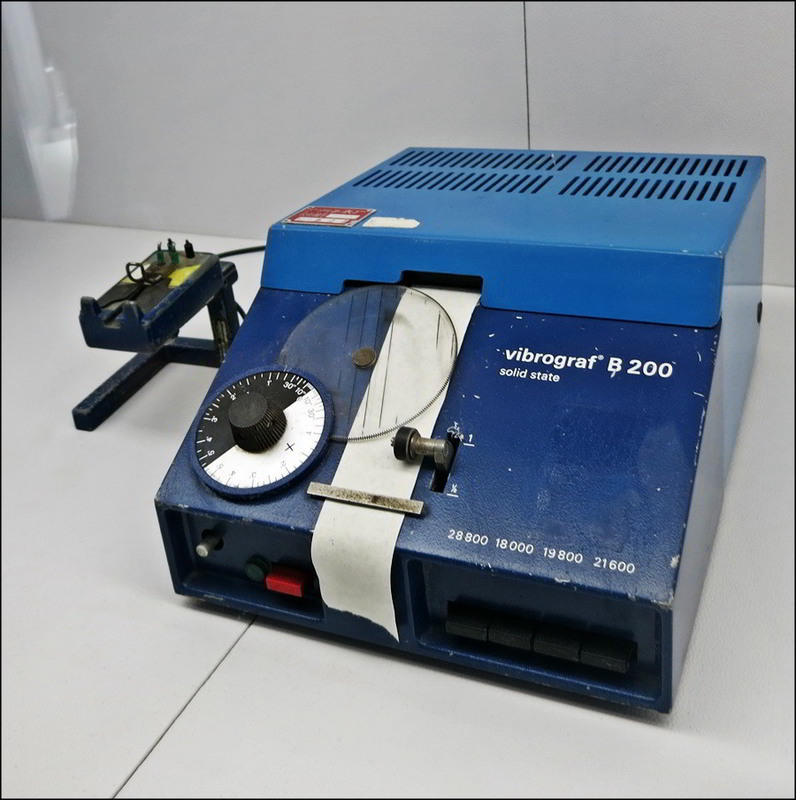 There are two basic possibilities to start with: self-winding, with central hours and minutes and small seconds, or manual winding. 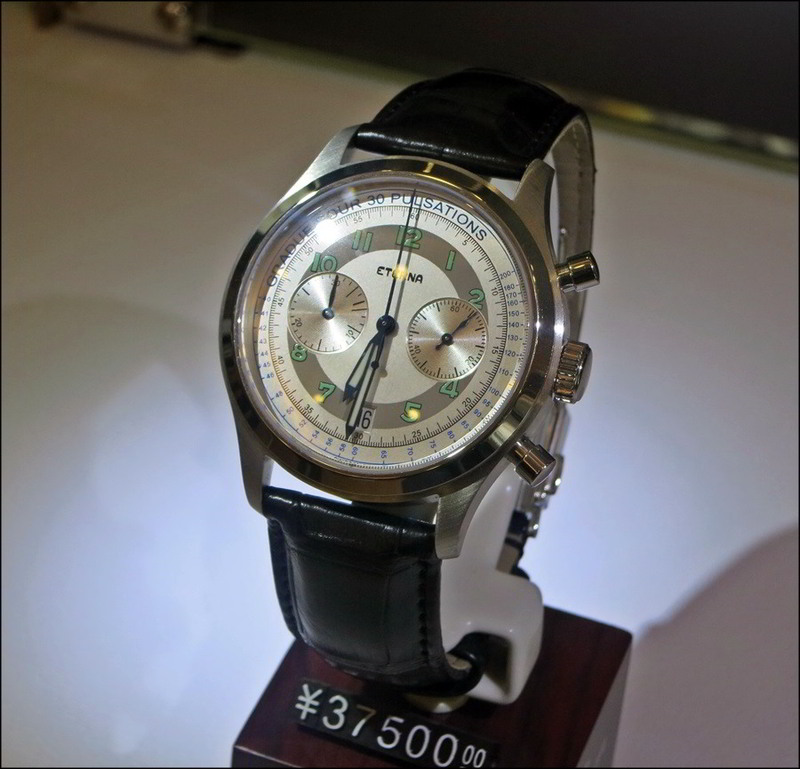 From there, you can include a power reserve, GMT, moon phase etc. 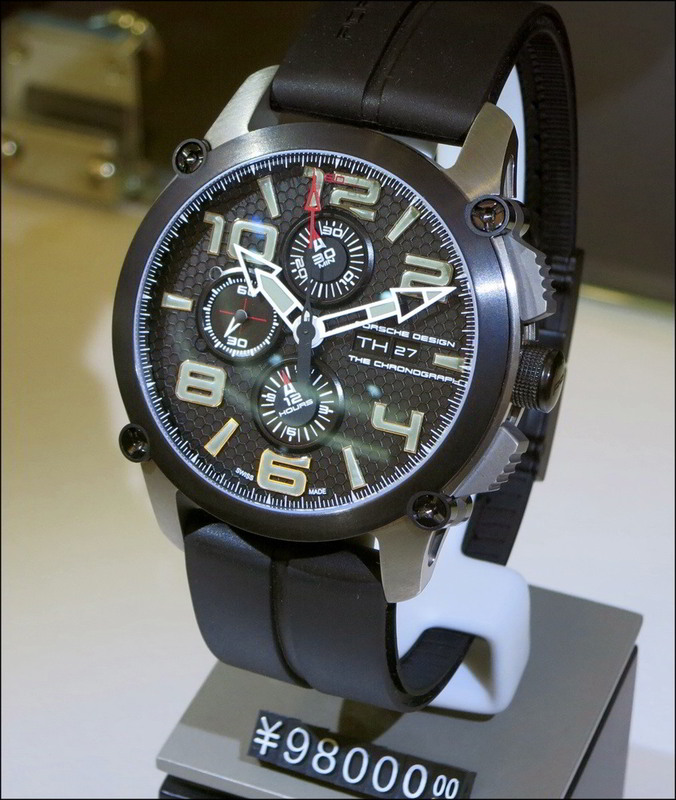 right up to an integrated column-wheel chronograph, with date, small seconds, hour, minute, instantaneous co-axial chronograph, flyback, 68 hours power reserve! 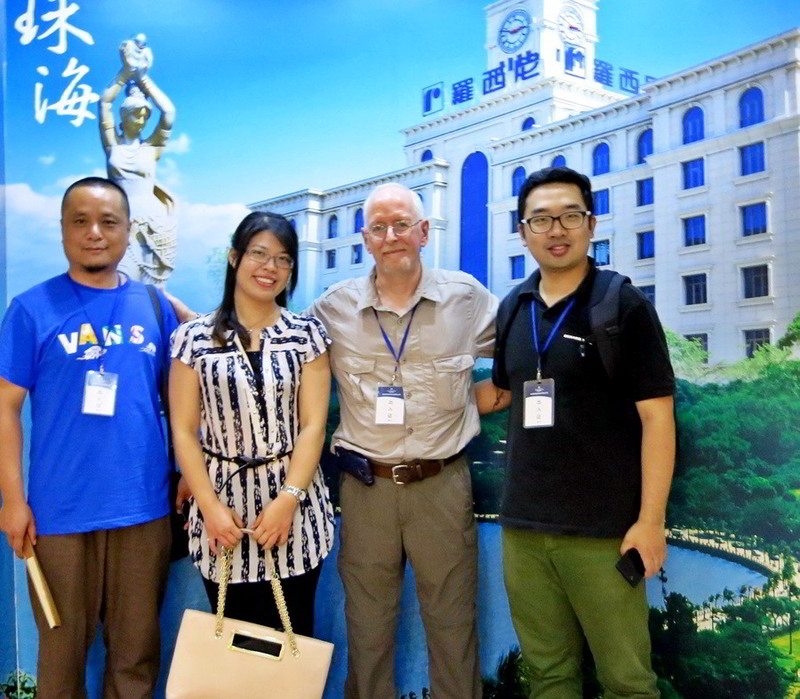 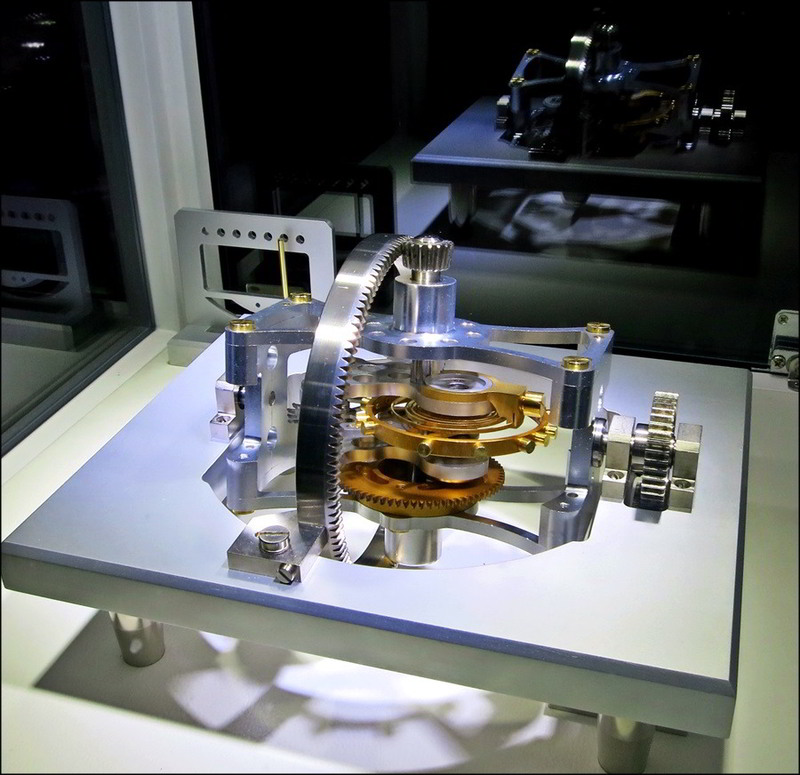 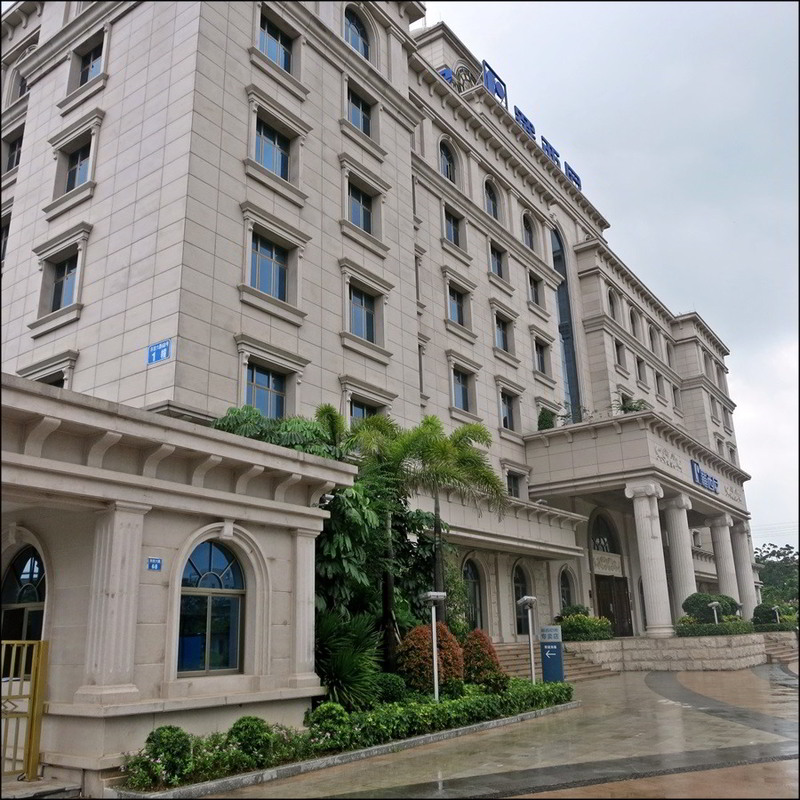 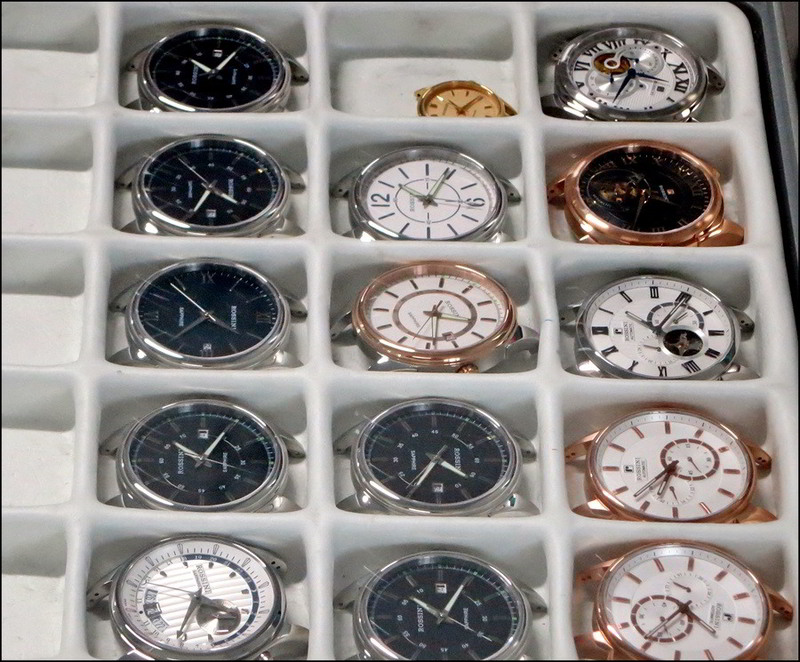 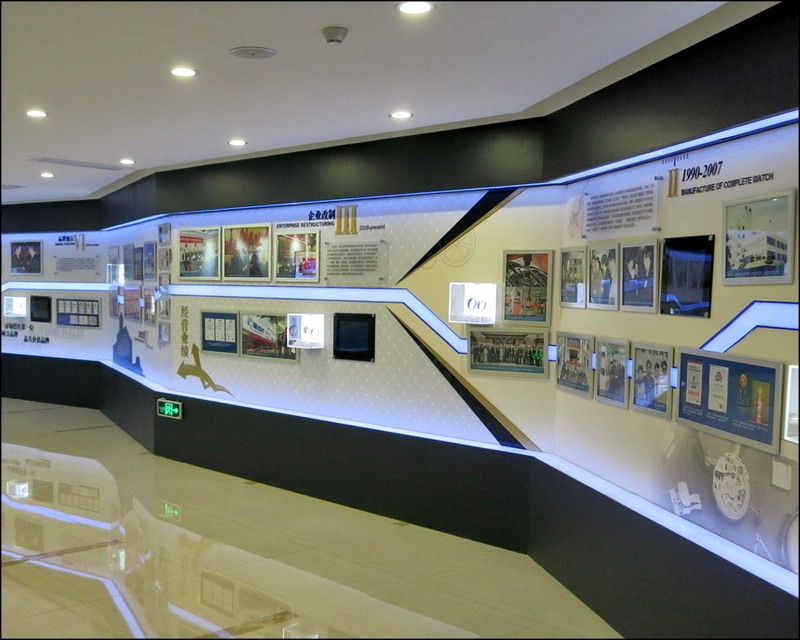 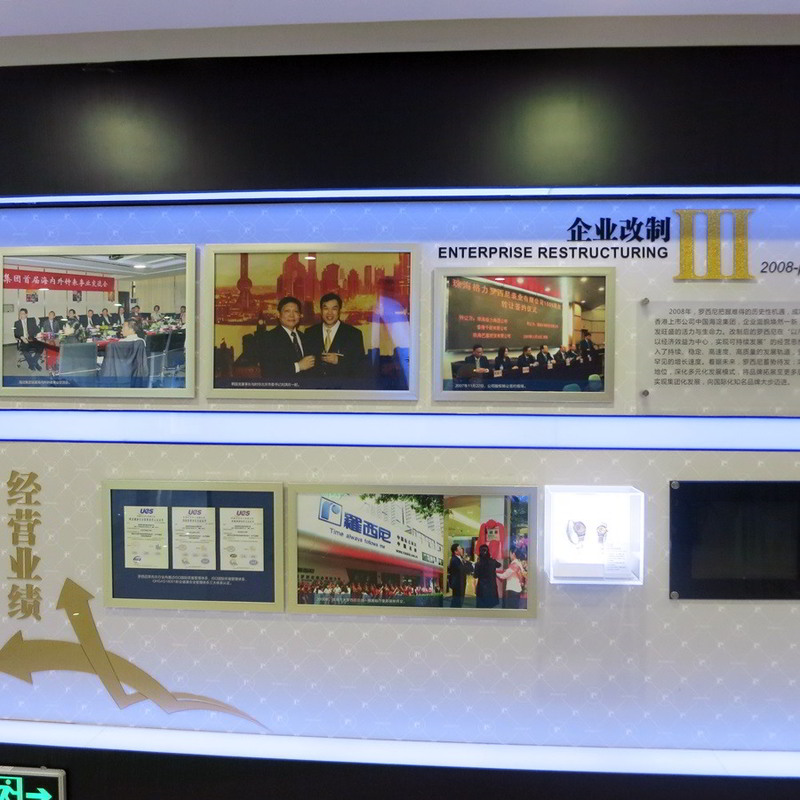 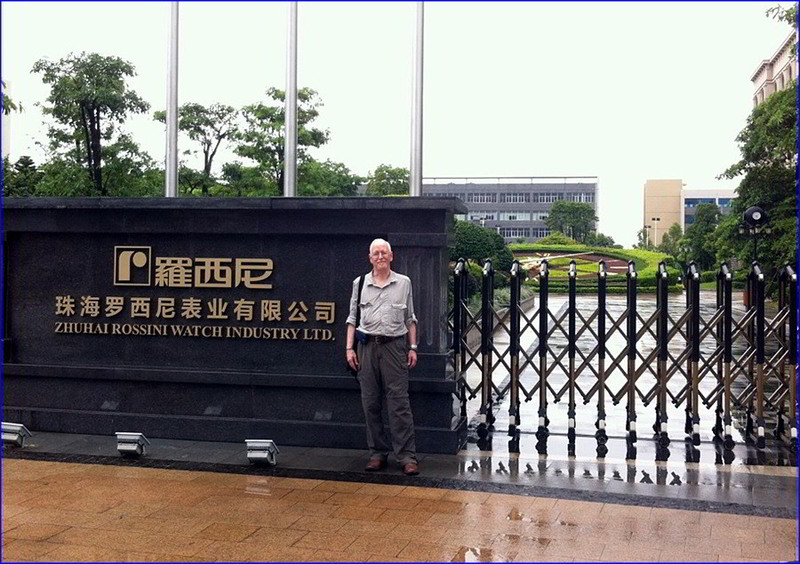 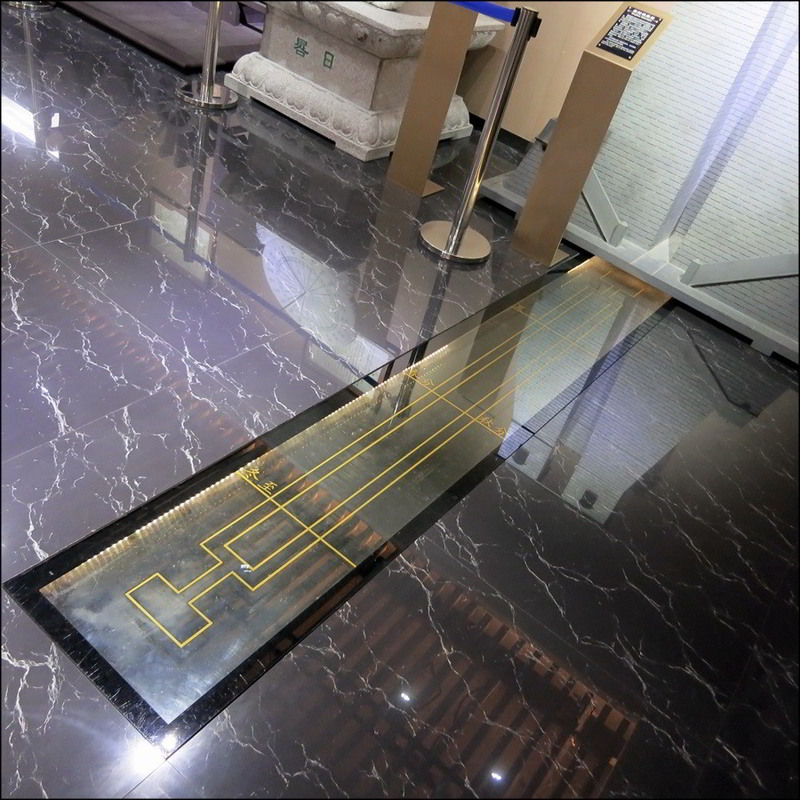 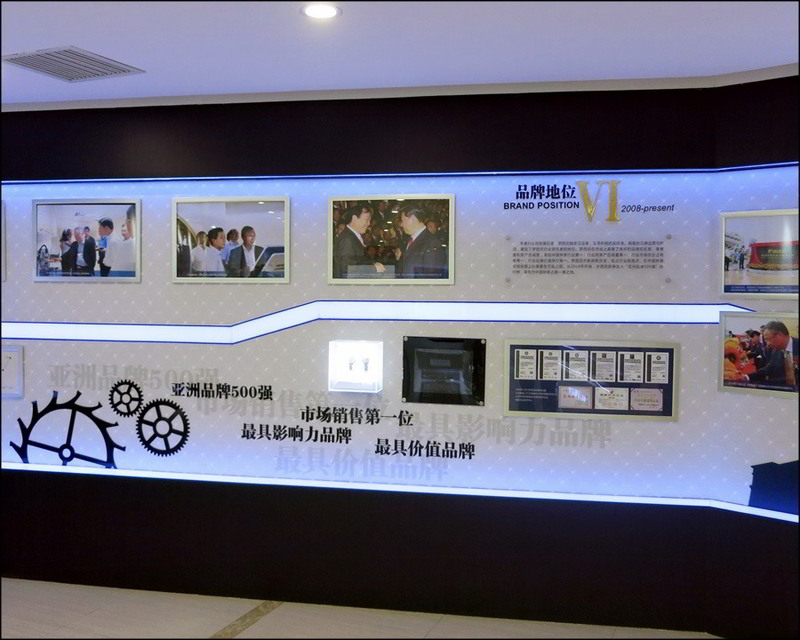 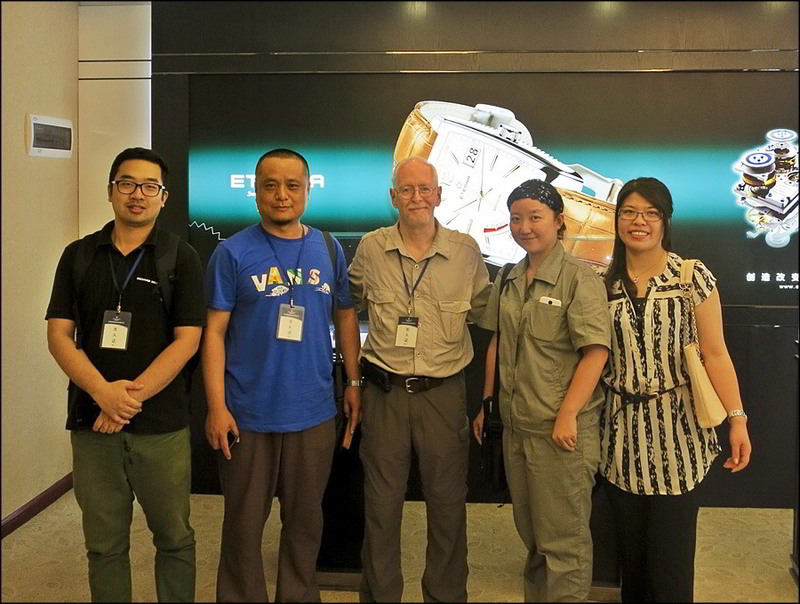 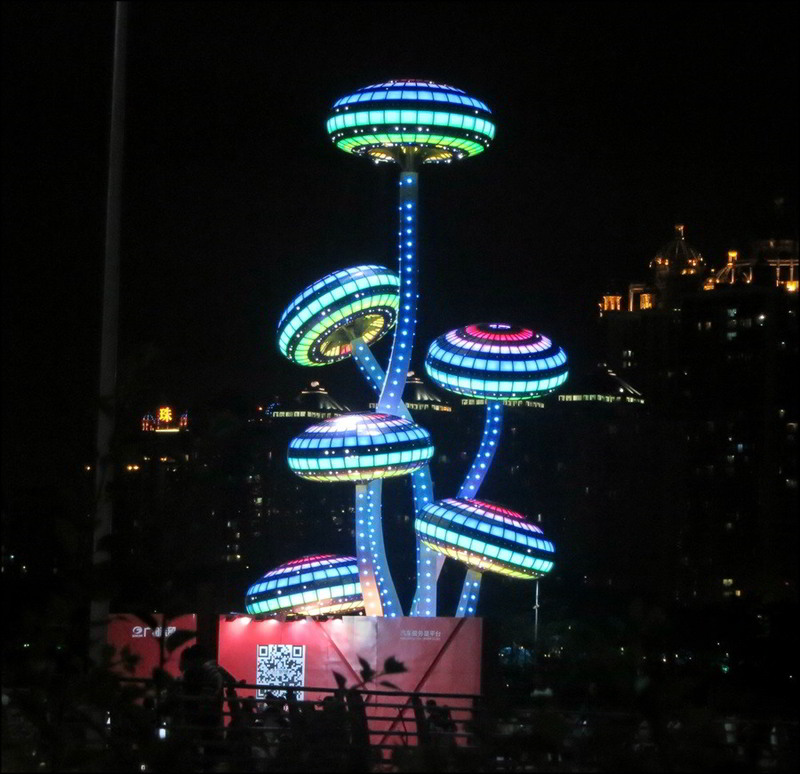 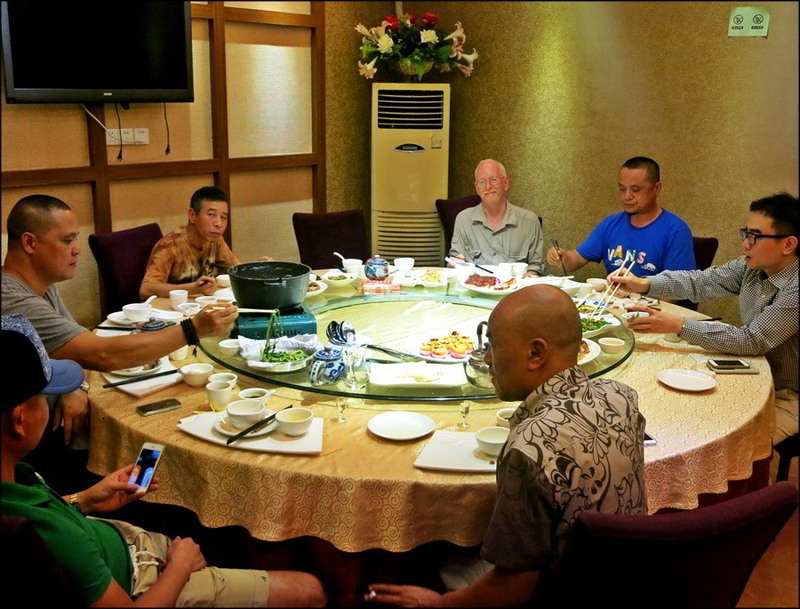 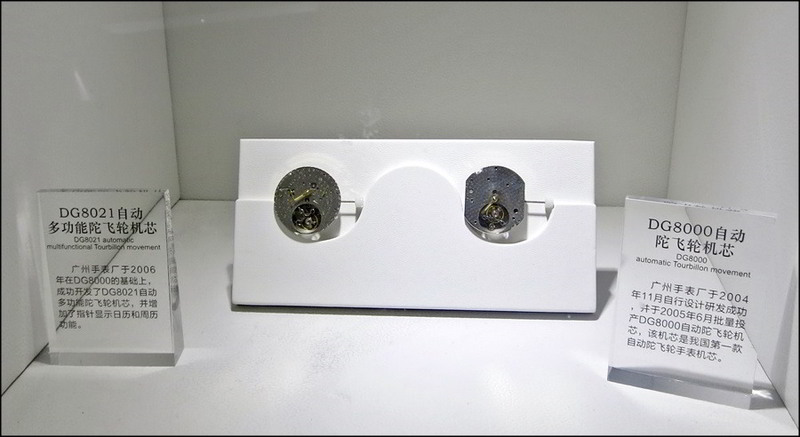 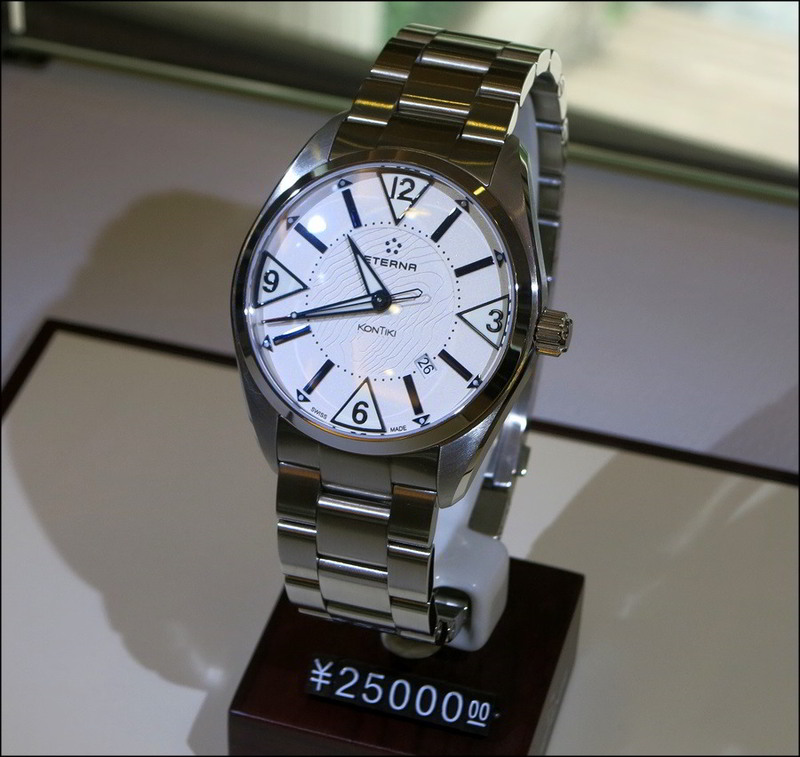 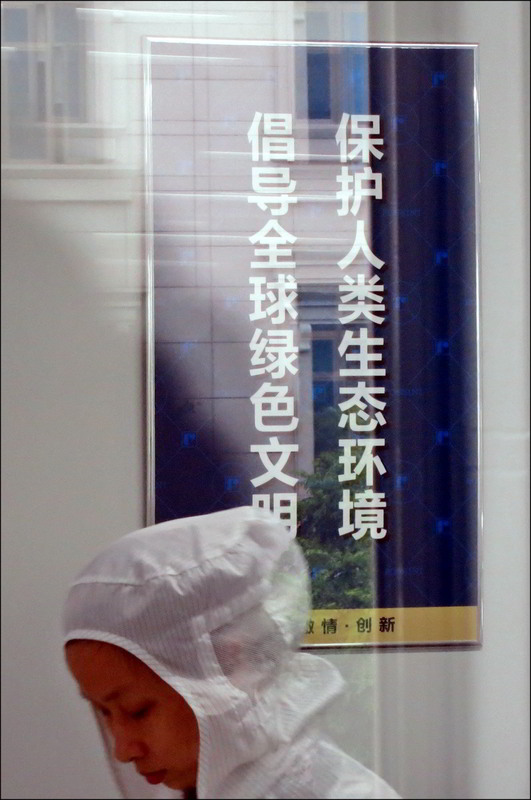 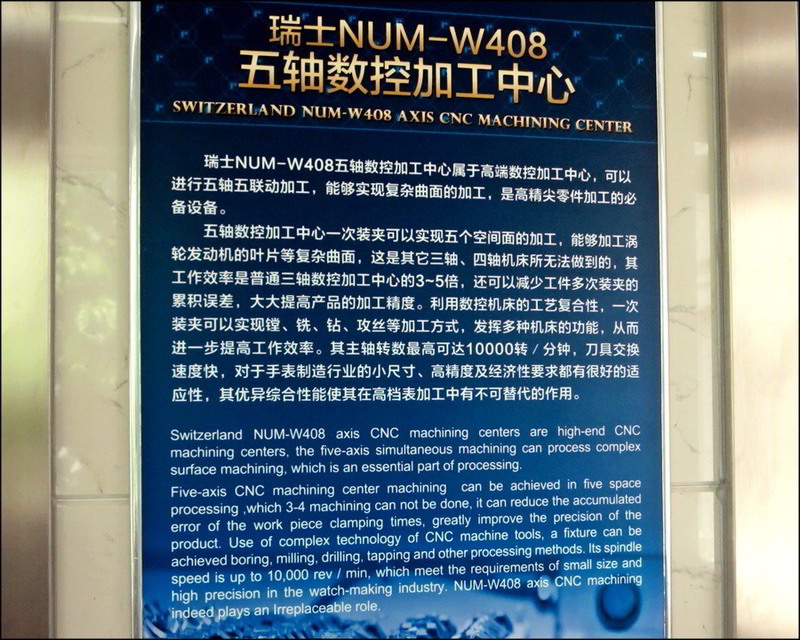 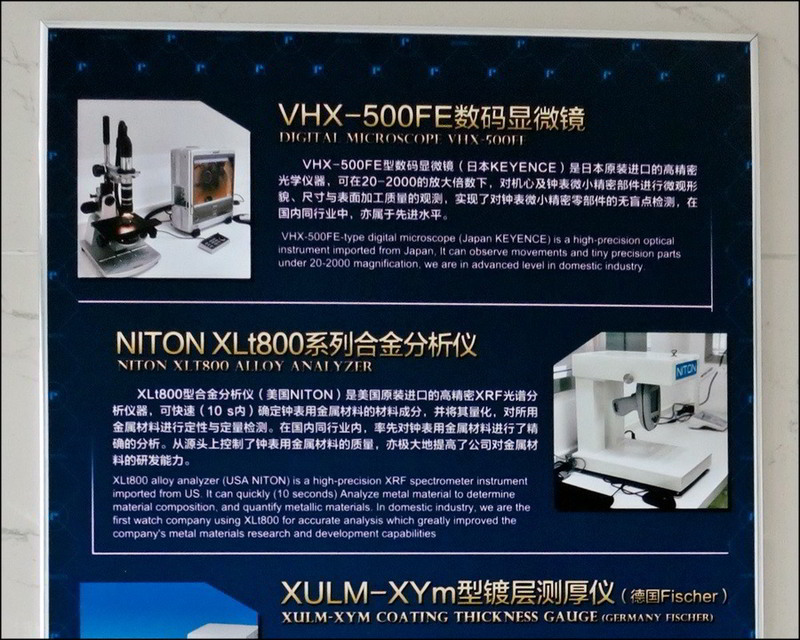 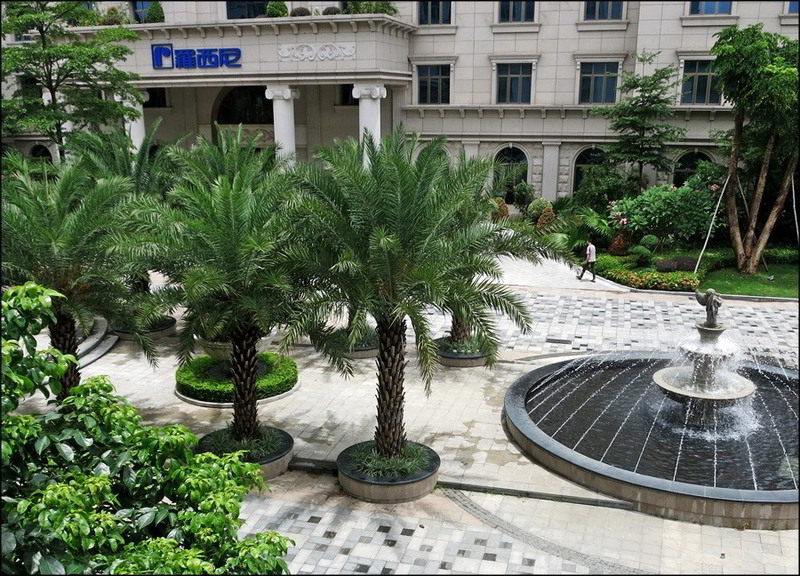 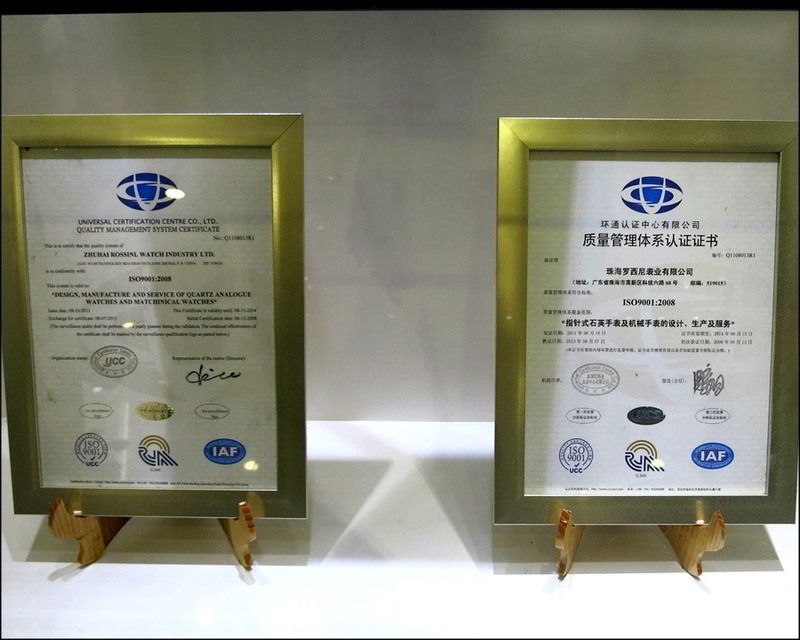 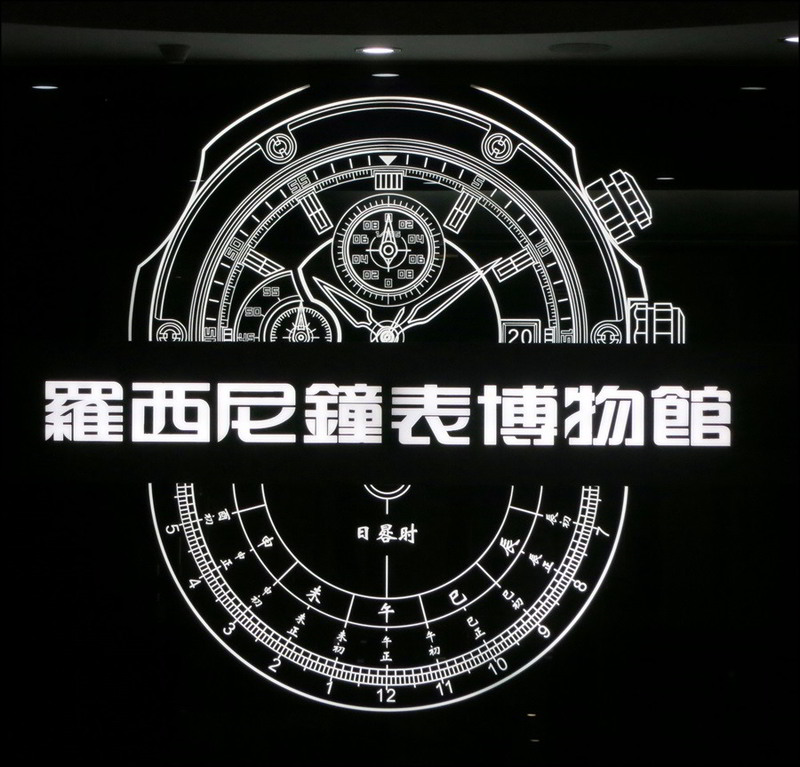 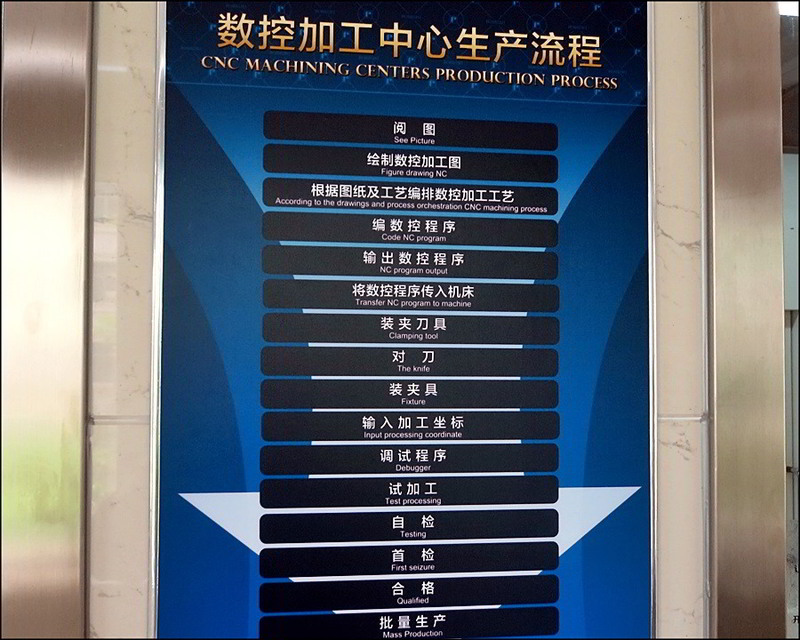 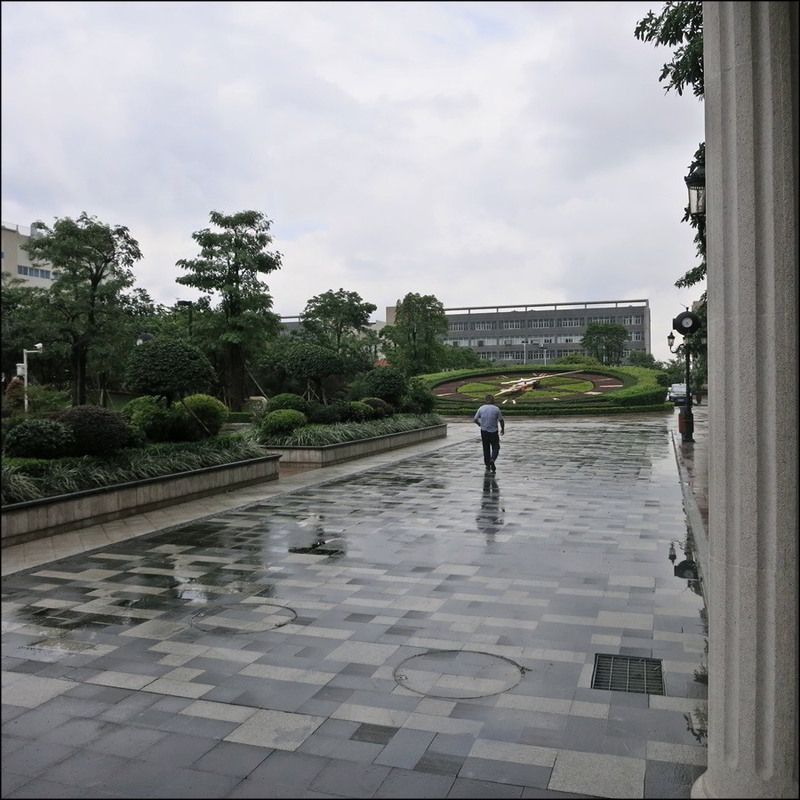 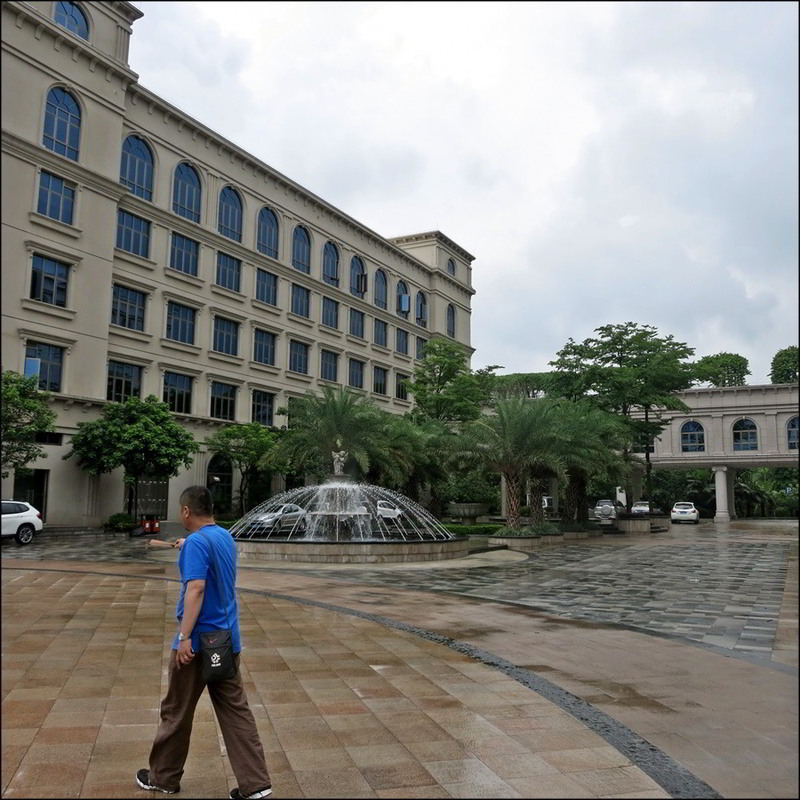 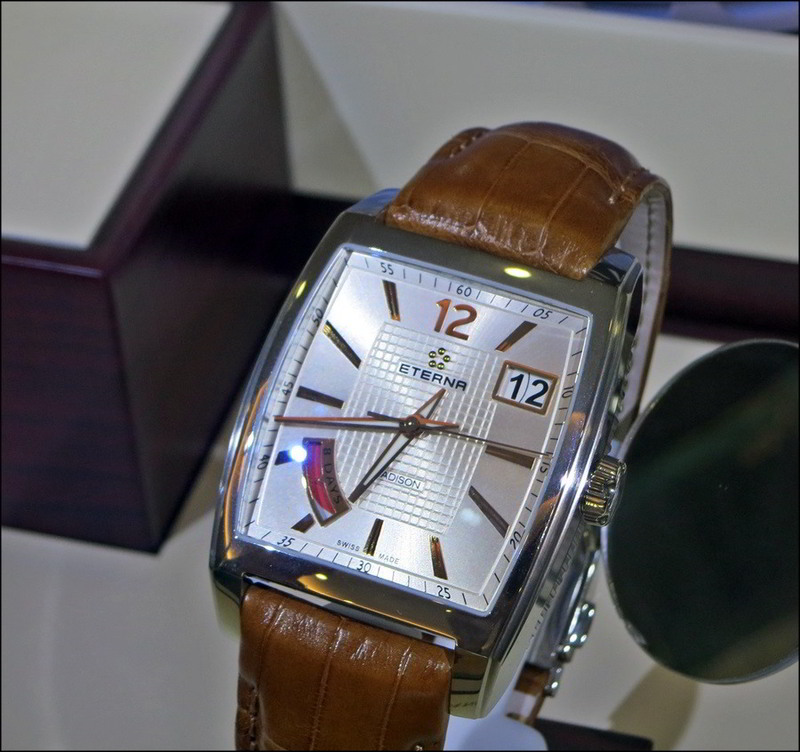 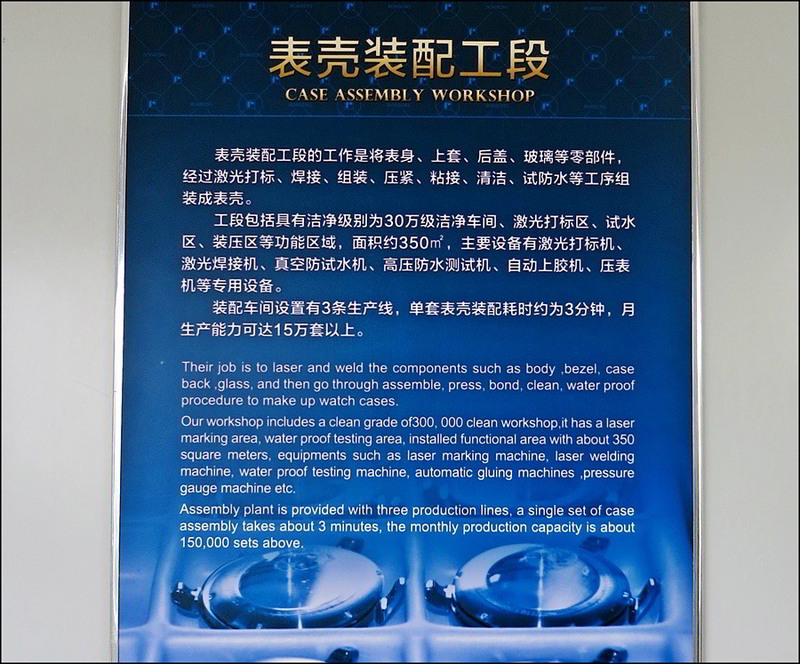 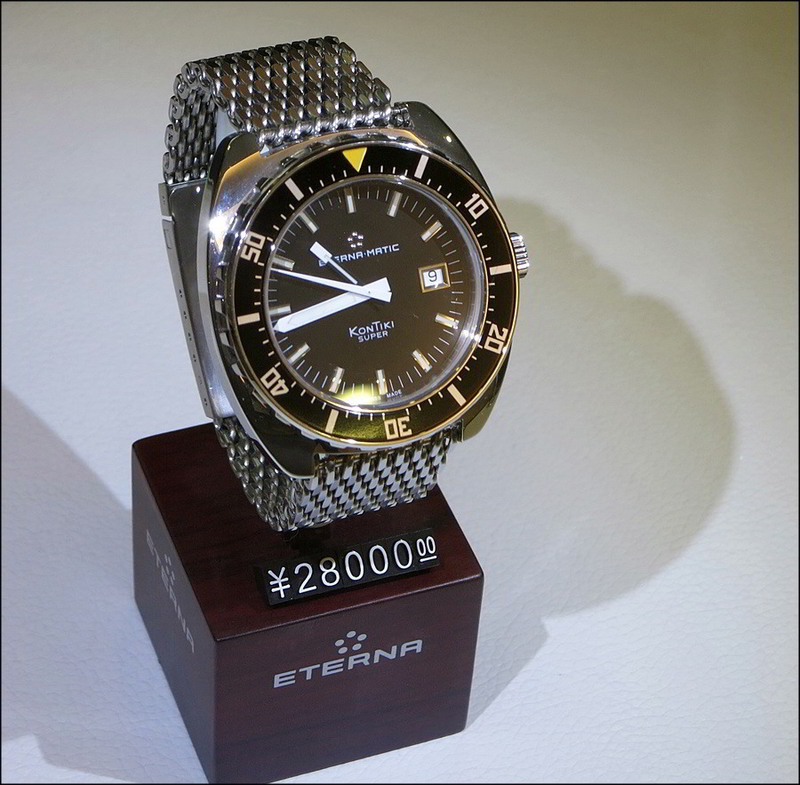 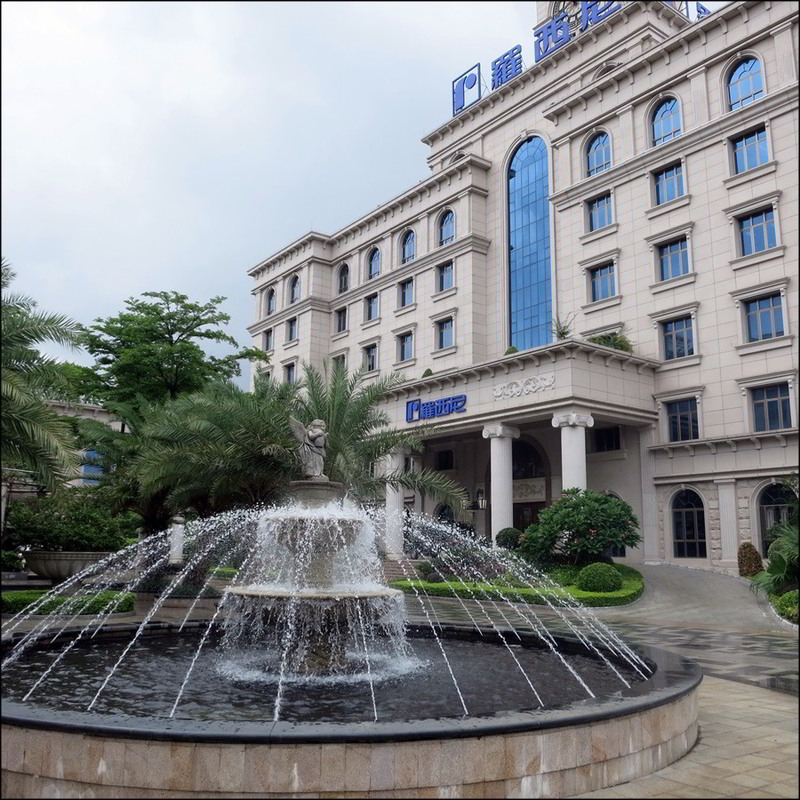 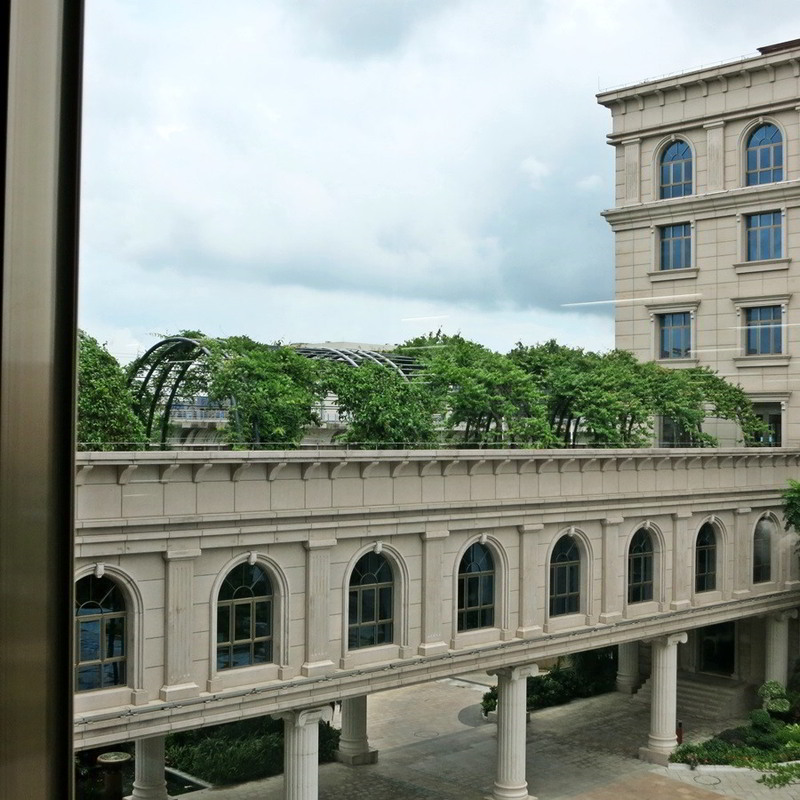 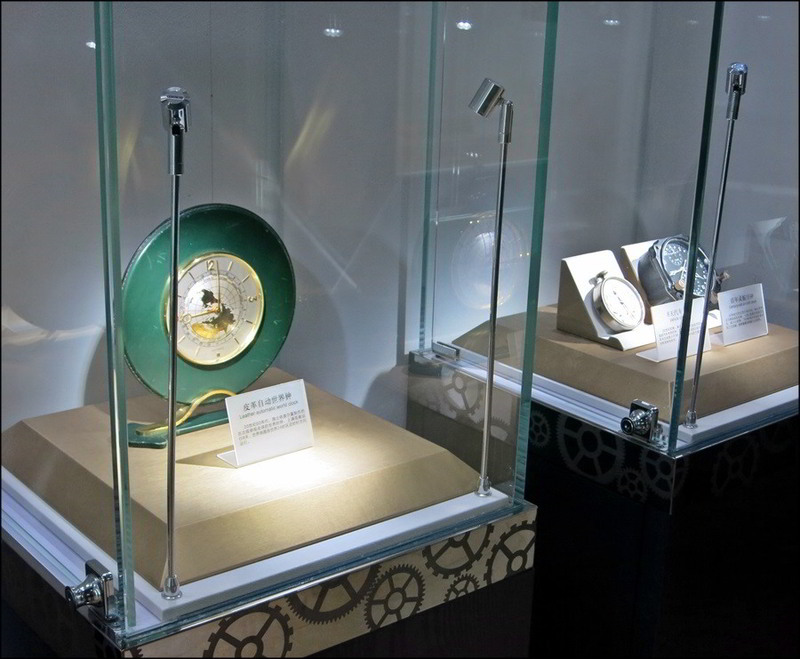 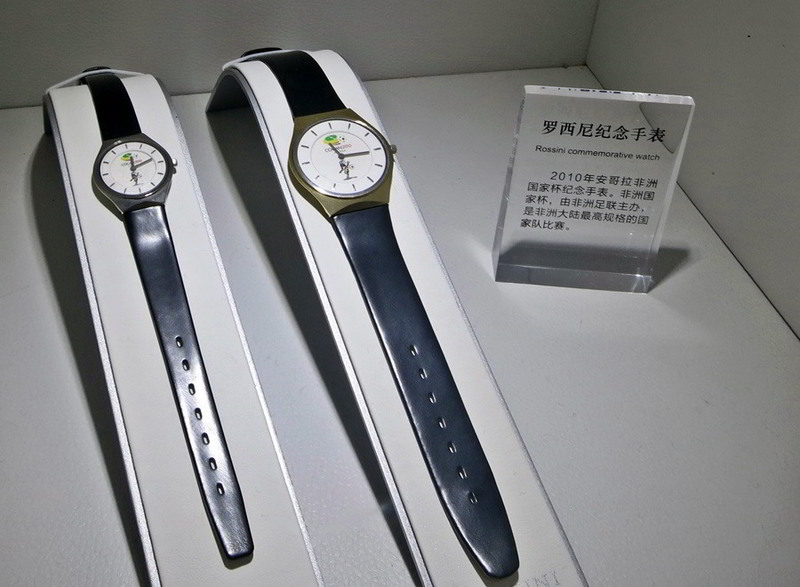 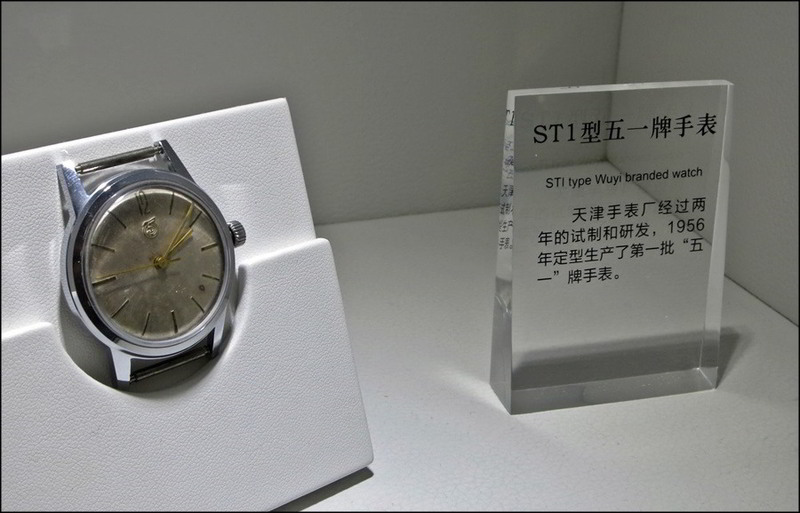 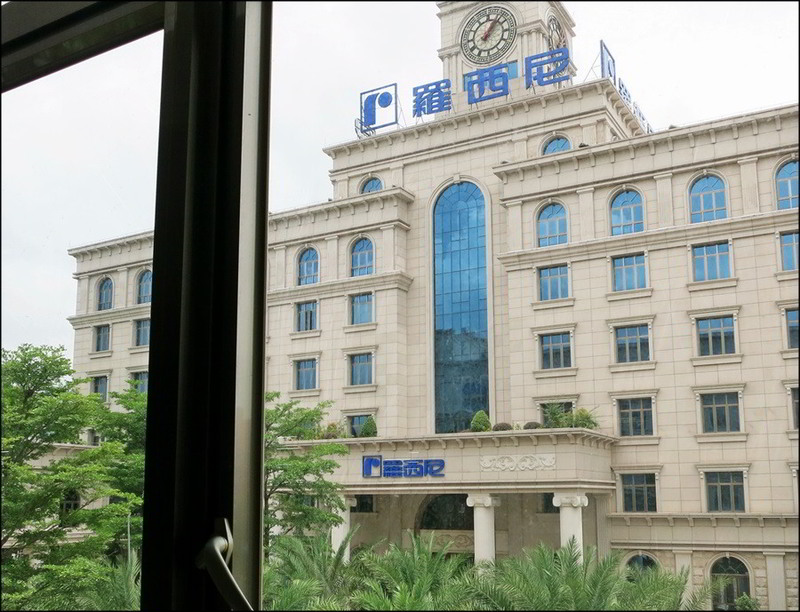 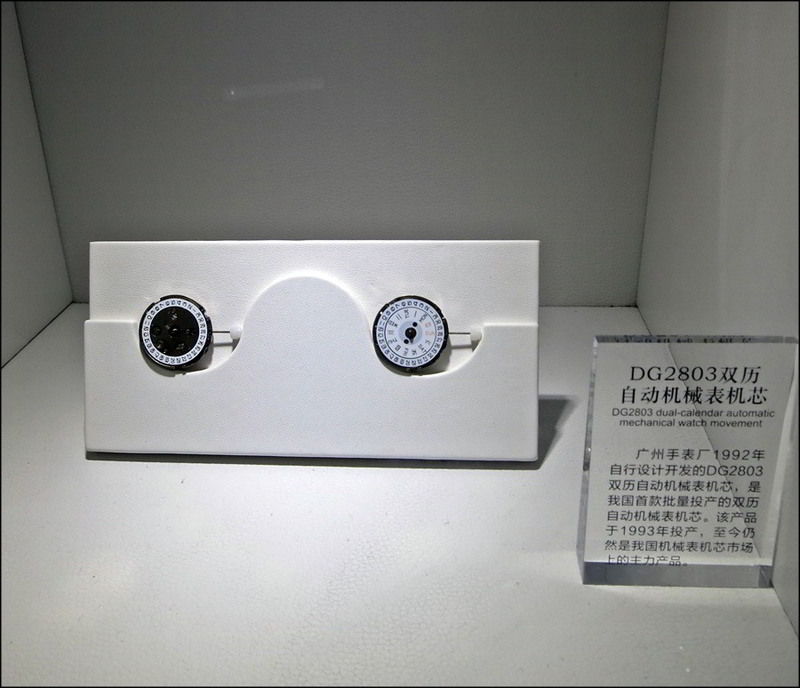 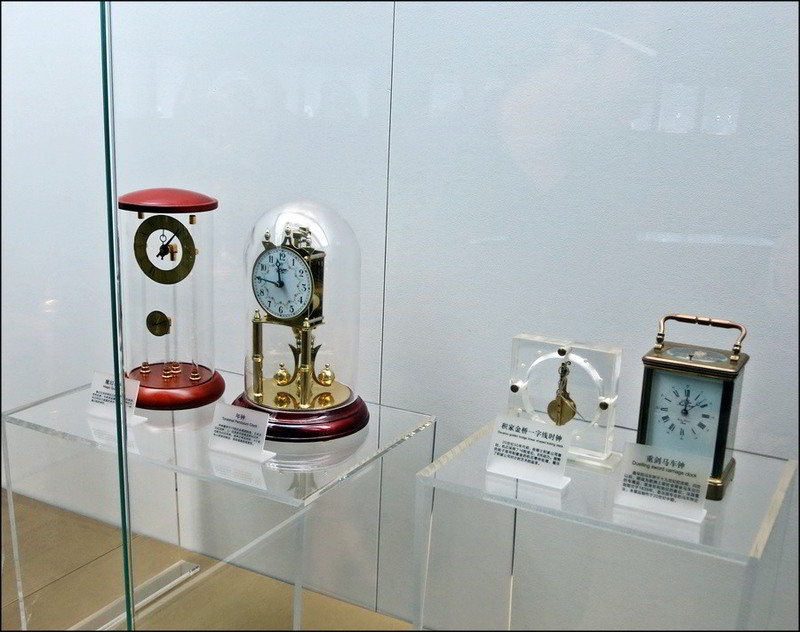 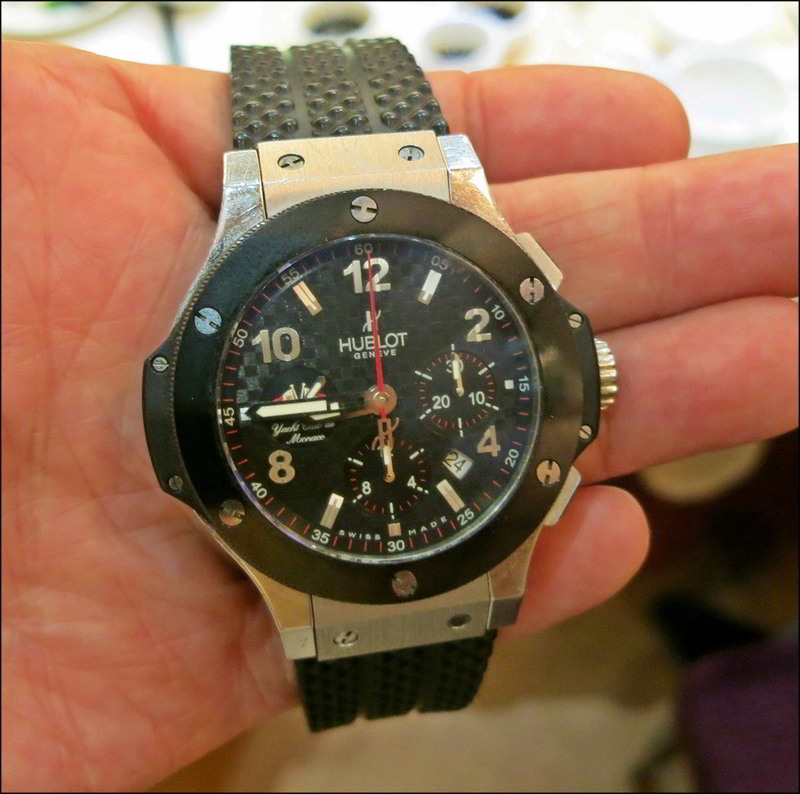 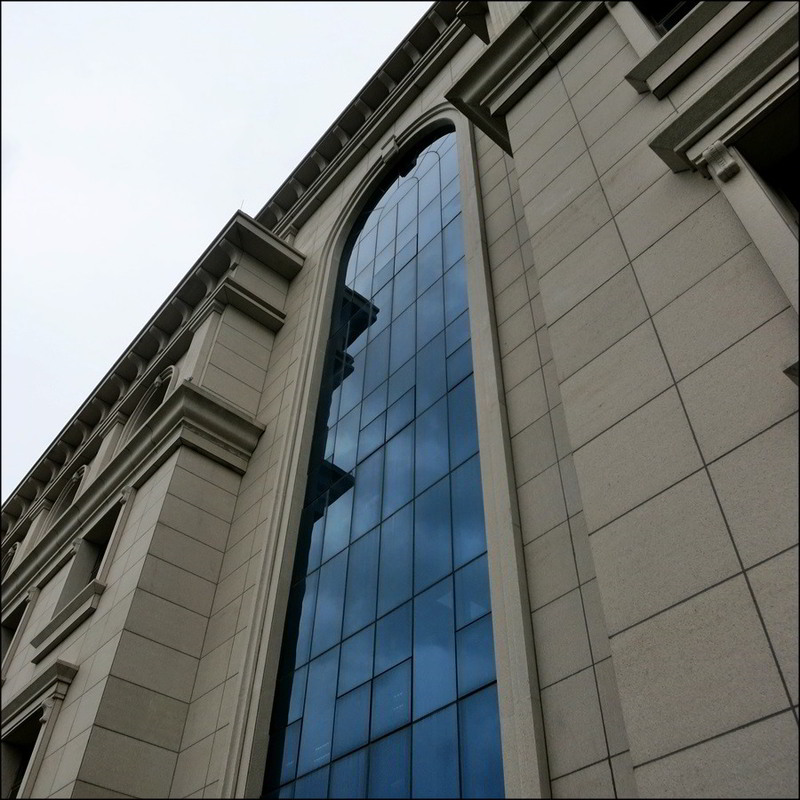 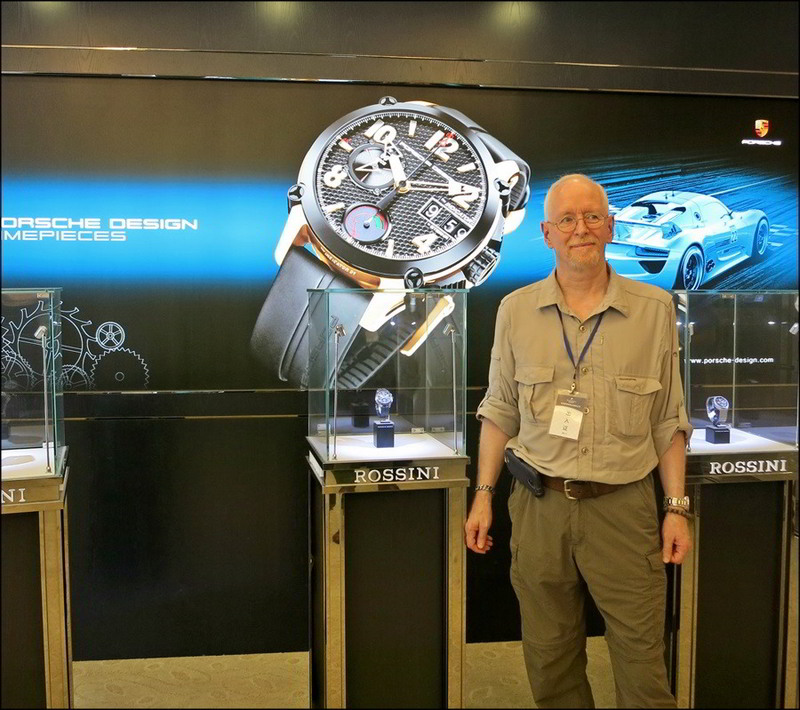 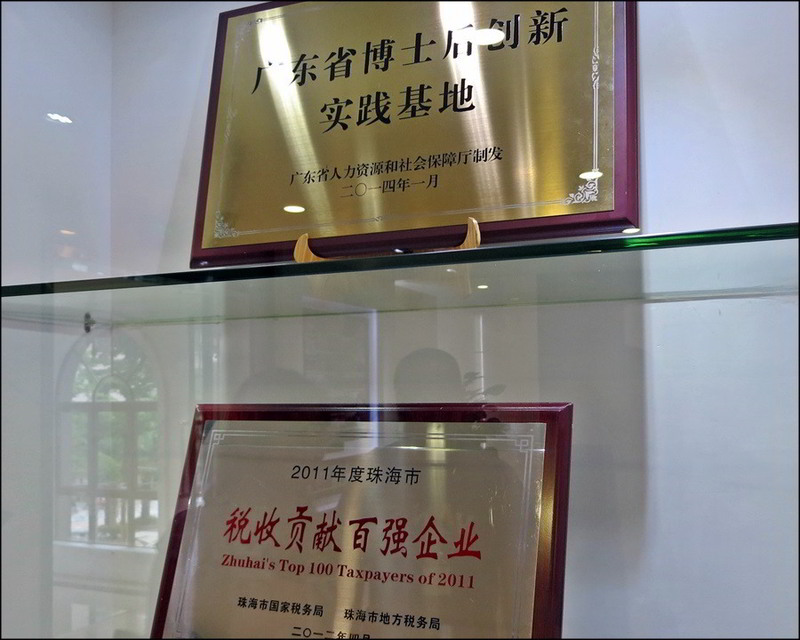 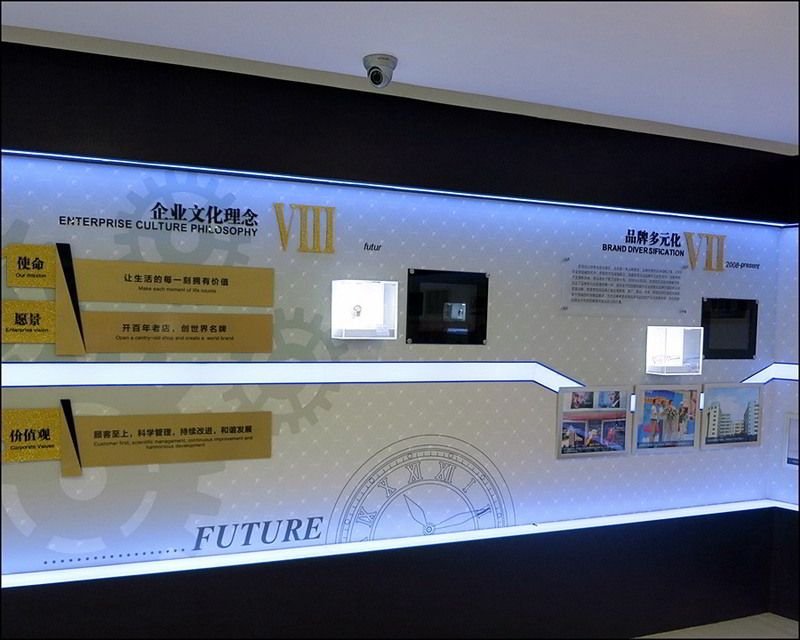 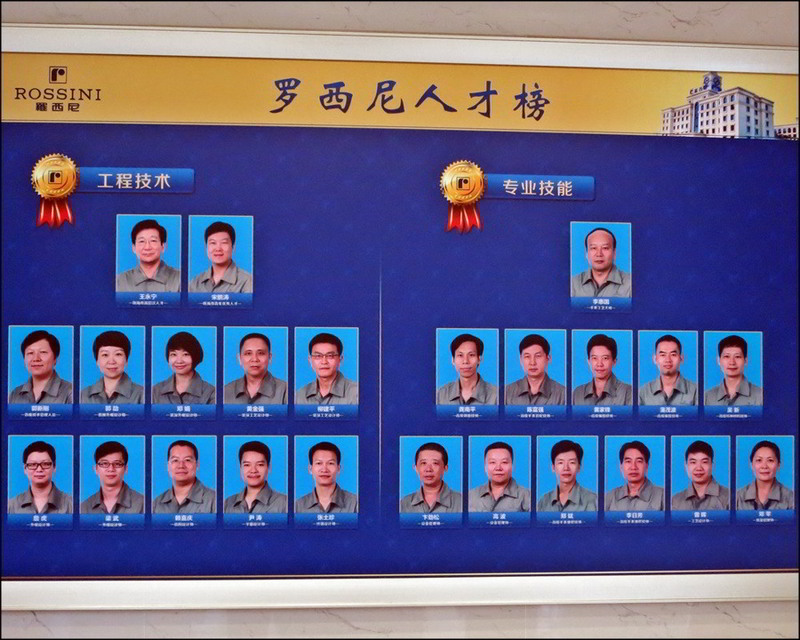 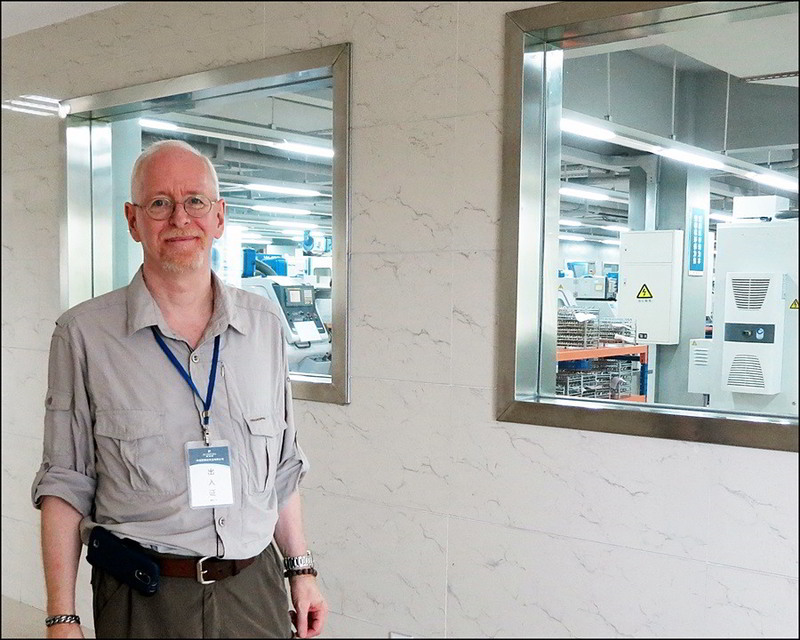 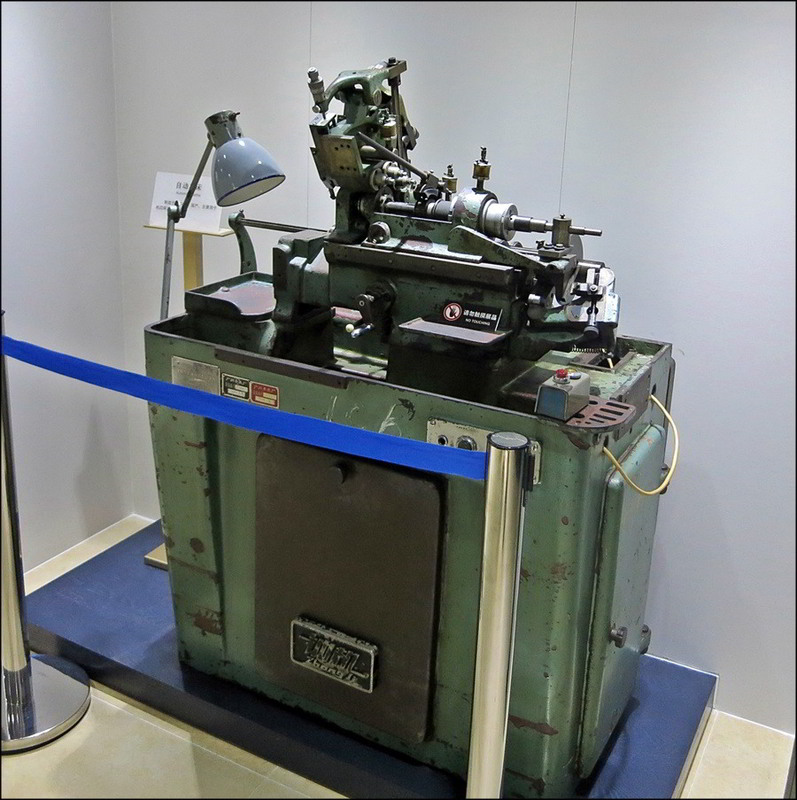 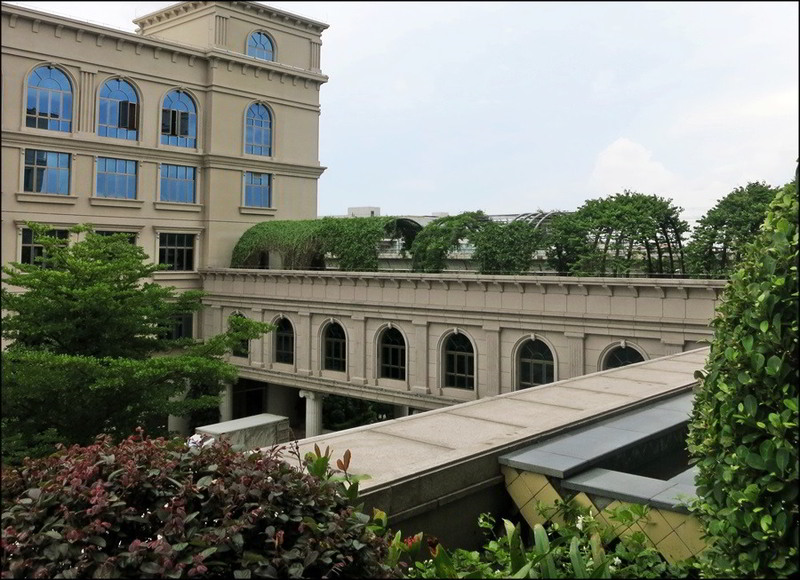 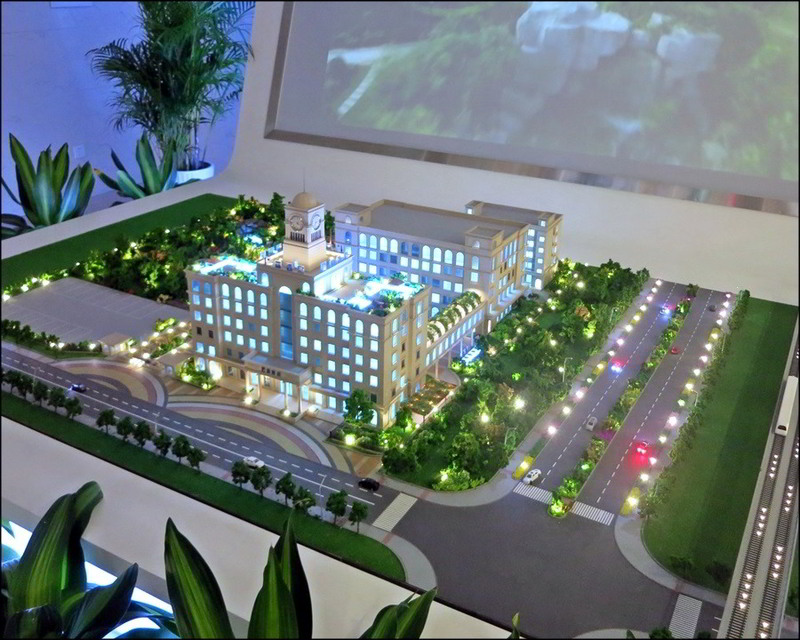 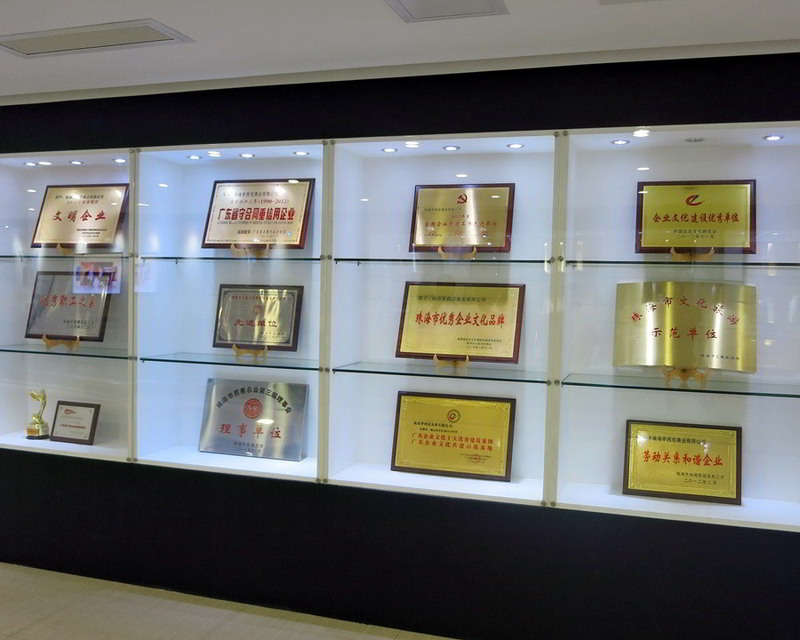 More to come...Guangzhou Watch Factory, an OEM dial-making facility, and the Opening Dinner of the 2014 - 25th annual Shenzen Watch and Clock Fair.